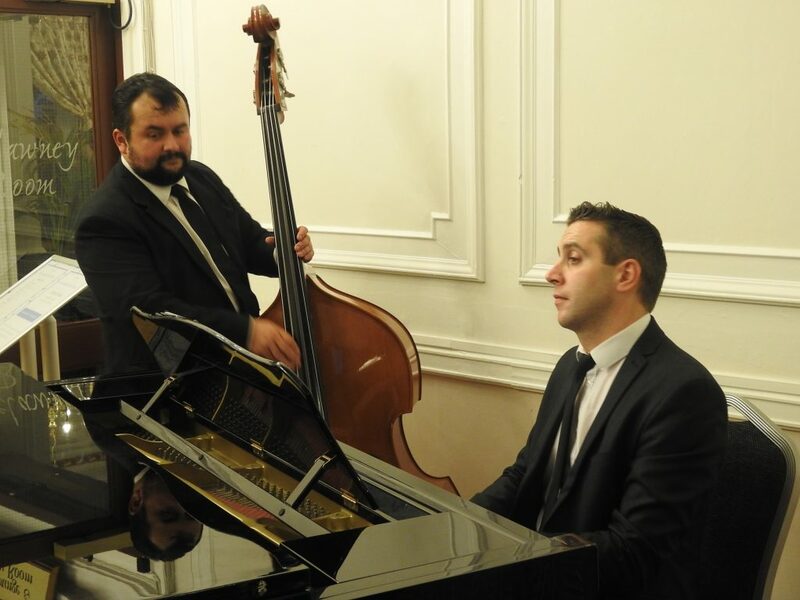 Even as you were leaving your coat in the cloakroom you were being entertained with a selection of jazz standards from Tom Quirke (piano) and Ross Williams (bass). 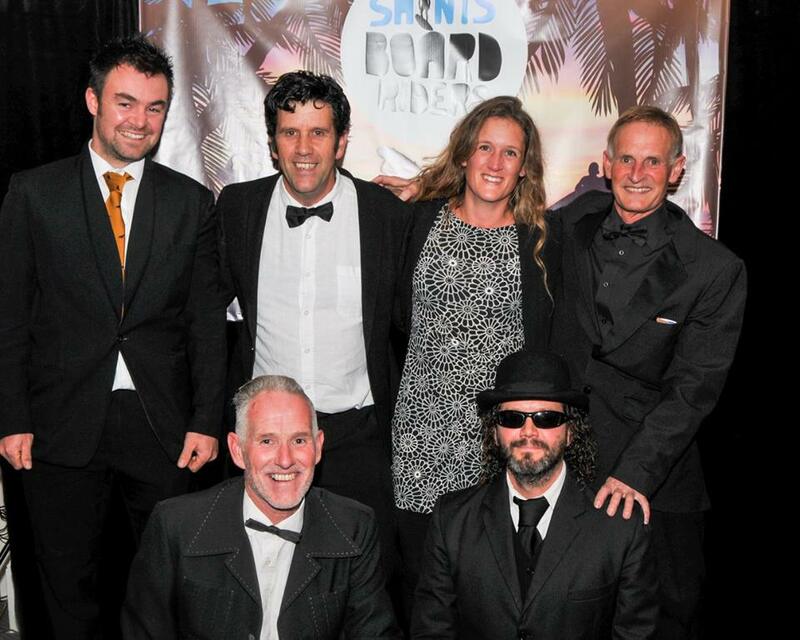 There was then a chance to pose in your finery before the surf club backdrop for a commemorative picture by Andre Otto. 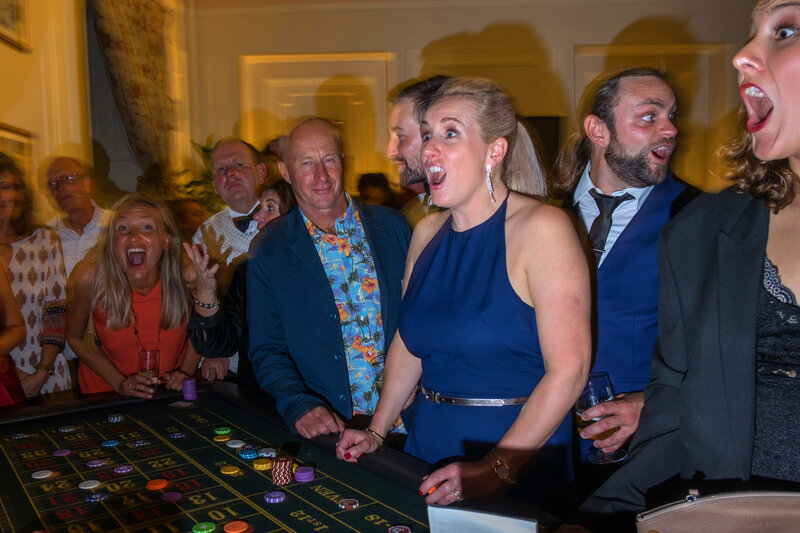 The casino was open for an early flutter until we were seated at our tables to hear an introductory address by Nick Rees of Surfing England. 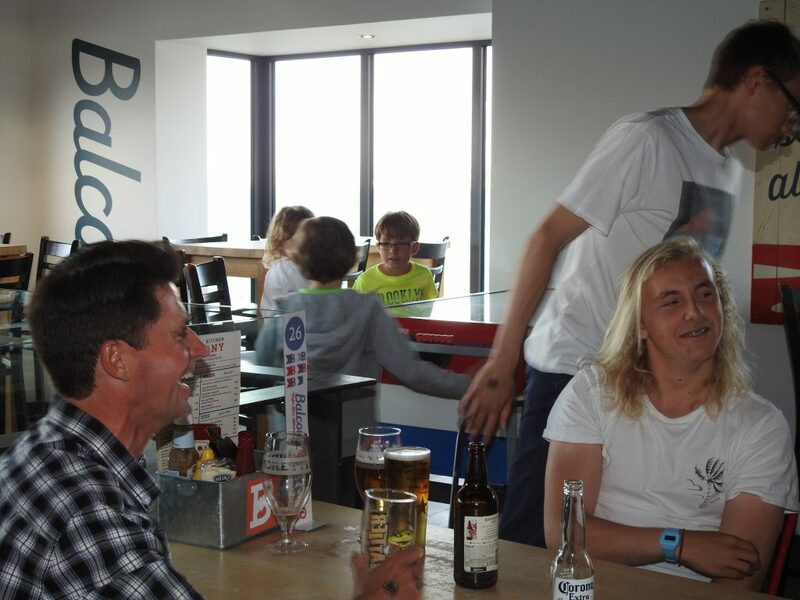 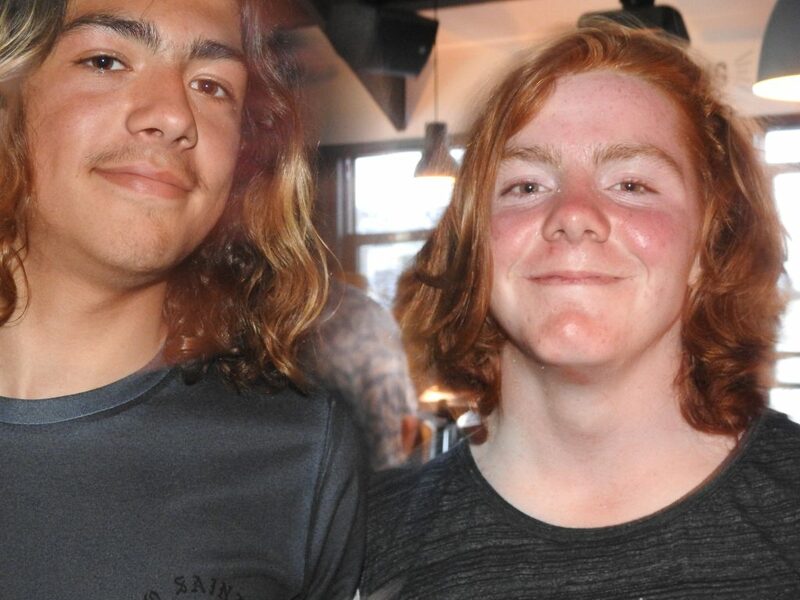 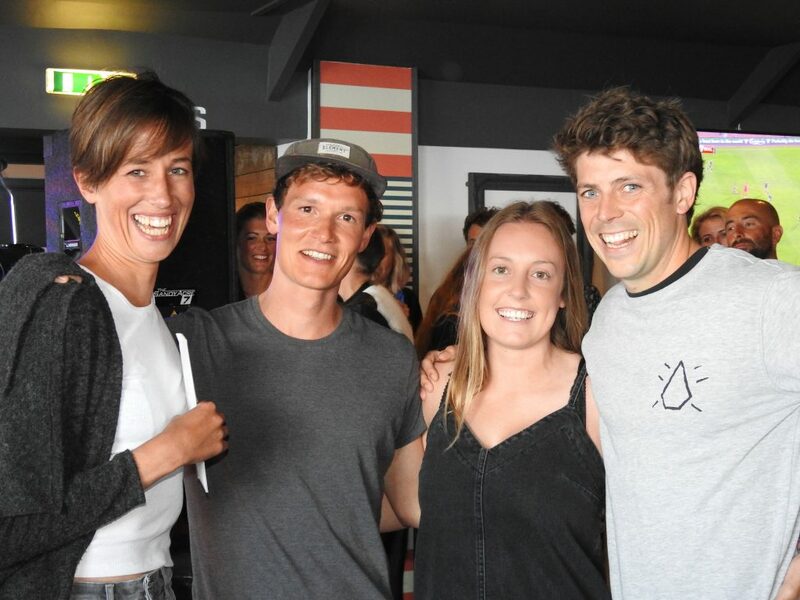 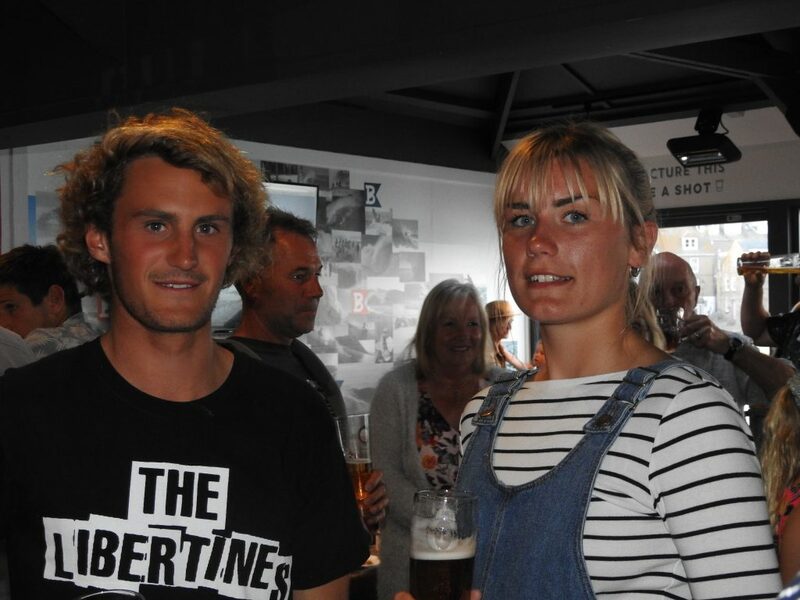 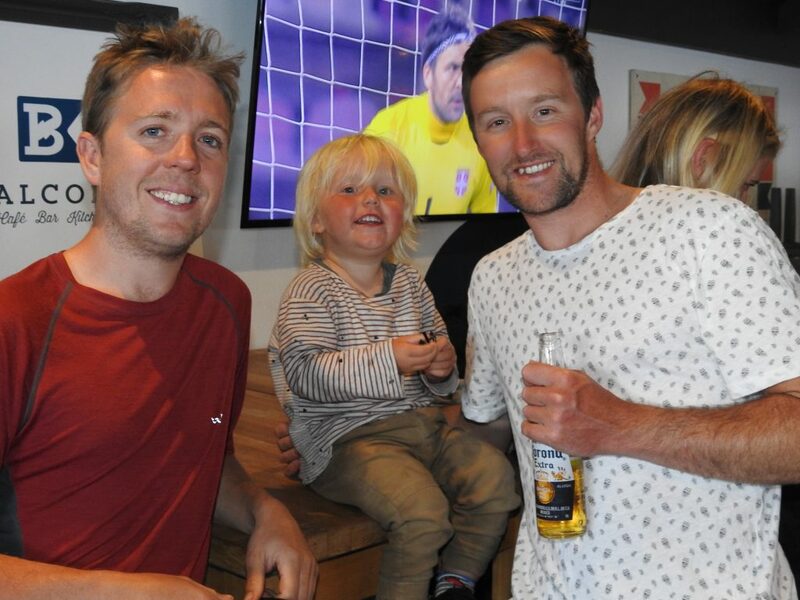 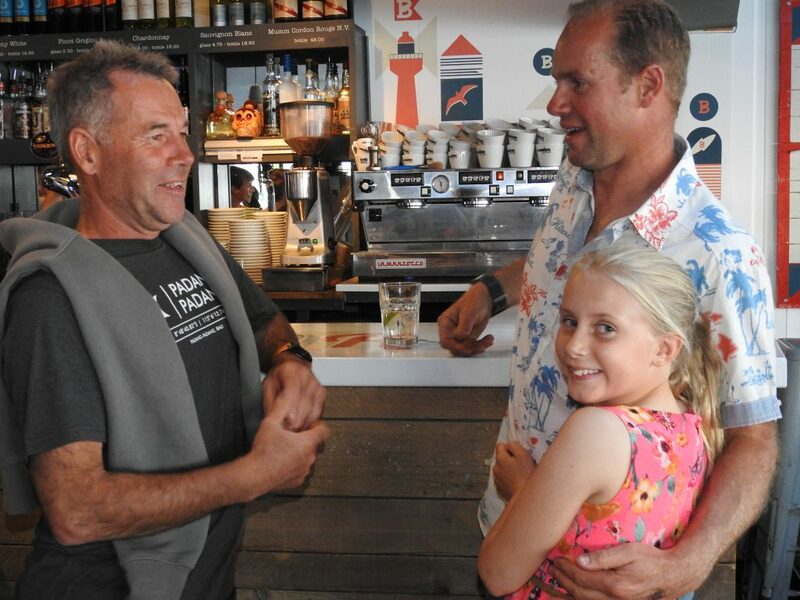 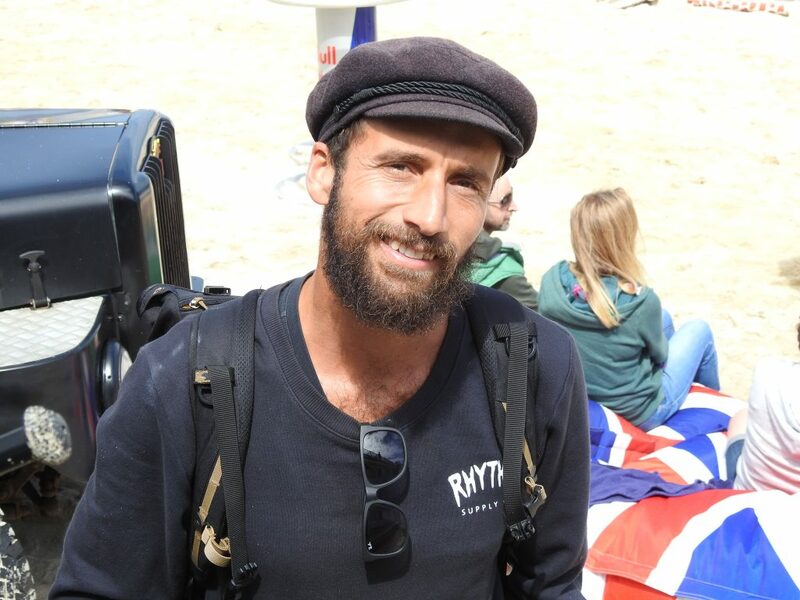 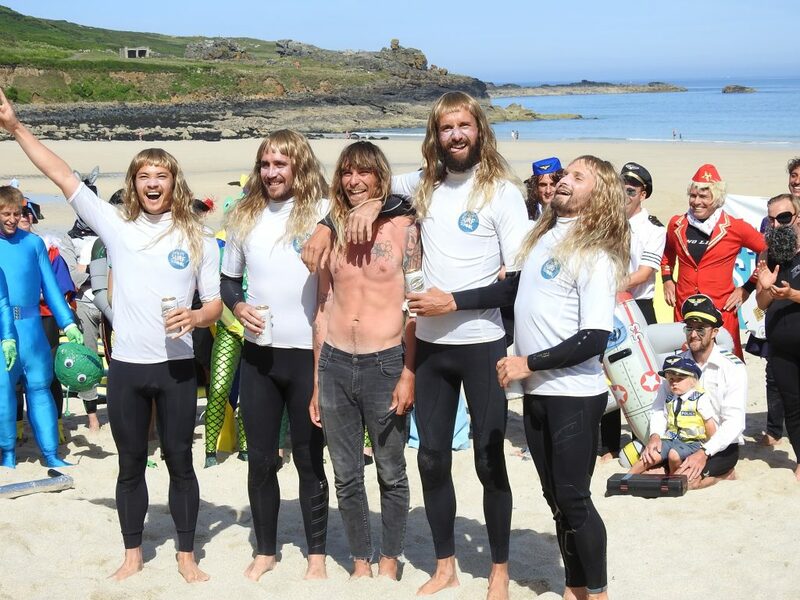 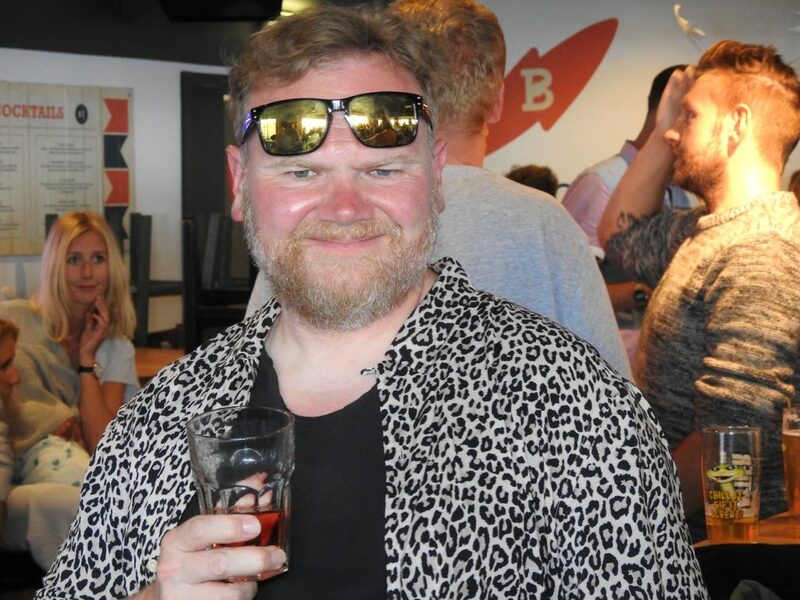 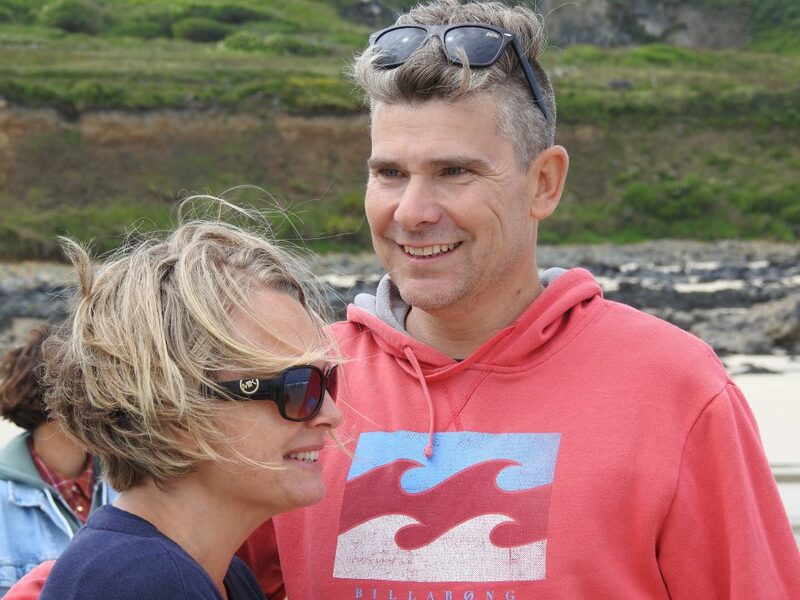 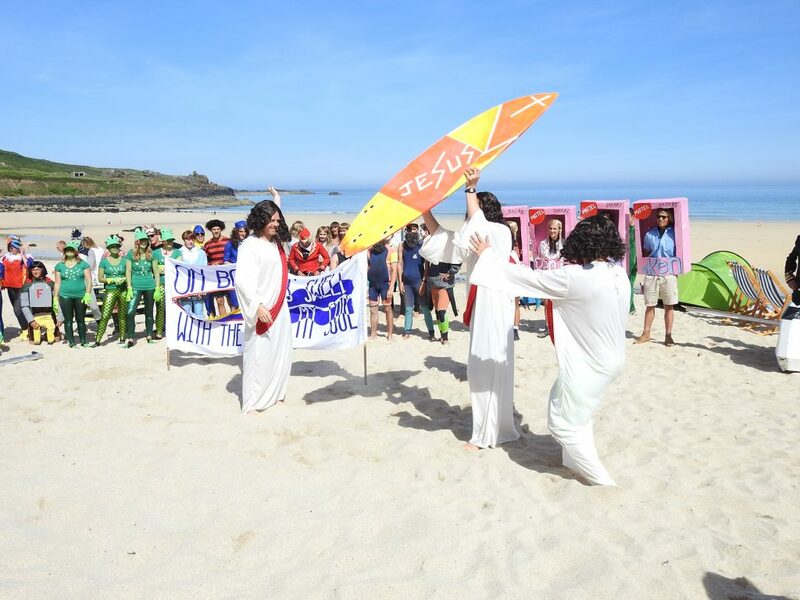 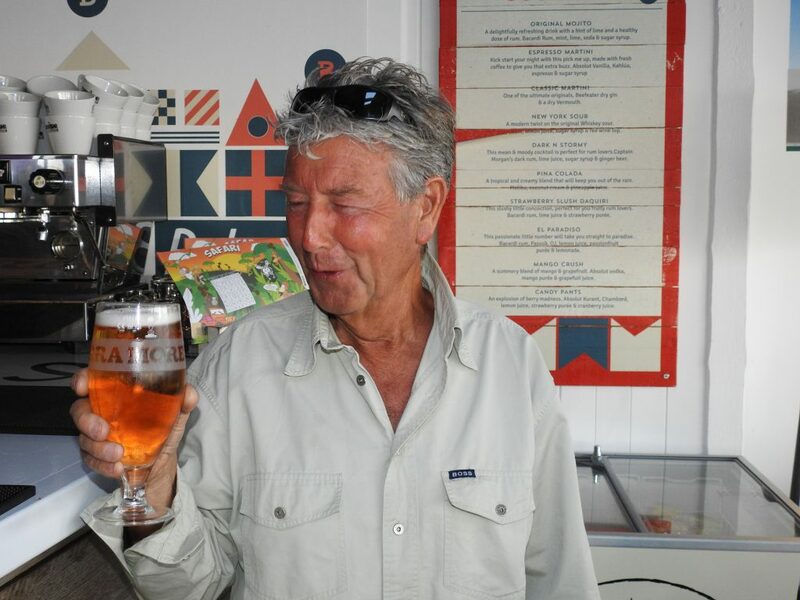 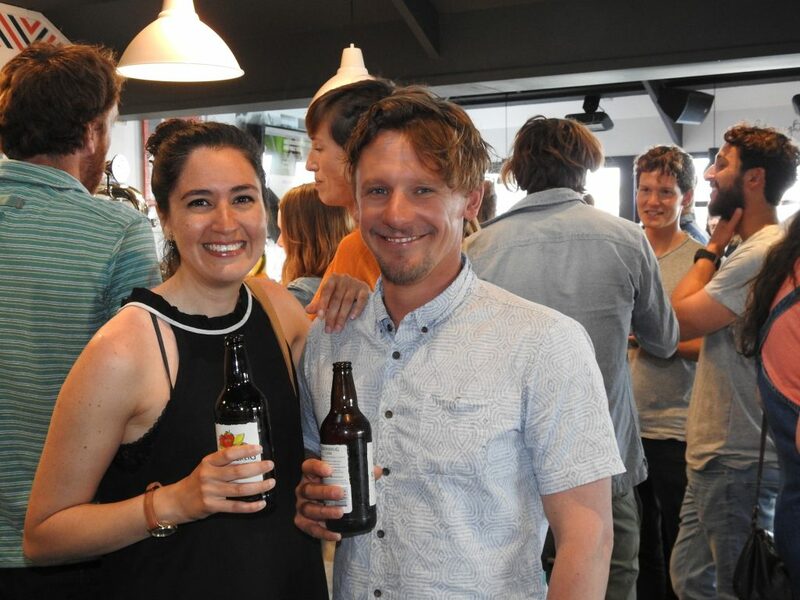 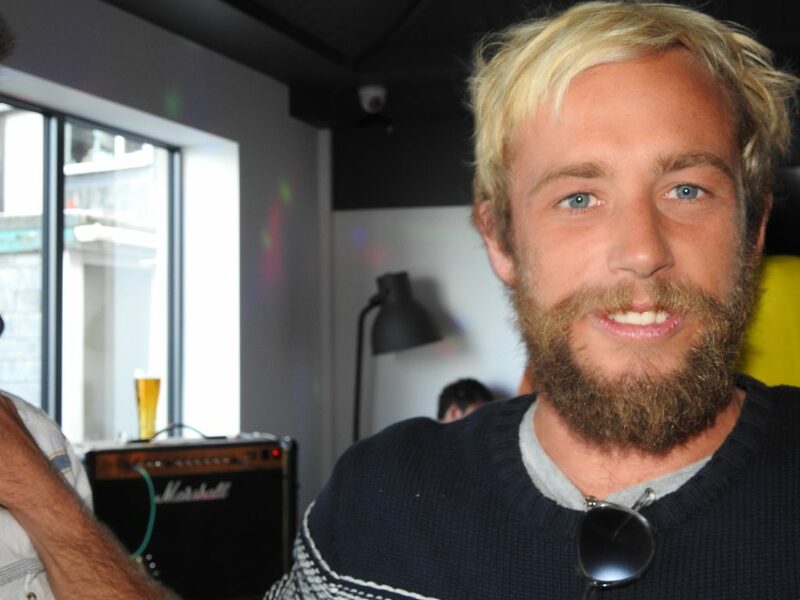 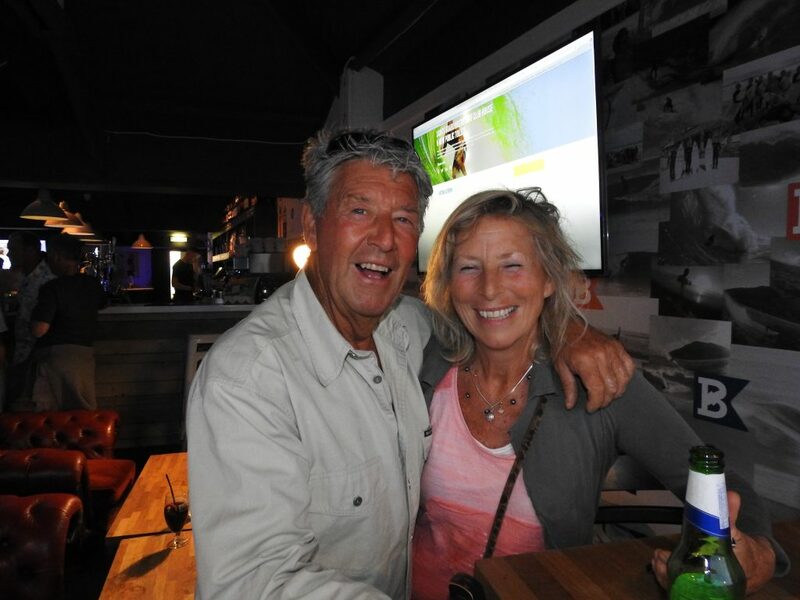 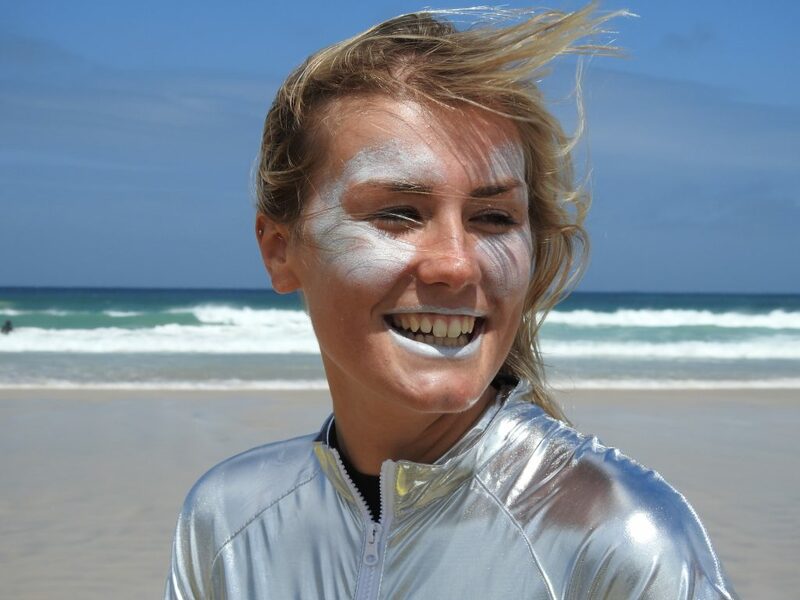 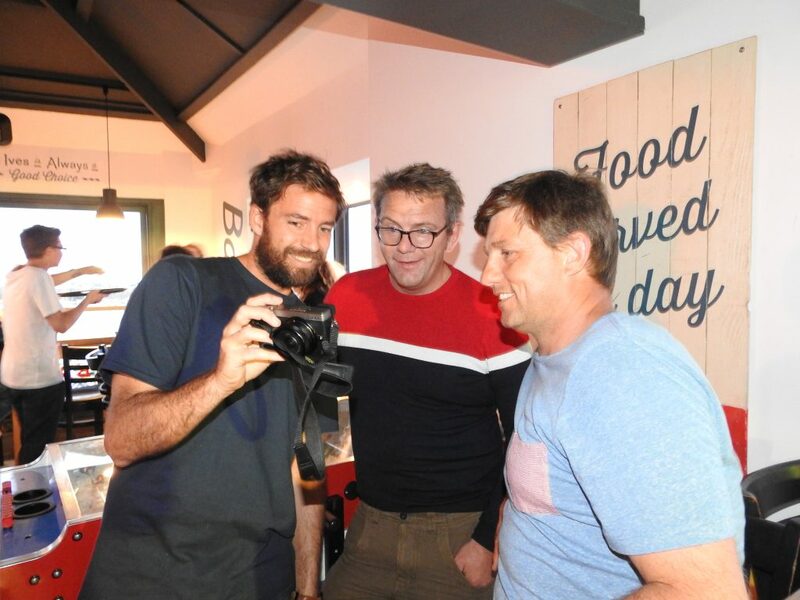 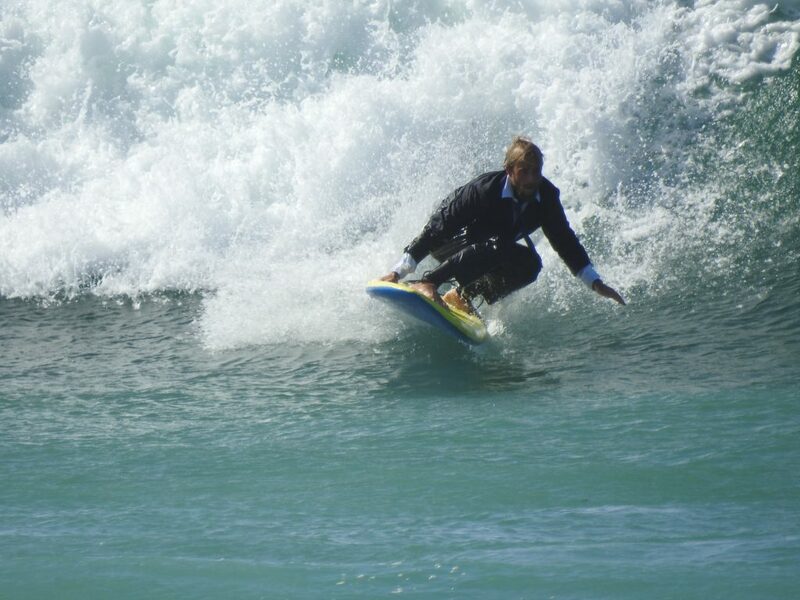 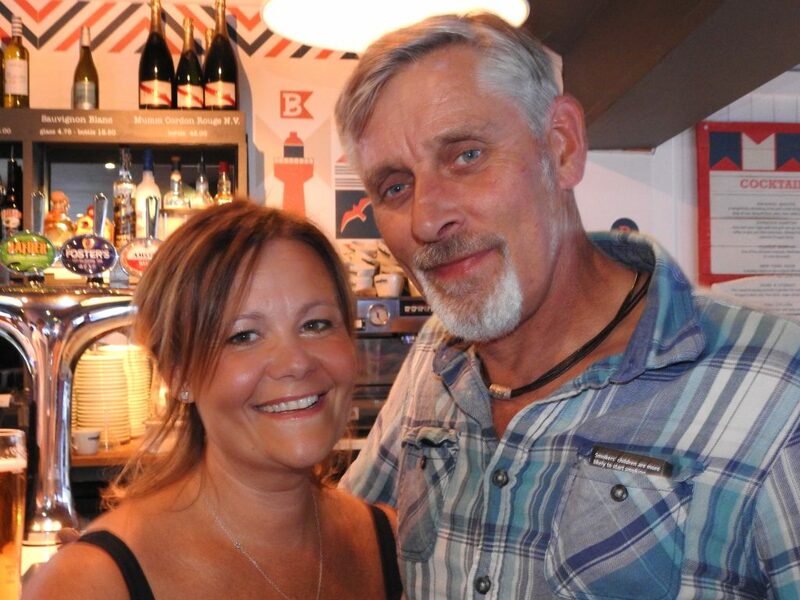 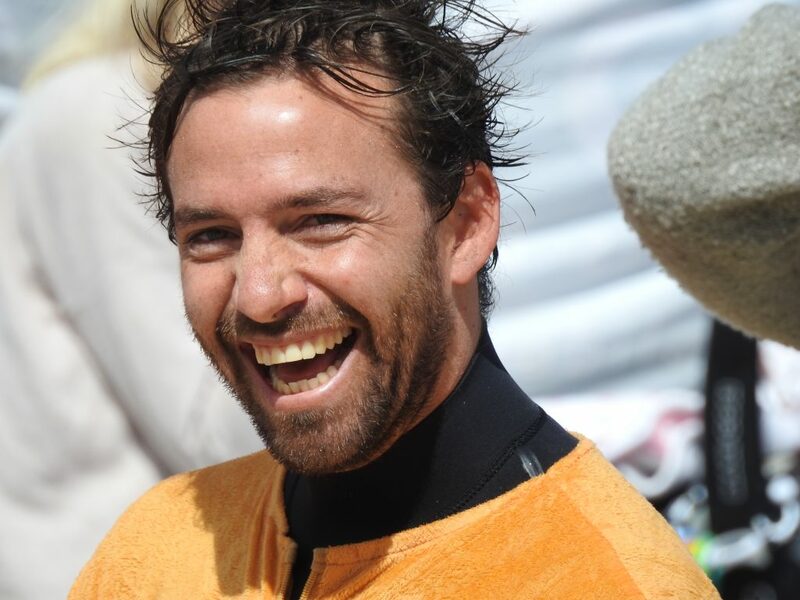 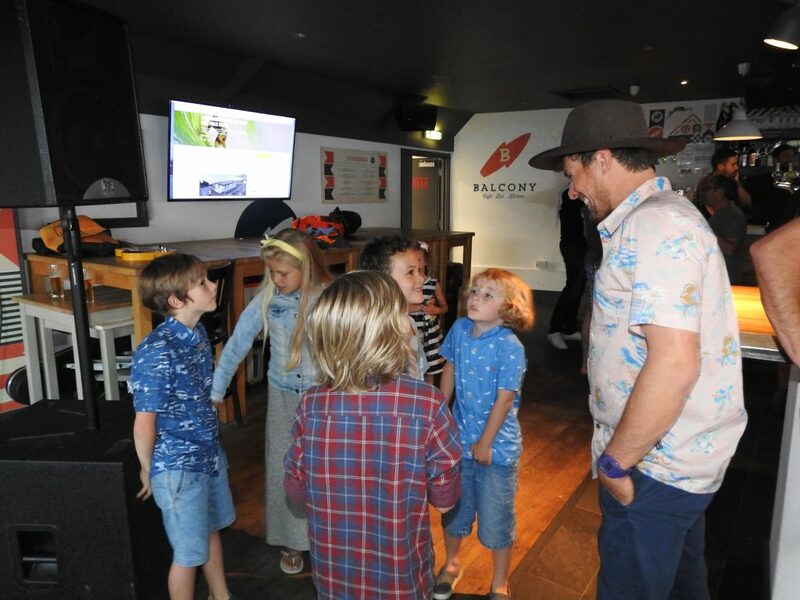 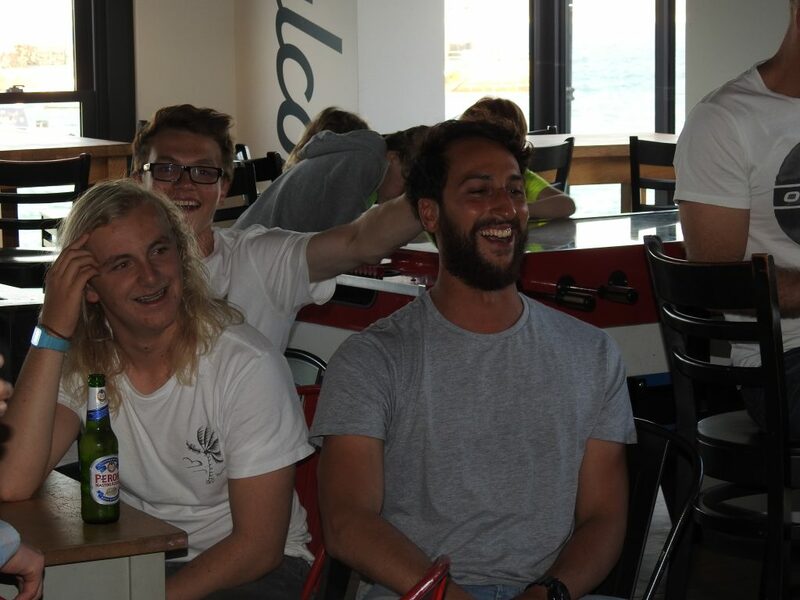 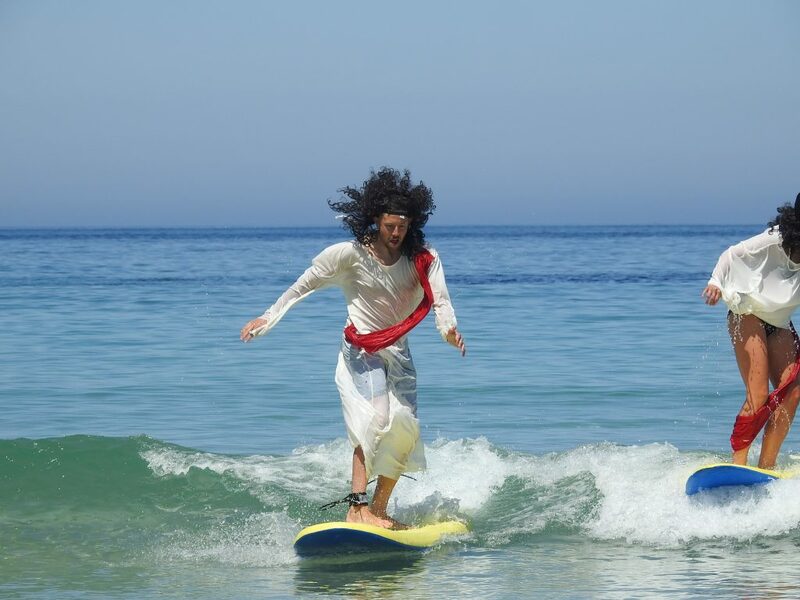 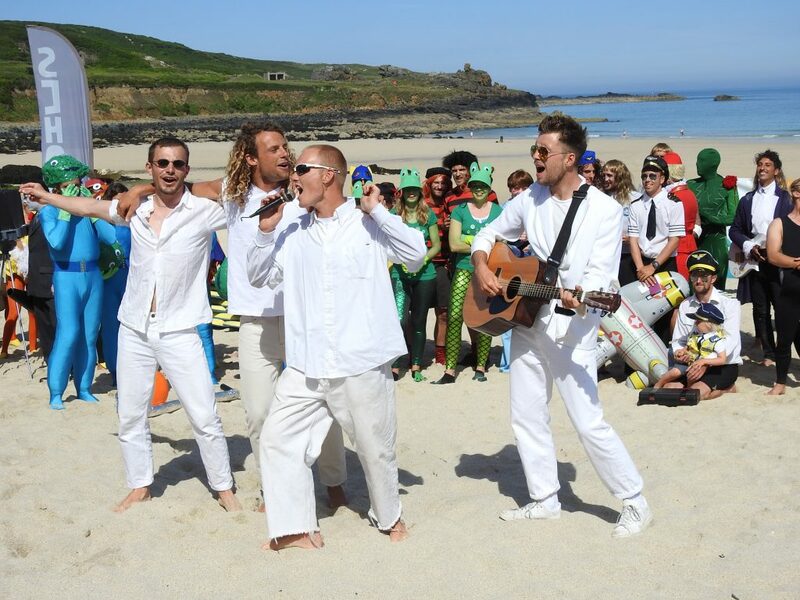 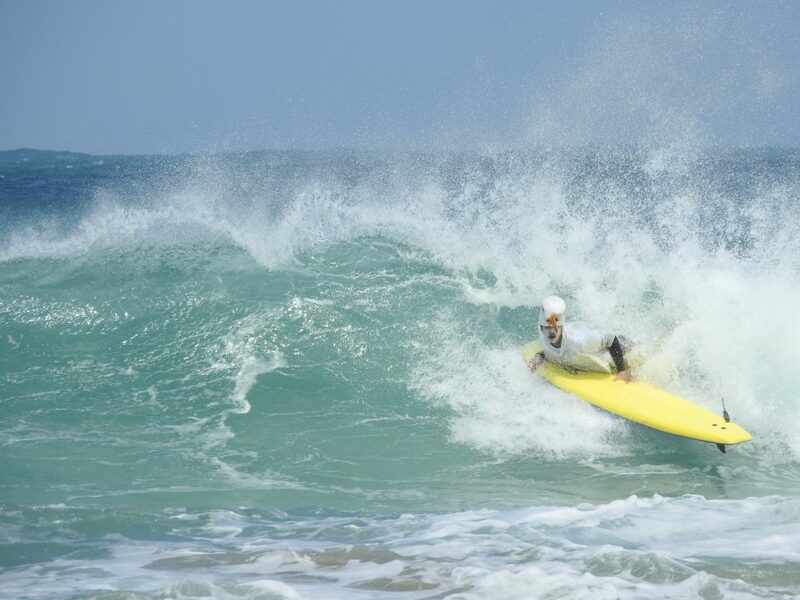 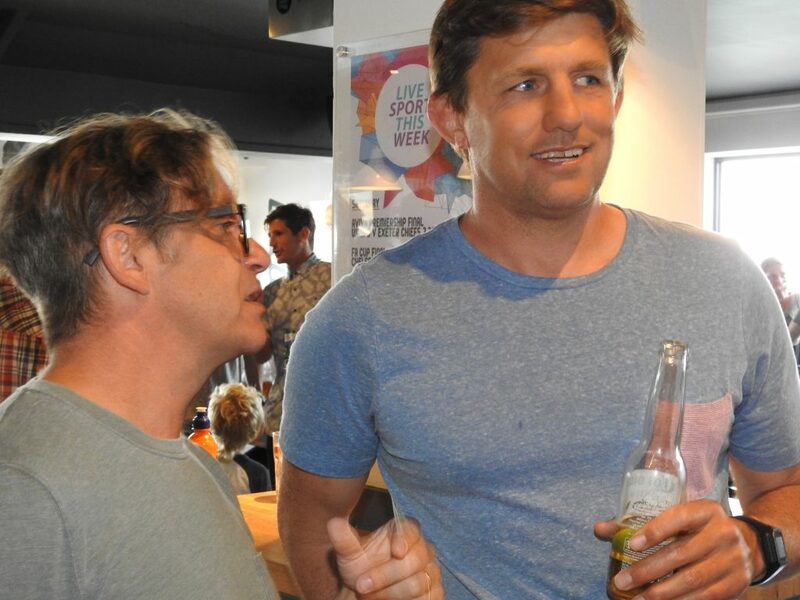 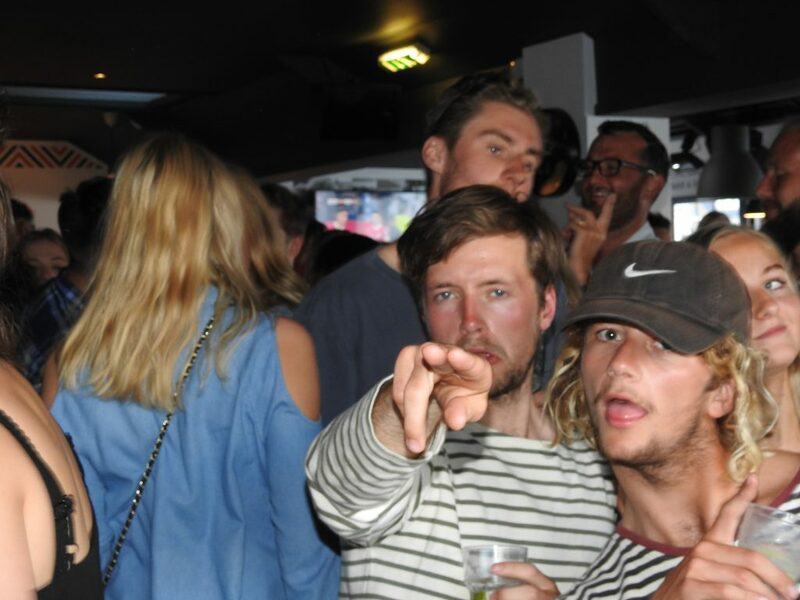 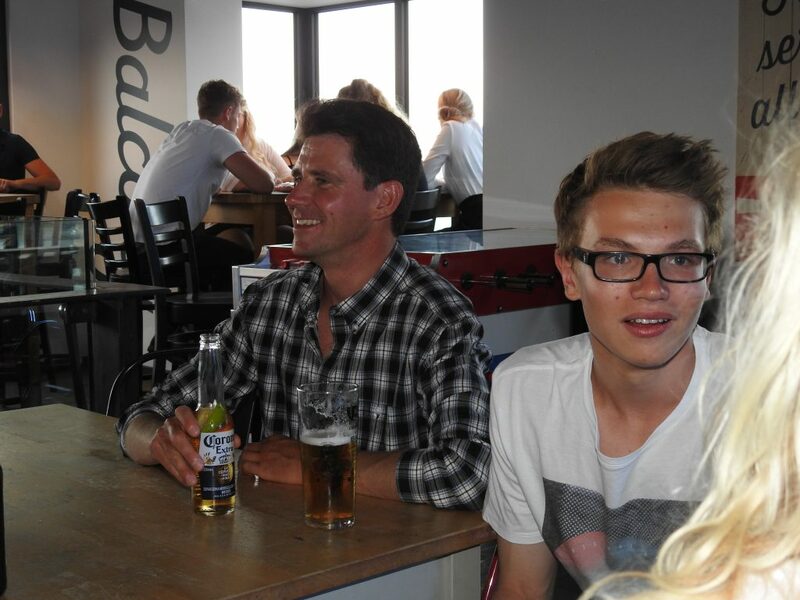 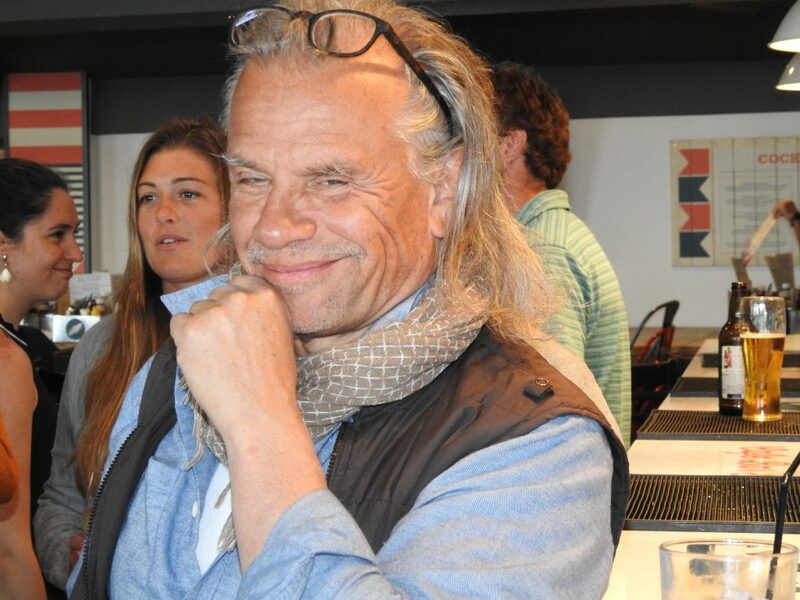 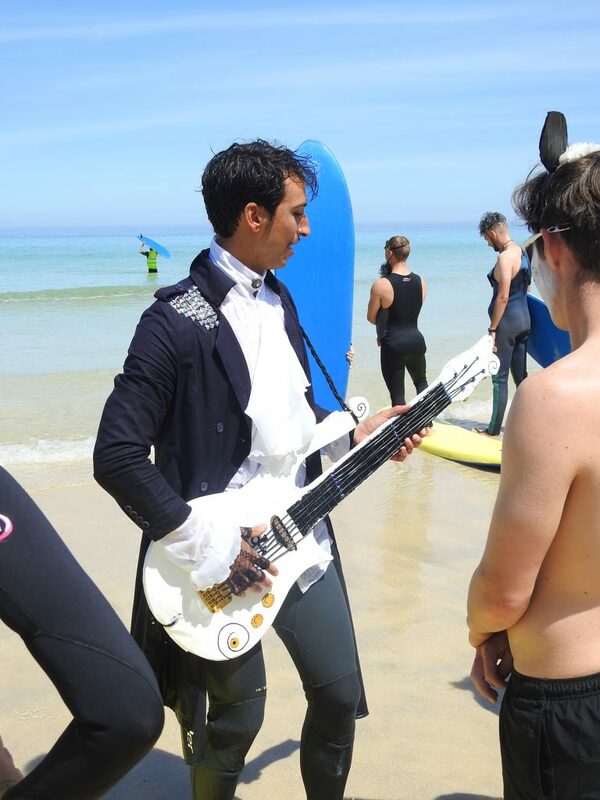 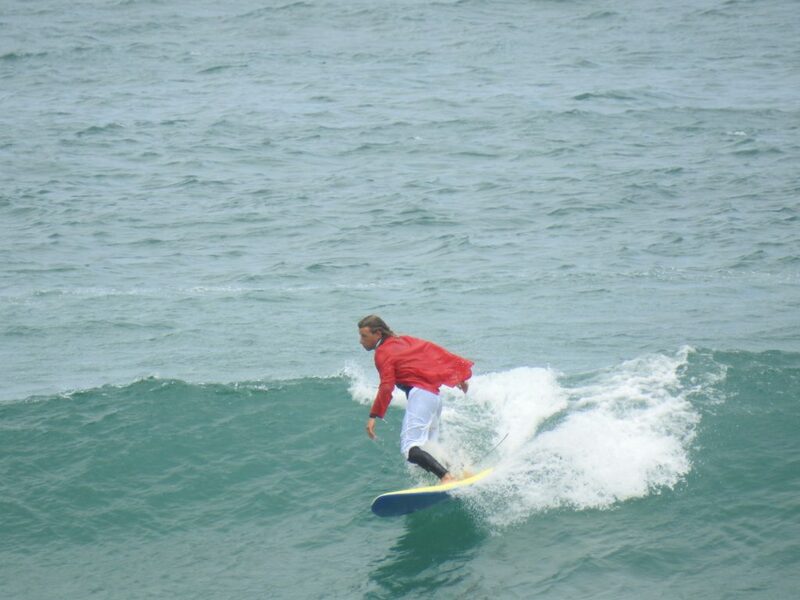 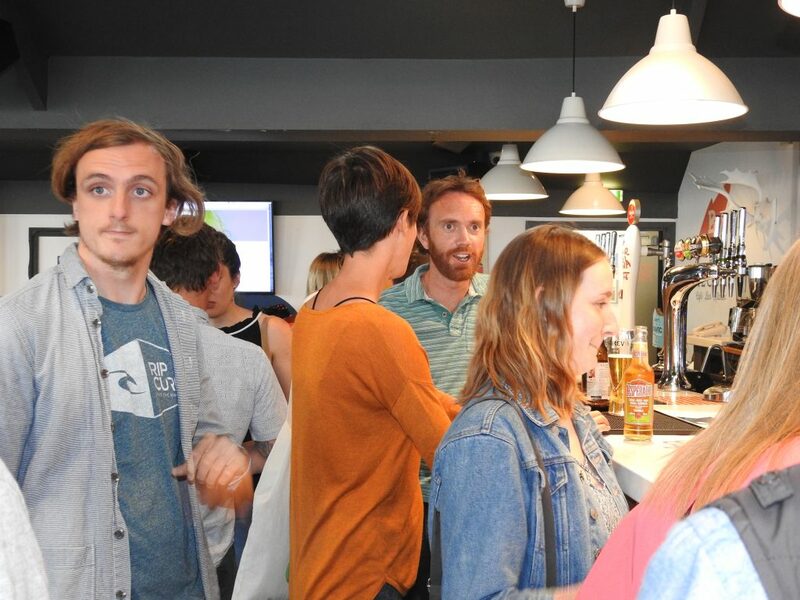 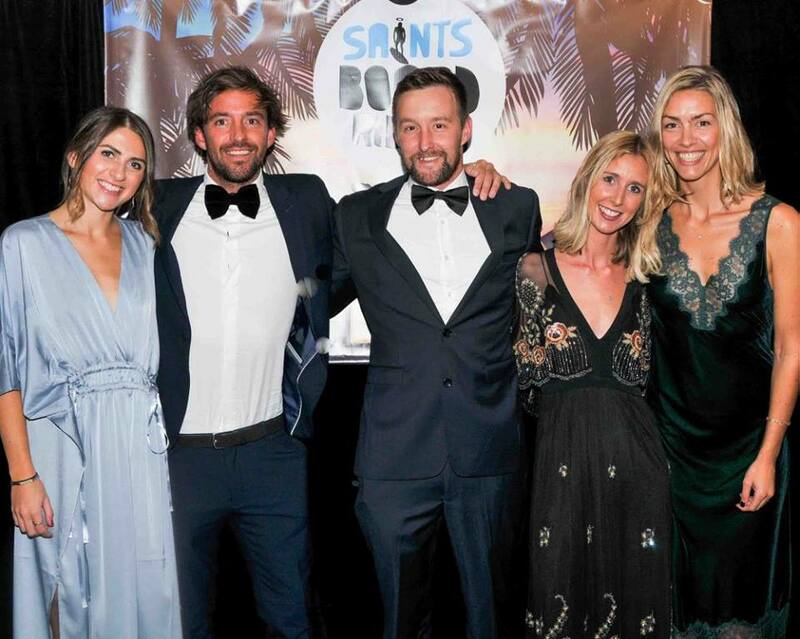 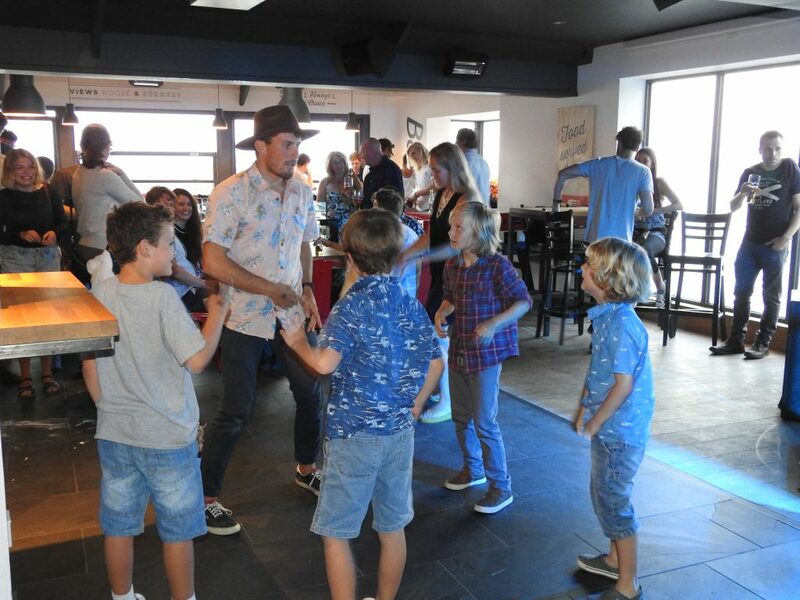 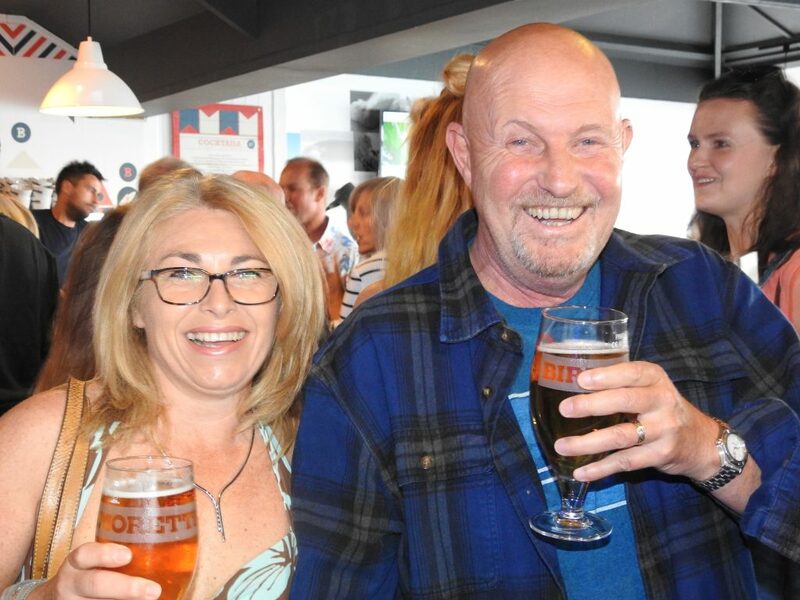 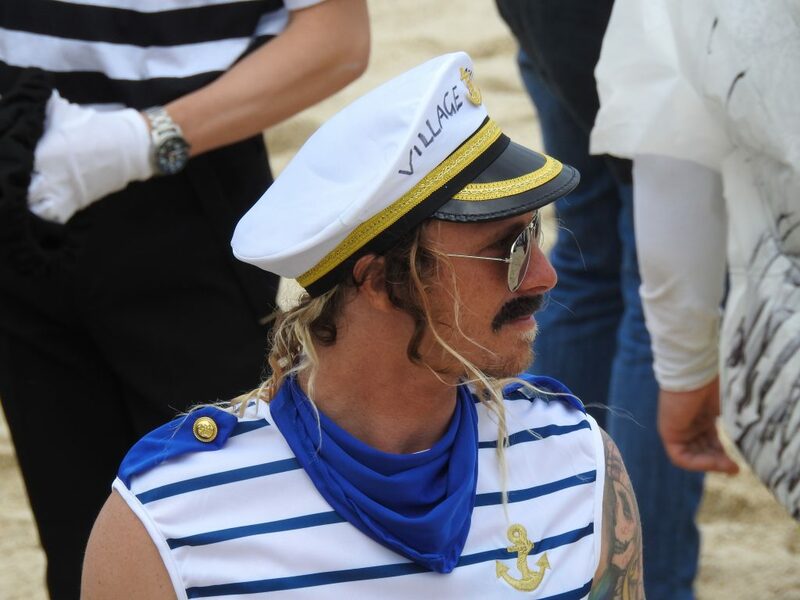 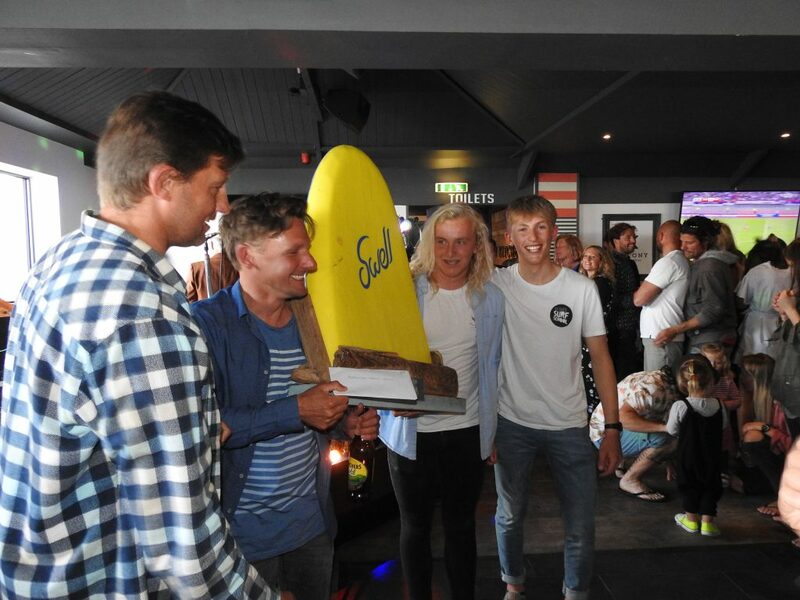 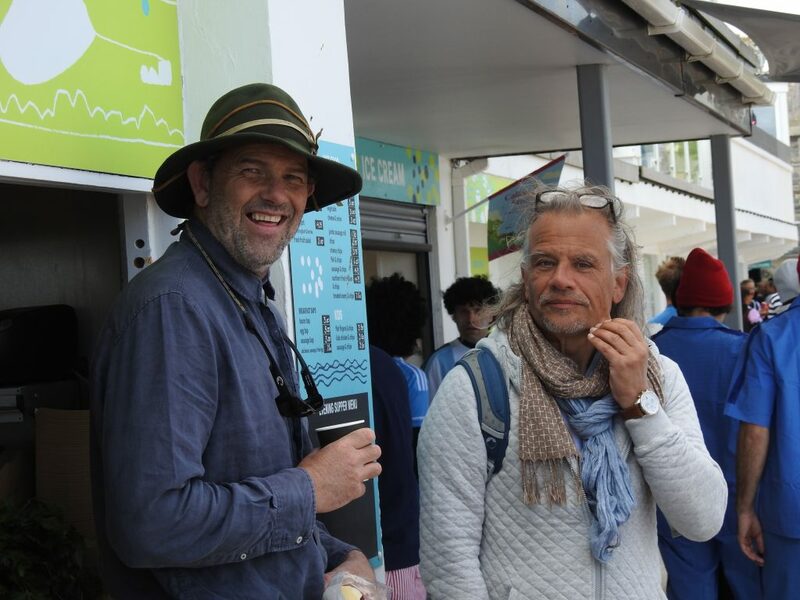 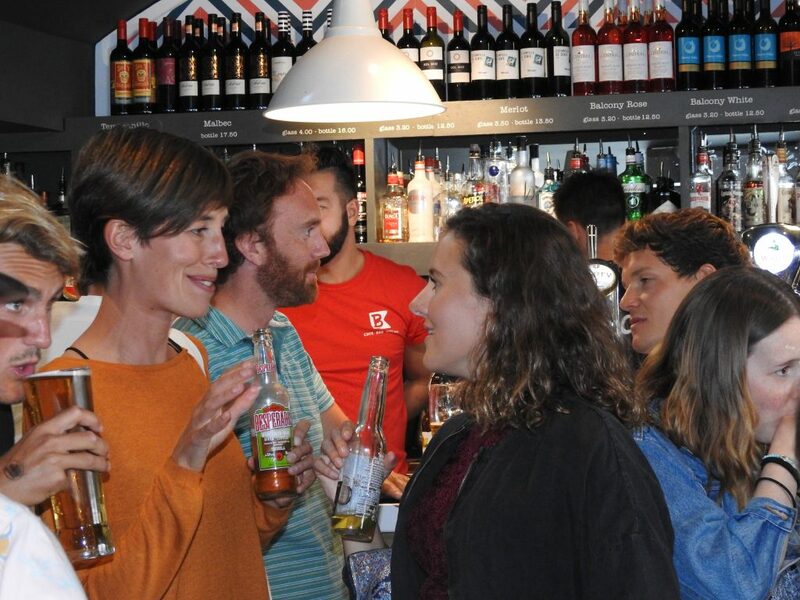 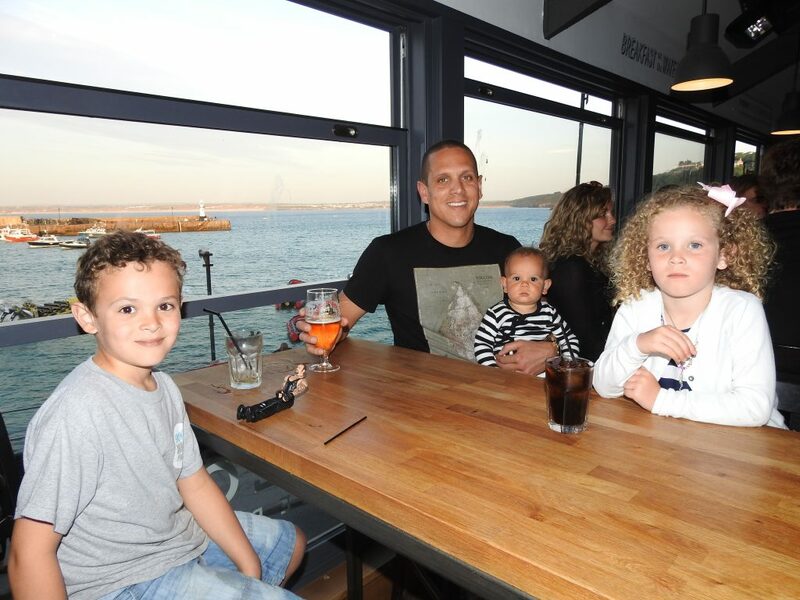 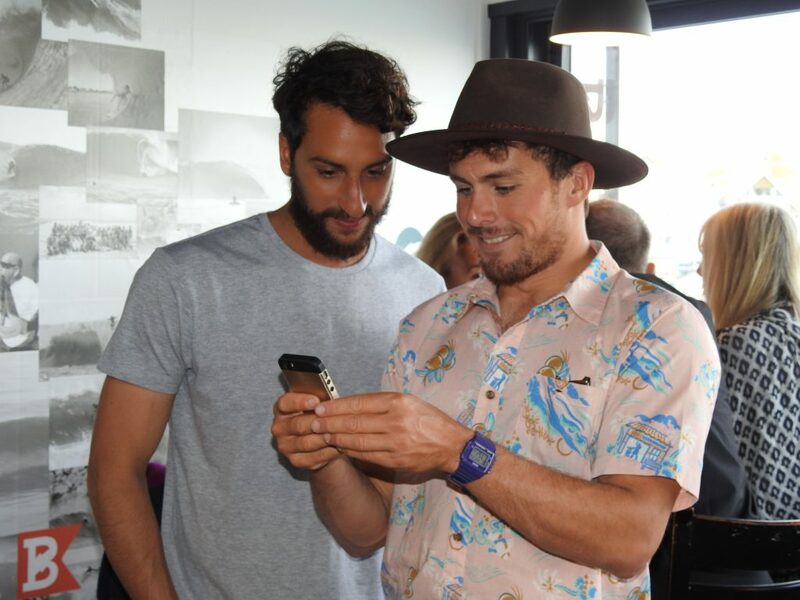 He outlined the part they have played in helping to develop the sport, and the part saints boardriders have played in introducing so many youngsters to surfing in St. Ives. 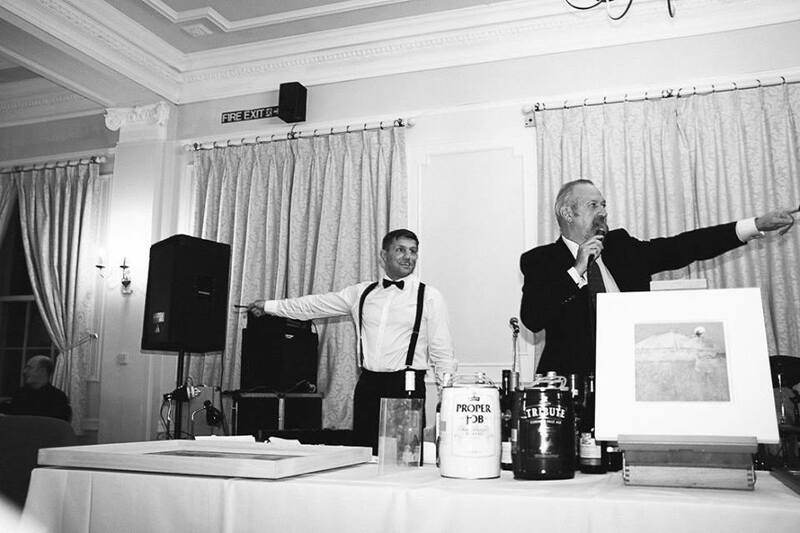 Towards the end of a splendid three-course dinner, auctioneer, Robin Turner went into action inviting us to bid for some very desirable lots which had been generously donated to help the cause. 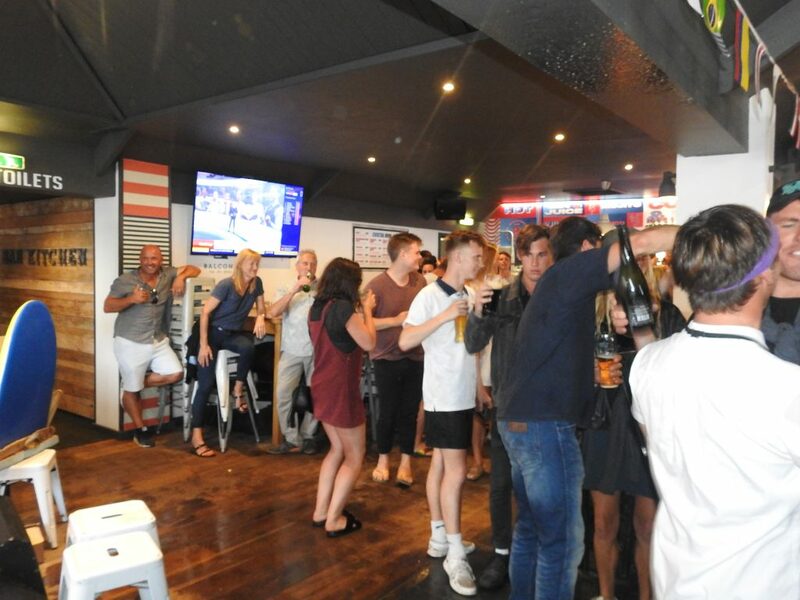 There was a case of a dozen bottles of wine given by Burdett Wines. 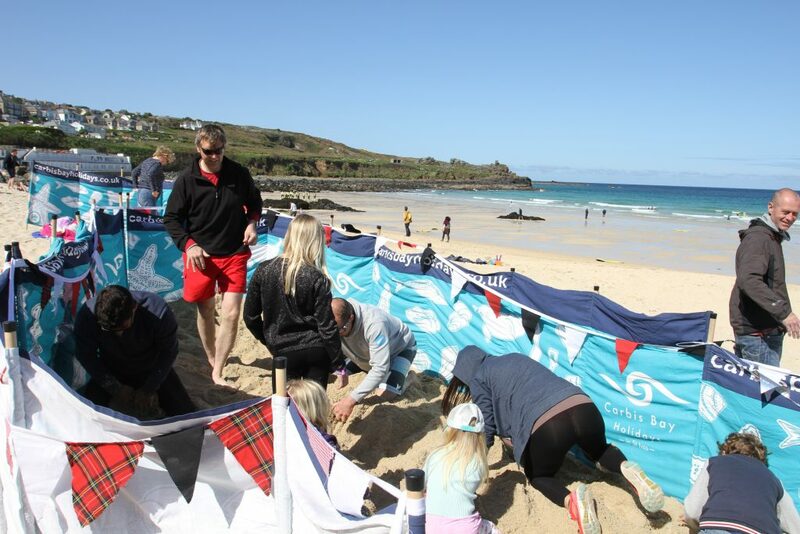 Kegs of beer packaged with a golf day and tickets to a Pirates rugby game donated by St. Austell Brewery. 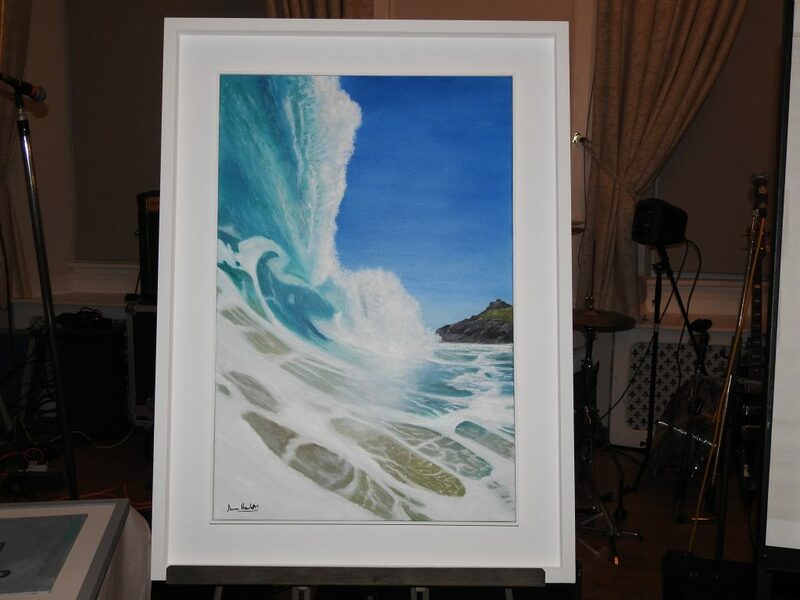 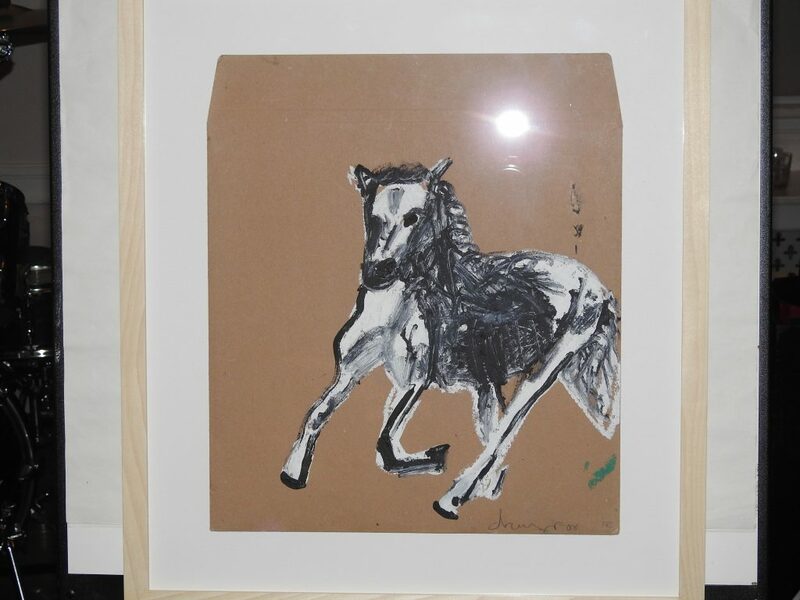 There were paintings by renowned local artists, Michael Quirke and Peter Beeson. 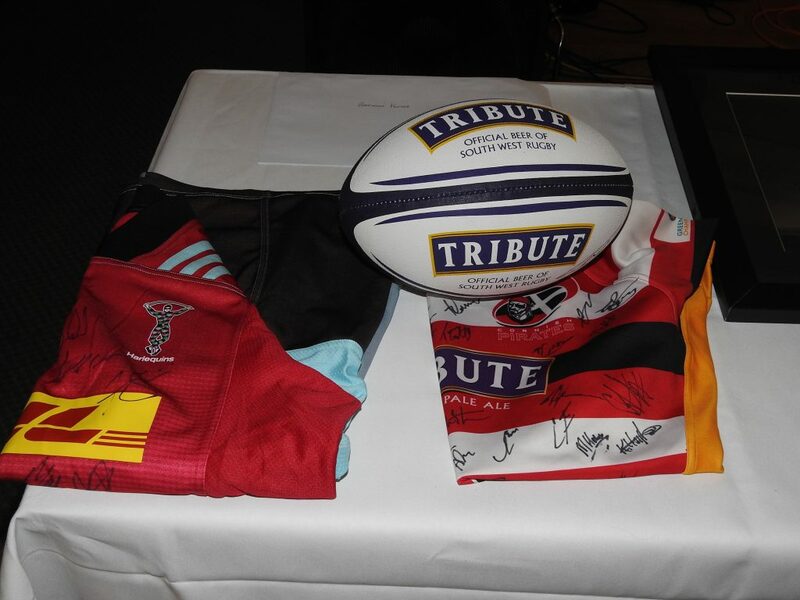 Premiership club rugby shirts signed by their players, and tickets to an international match. 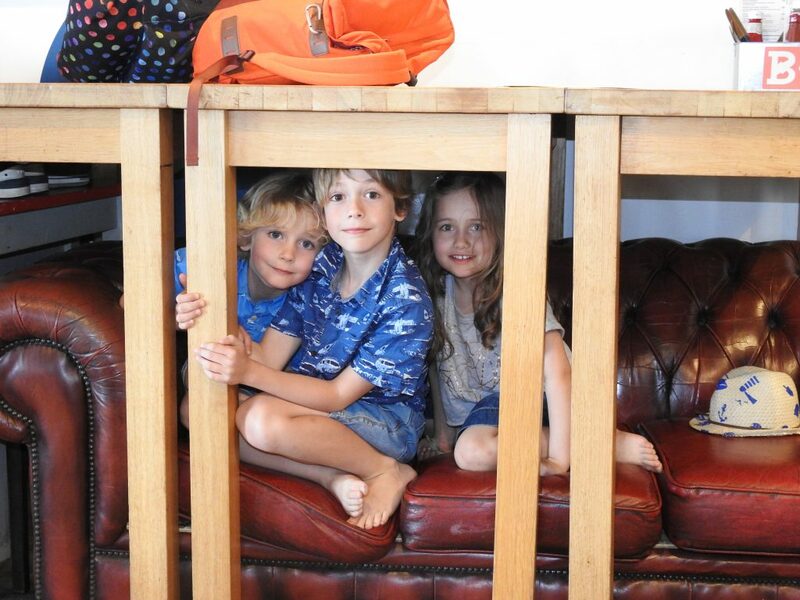 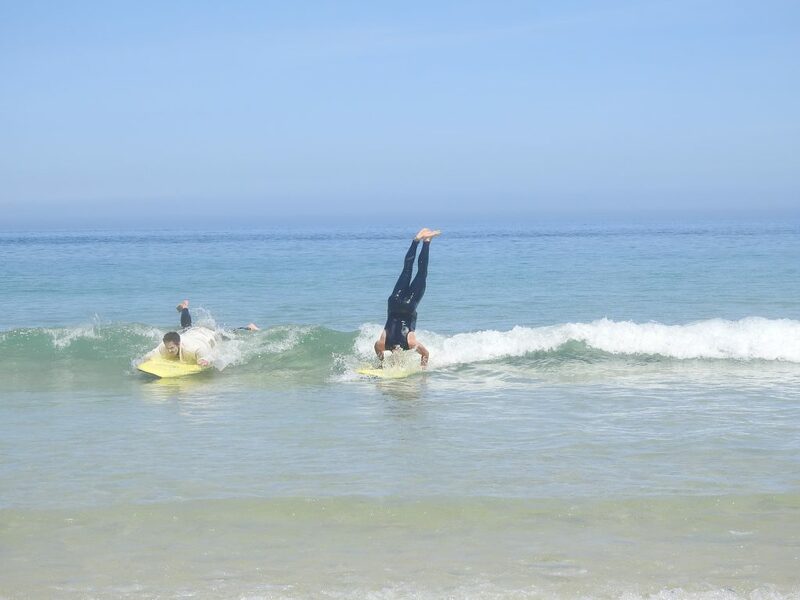 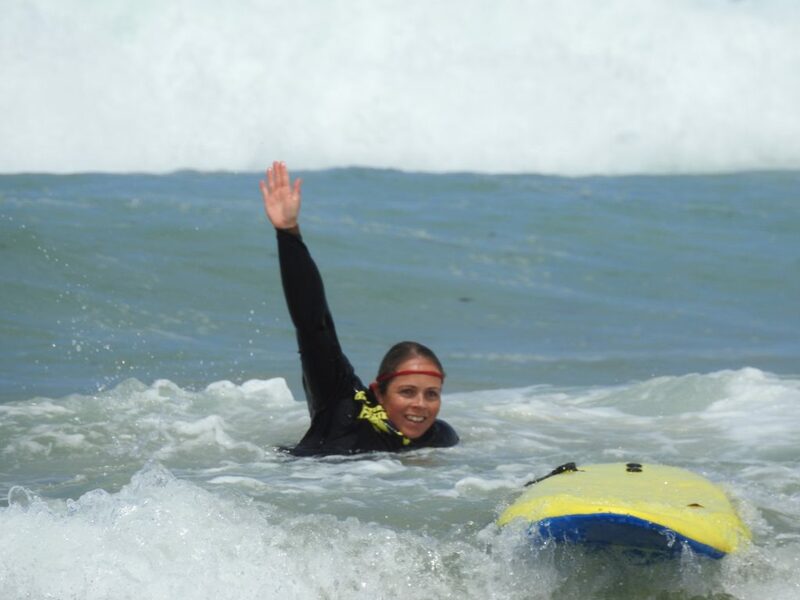 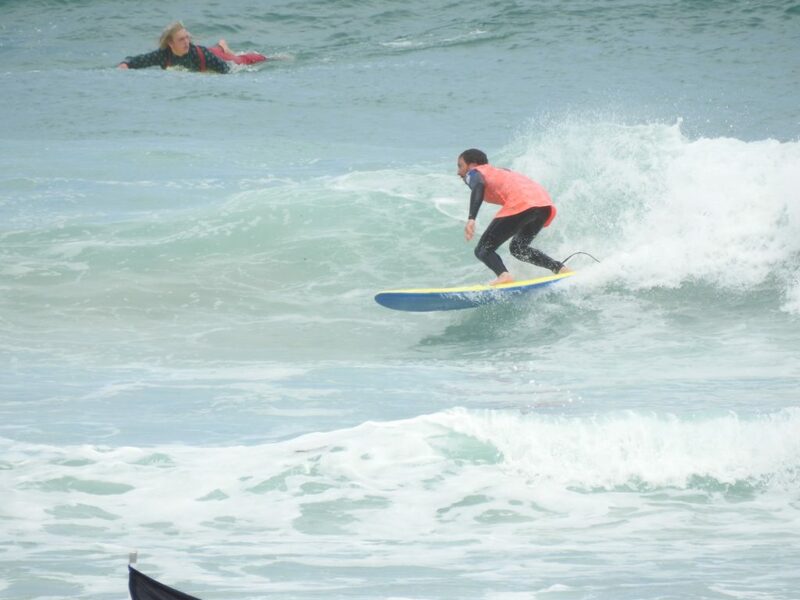 There was a weekend holiday package for four at Tregenna Castle, and a surf lesson and lunch with local pro surfer Jayce Robinson. 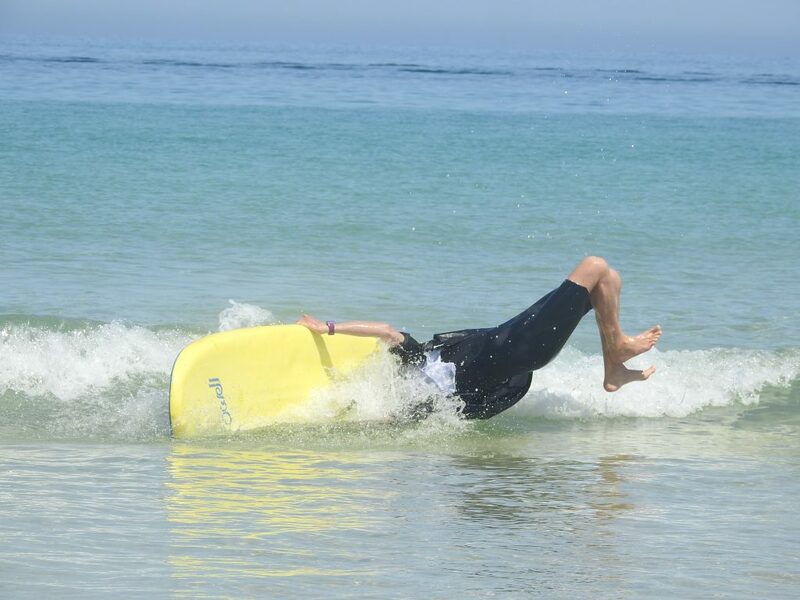 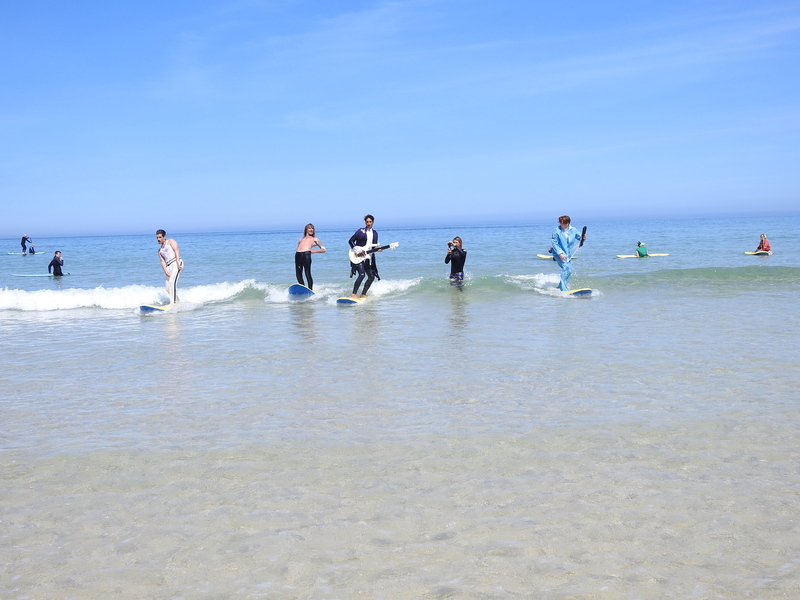 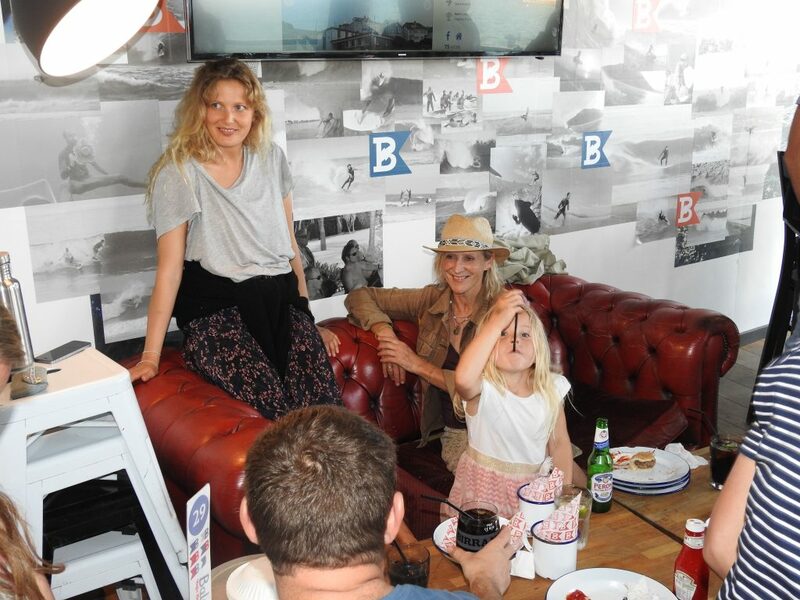 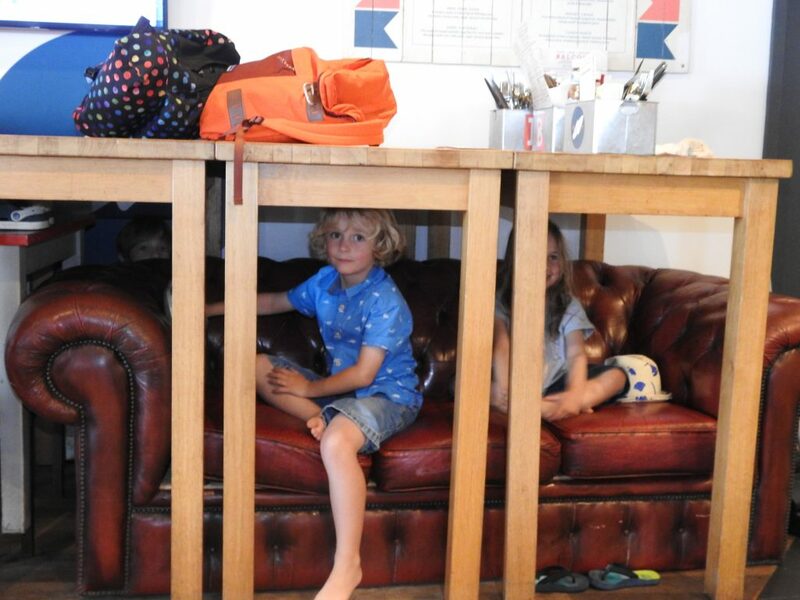 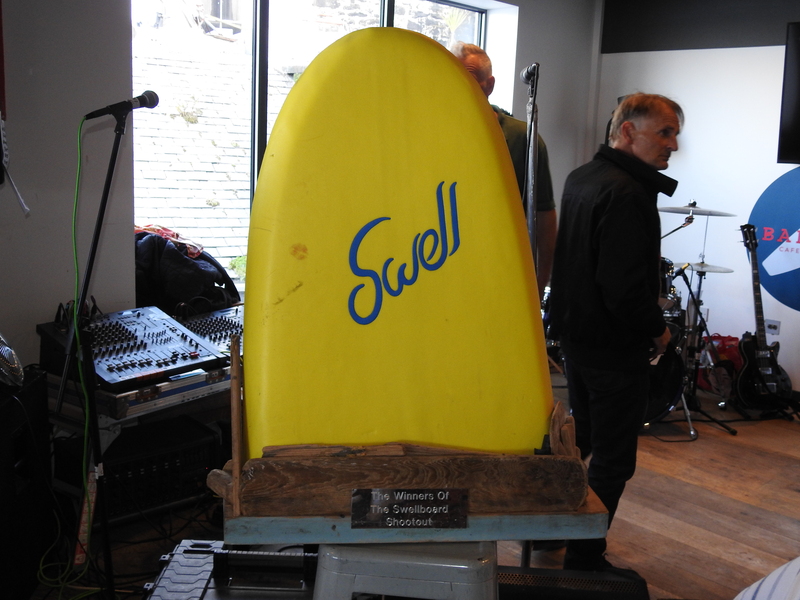 There was a water sports activity package for eight people with St. Ives Surf School, a new resin-tint surfboard by RT donated by Boardbox in St. Ives and there was a beautiful chair from Kettles of Fowey. 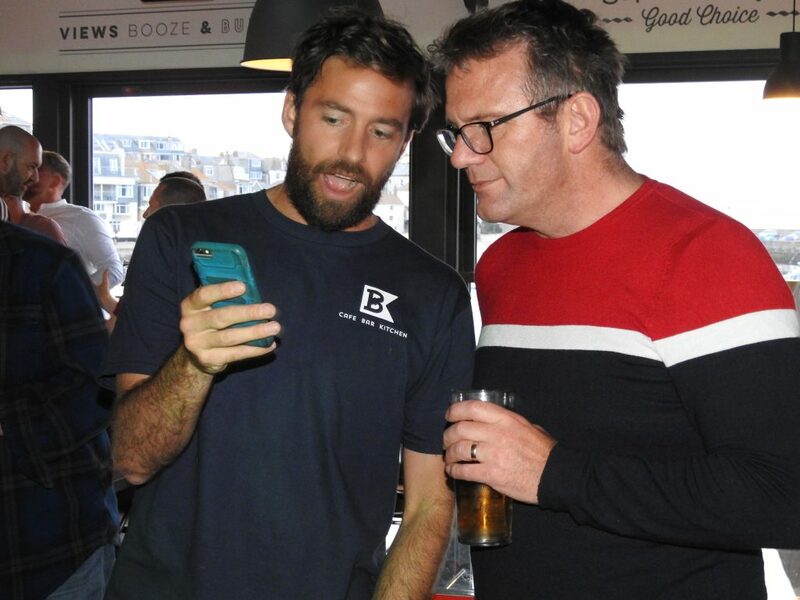 Bidding on all the lots was brisk, and by the end Robin had realised over £4000 for the cause. 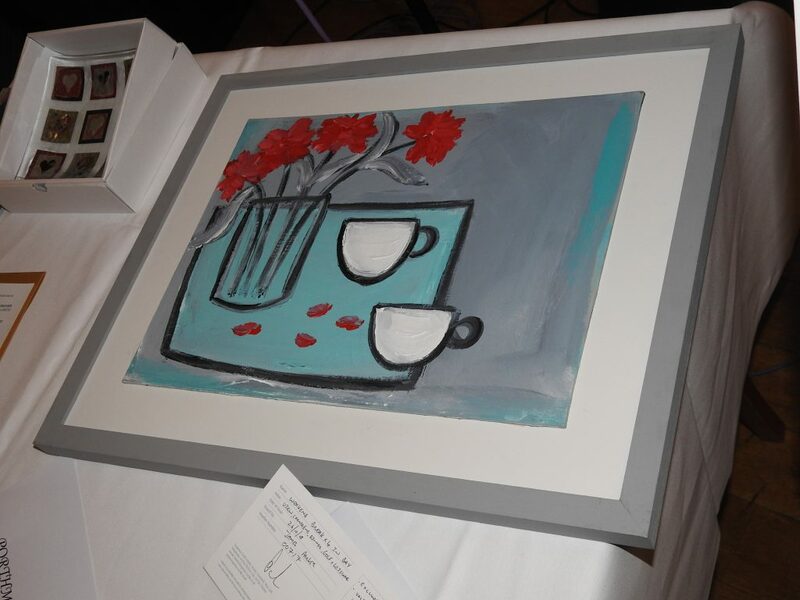 Thank you and well done to both him and our bidders! 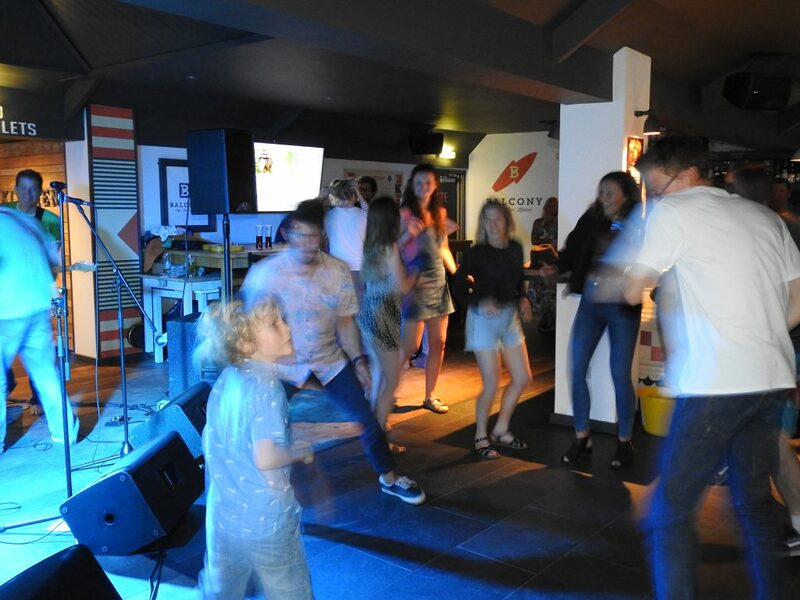 And then it was a case of clear the decks as the Sandy Acres Seven got into their stride and got the house rocking, while the gamblers among us were back in the casino trying their luck at roulette and blackjack. 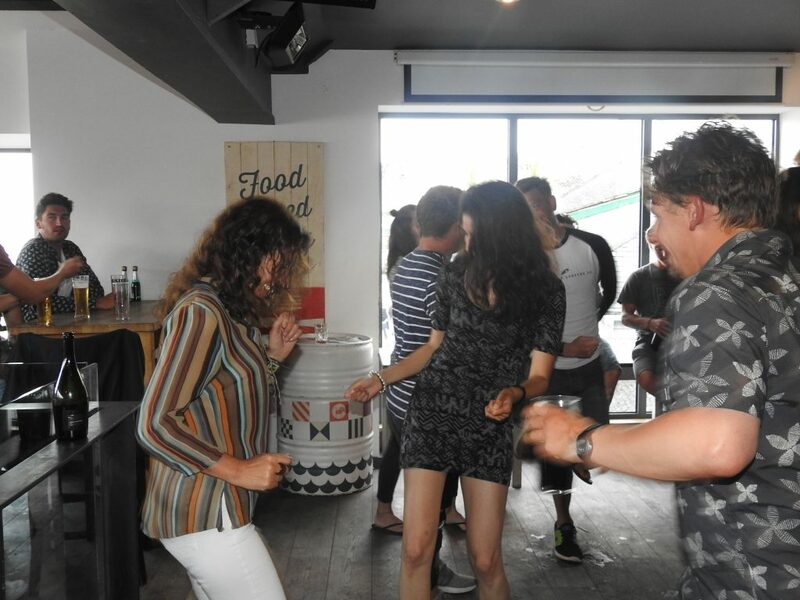 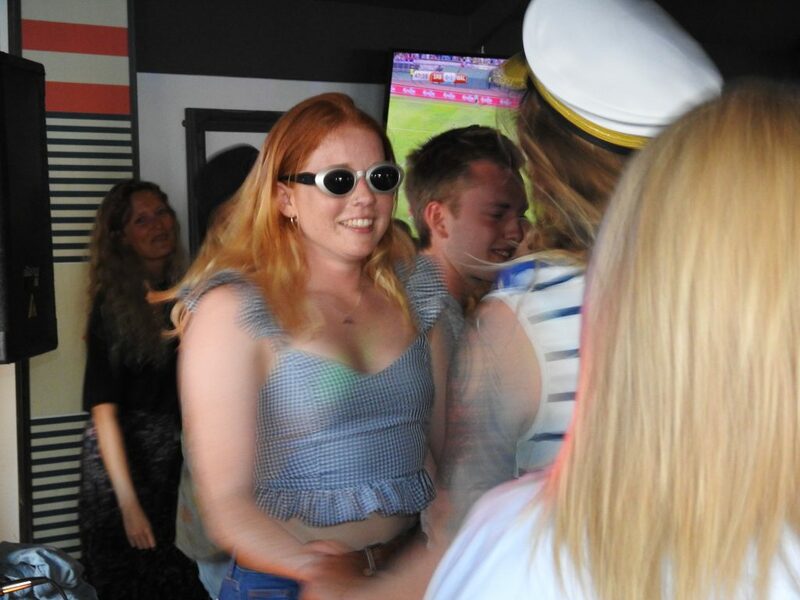 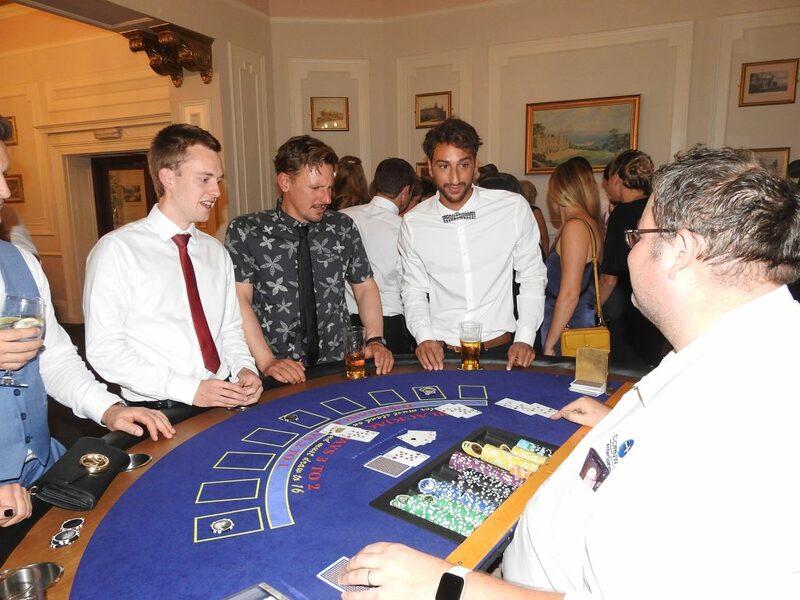 The night went on at a pace into the small hours leaving everyone with that quiet-but-contented buzz as the cabs rolled off down Tregenna’s drive and the croupiers counted the chips back into the treasury. 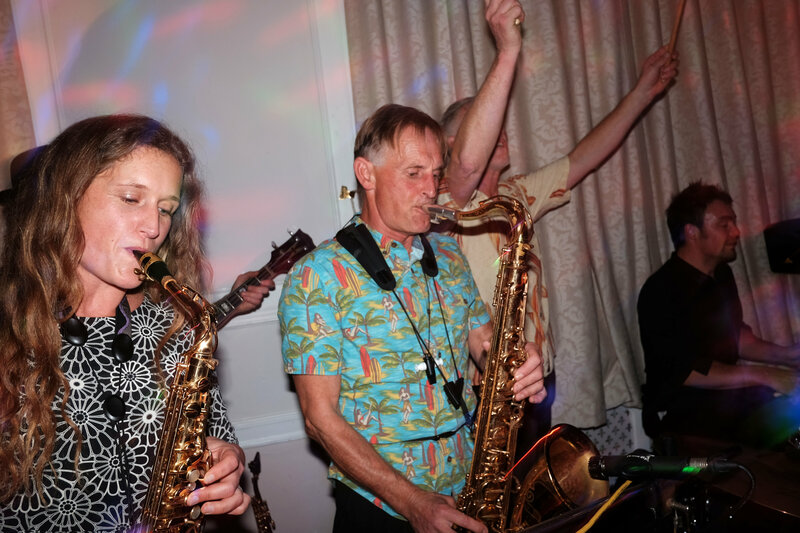 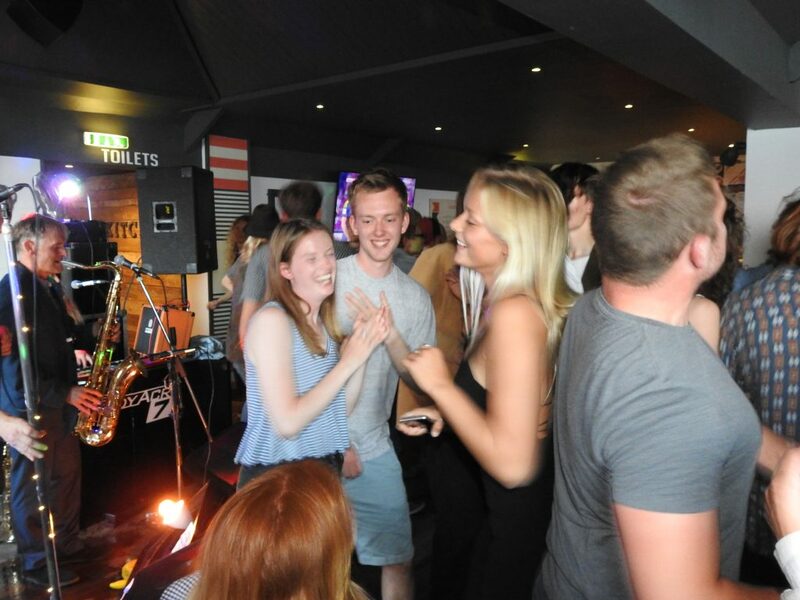 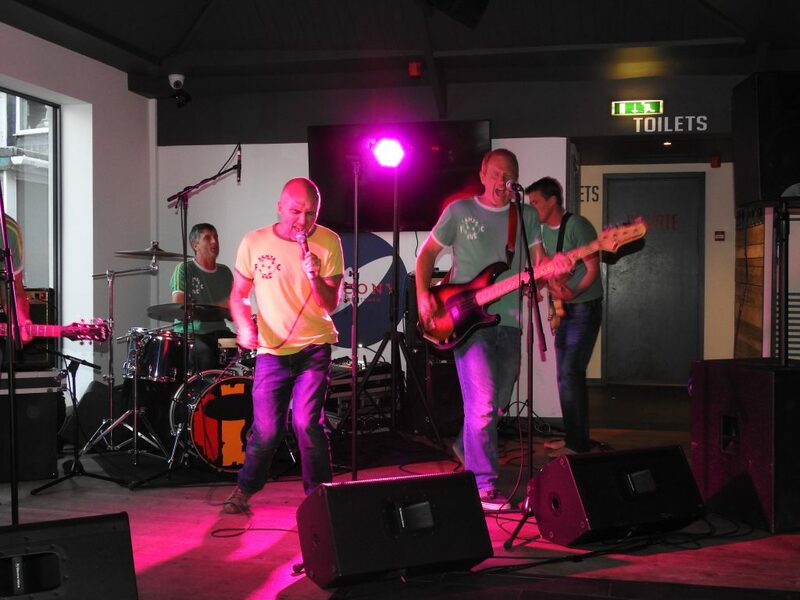 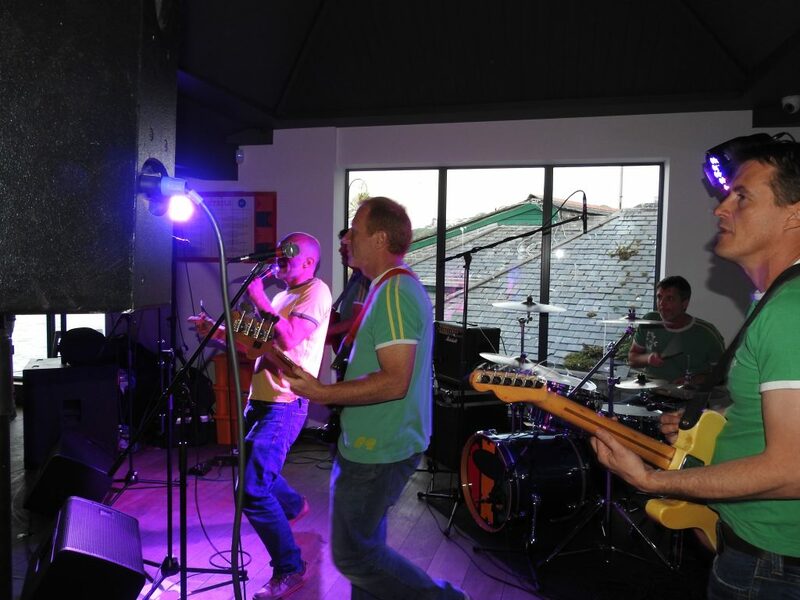 And Sandy Acres Seven had done us proud once again – can we call you our house band?! 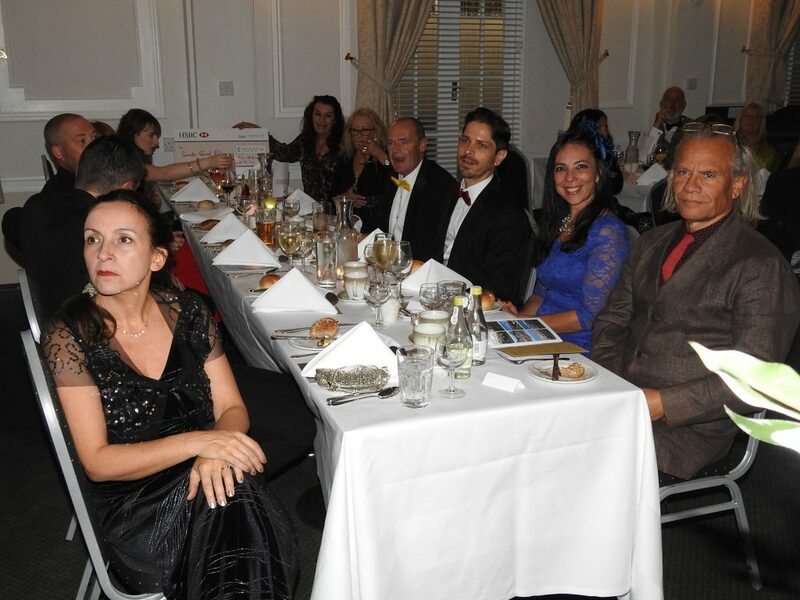 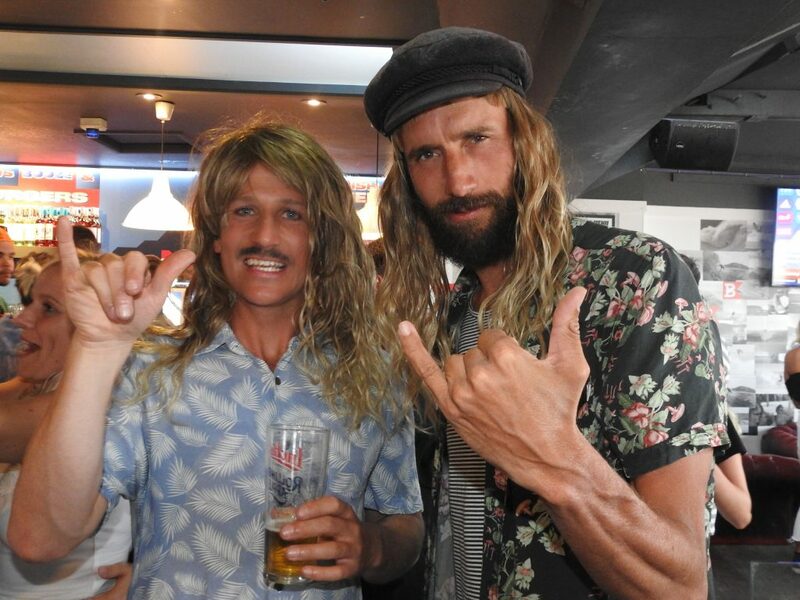 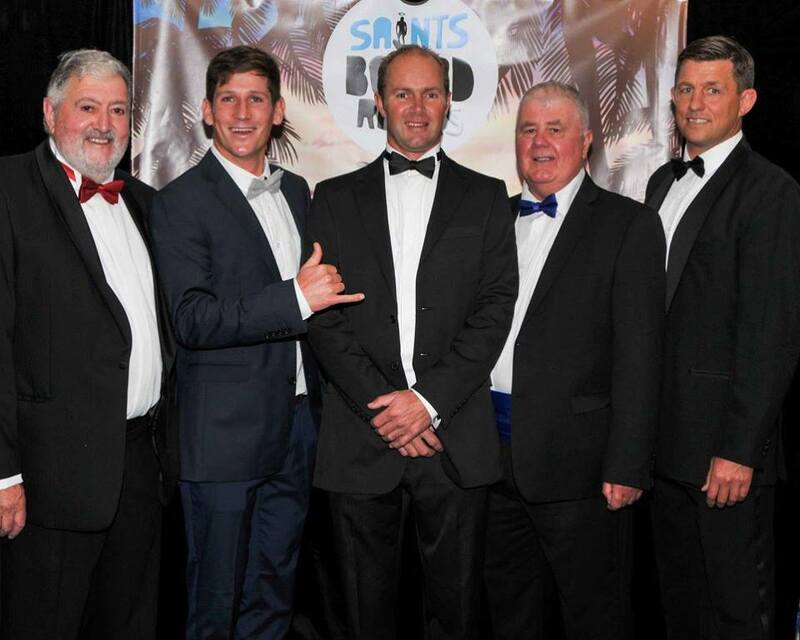 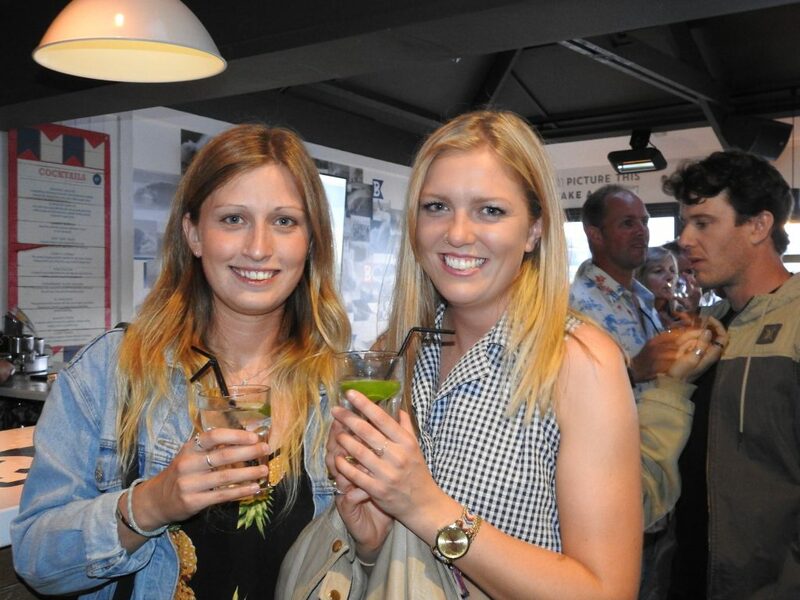 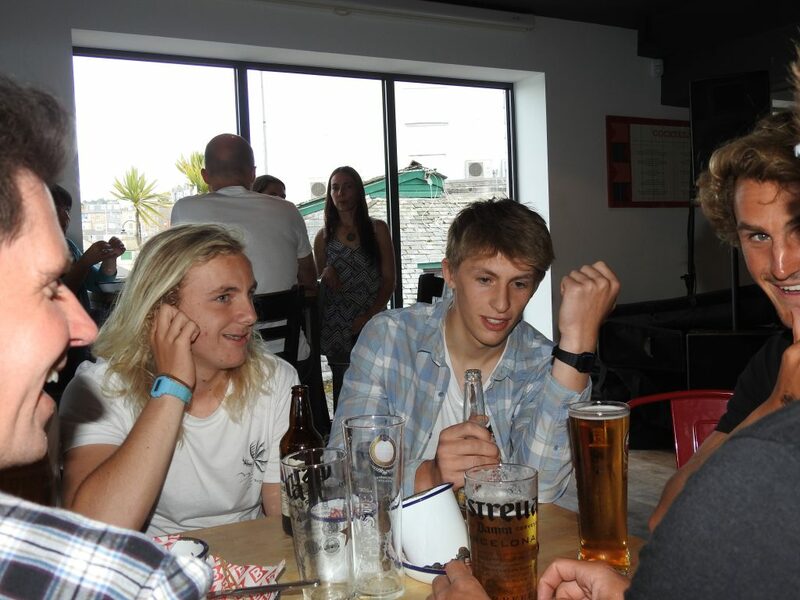 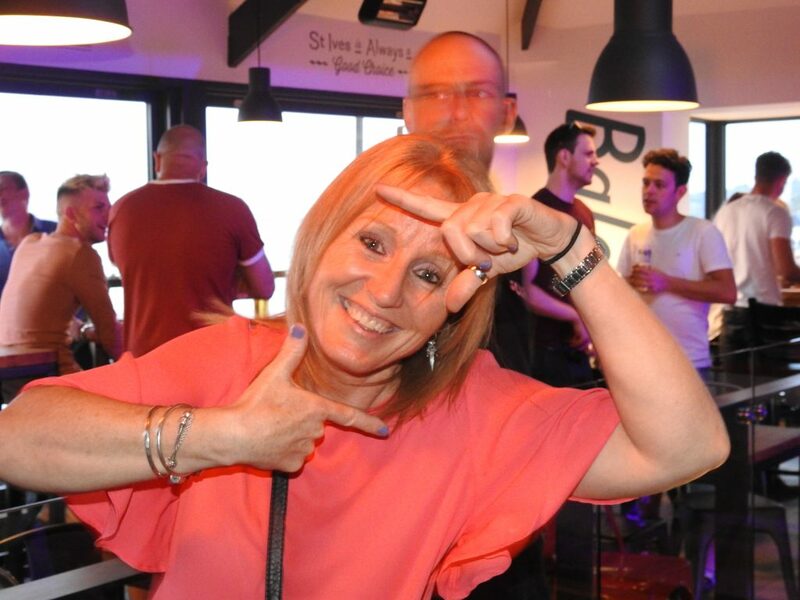 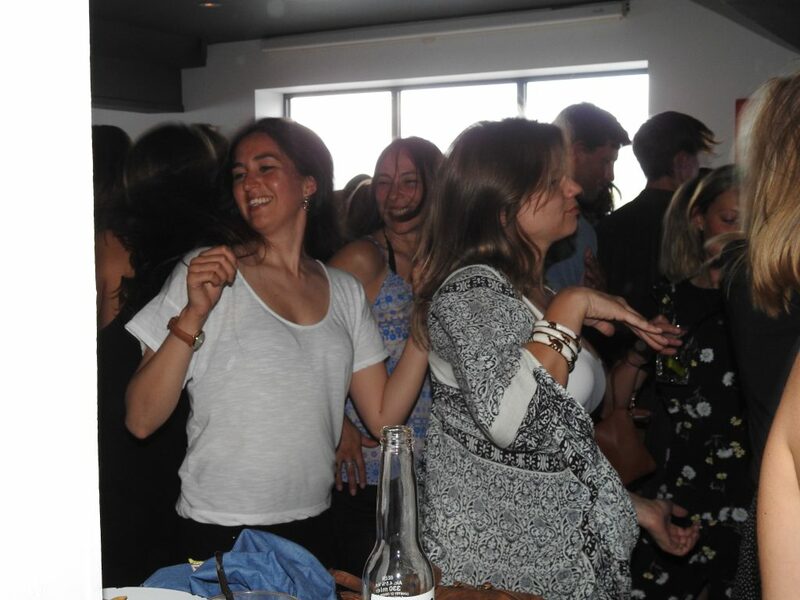 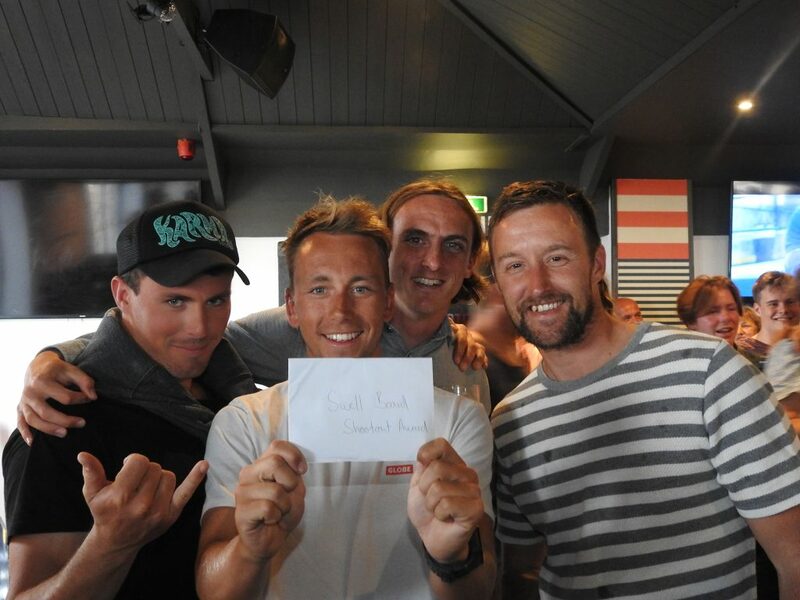 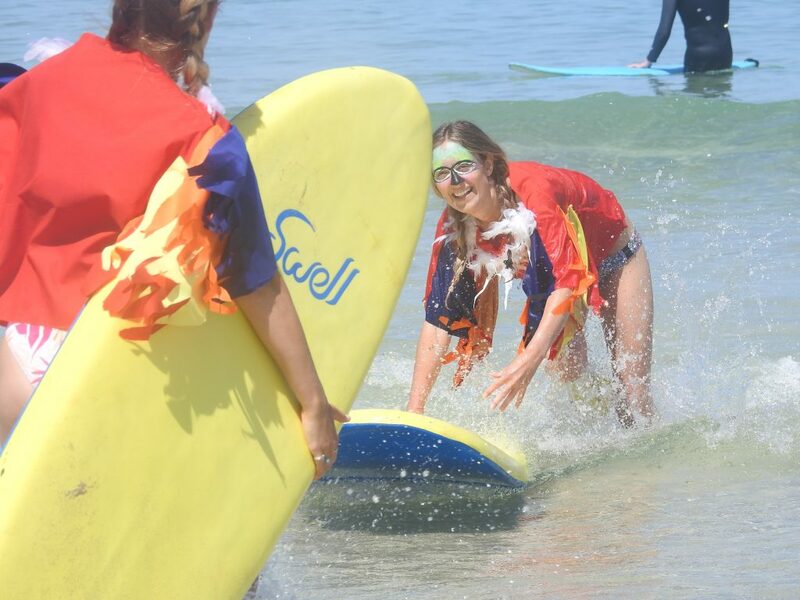 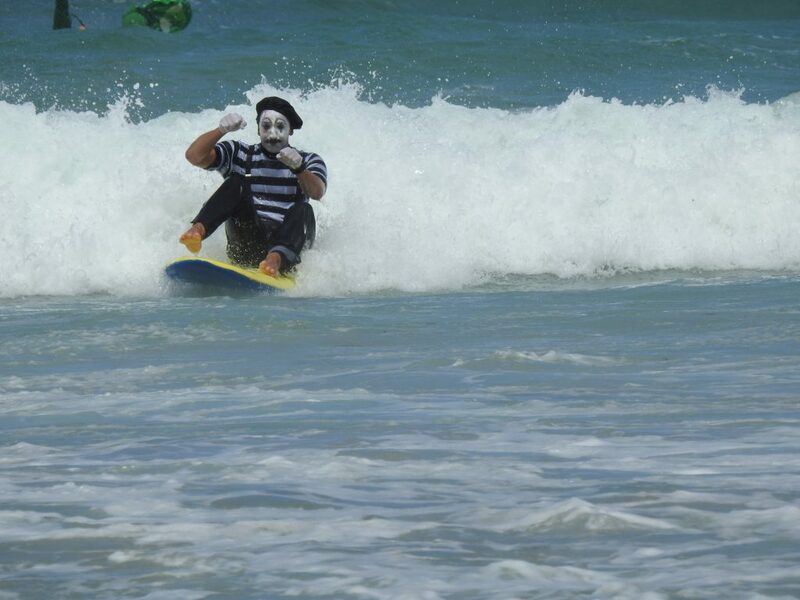 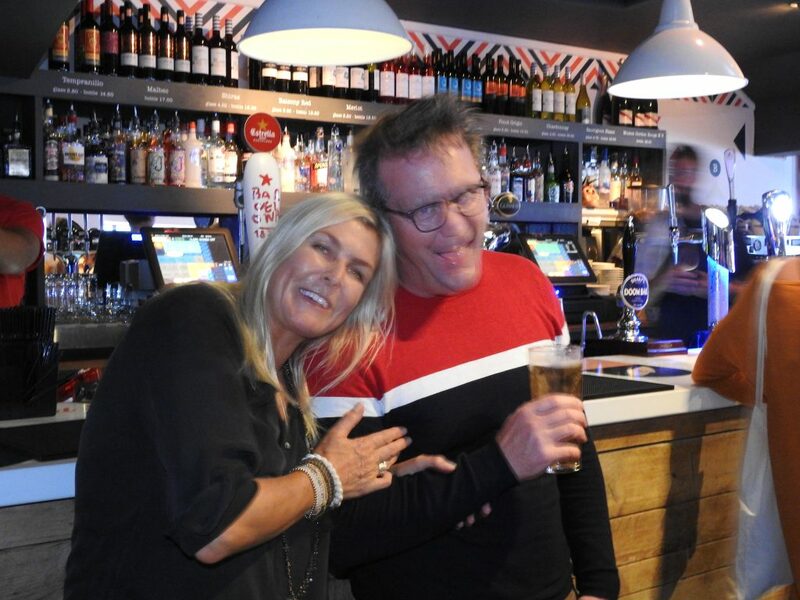 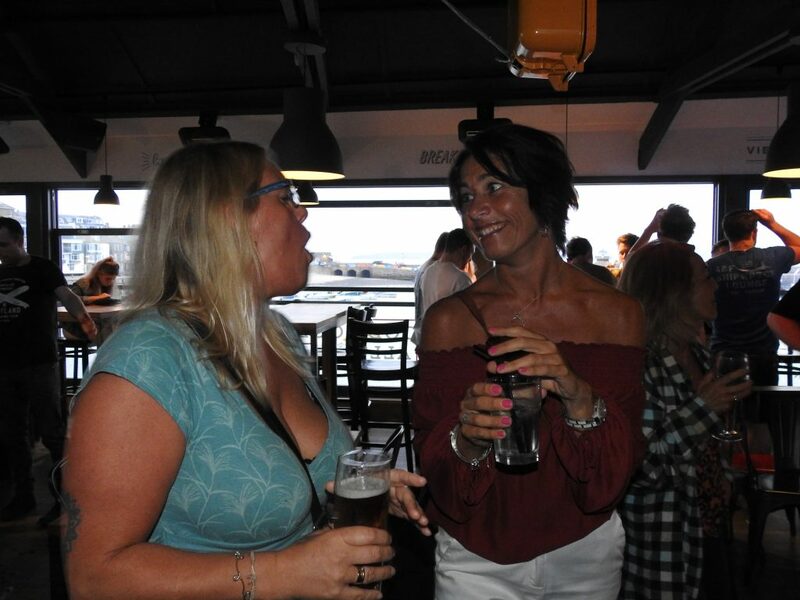 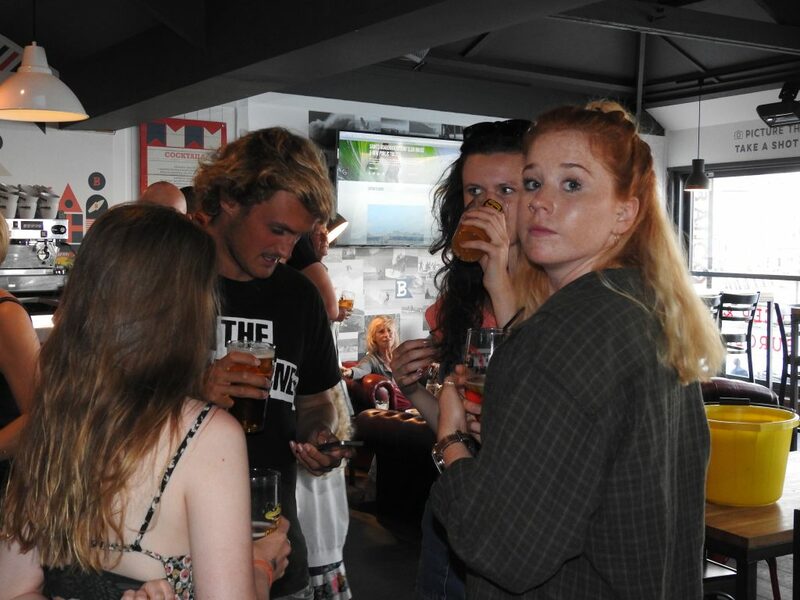 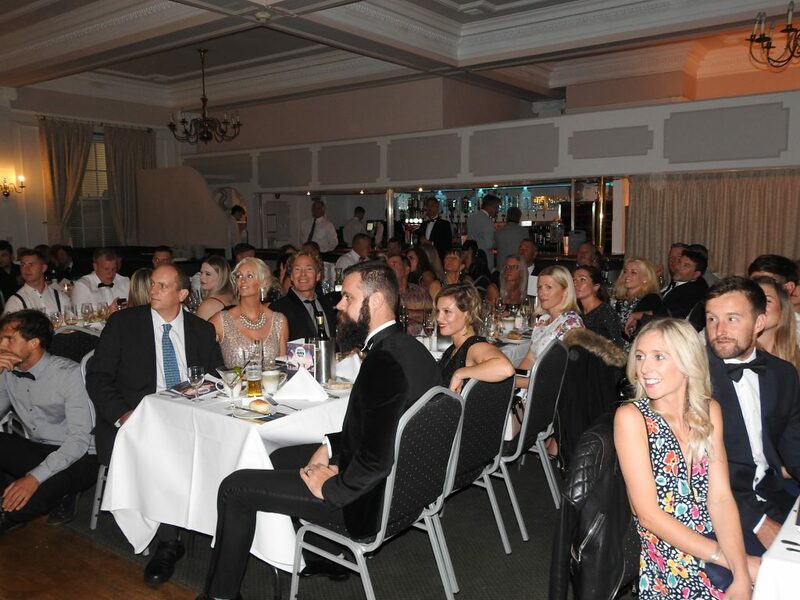 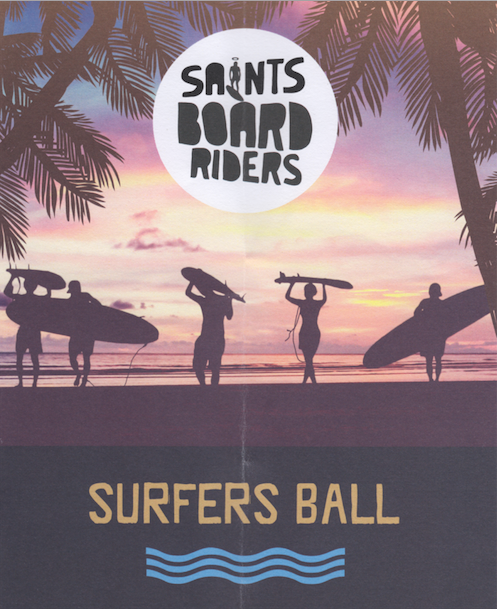 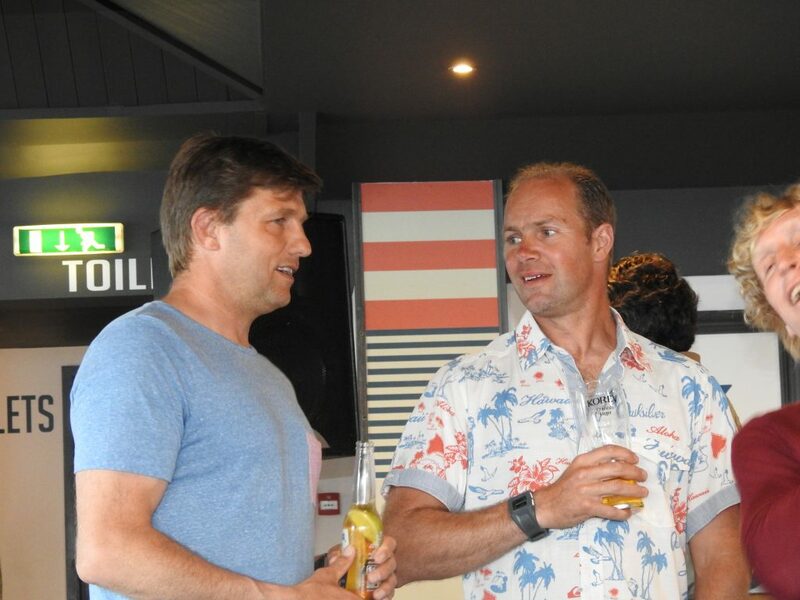 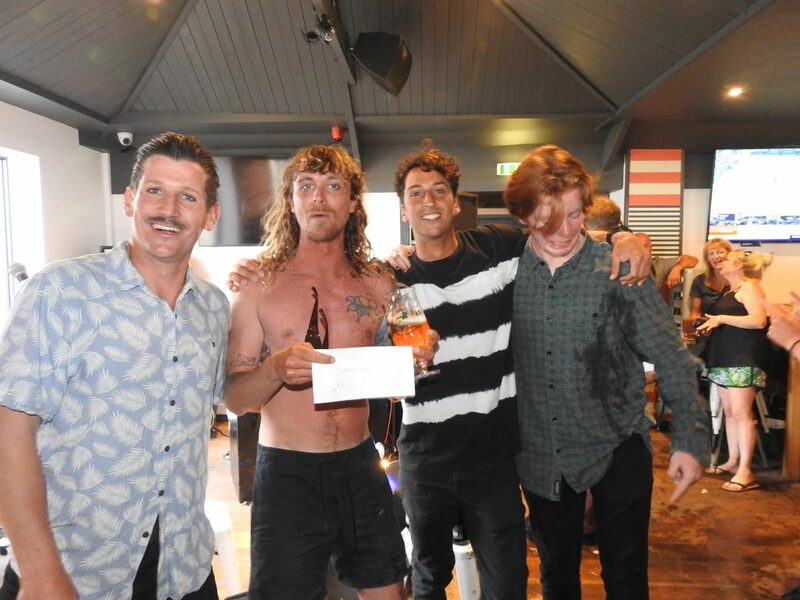 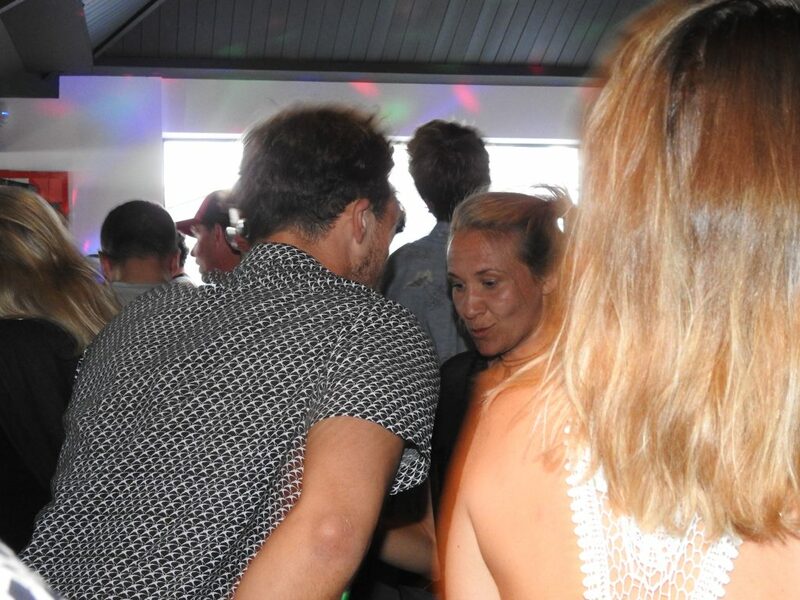 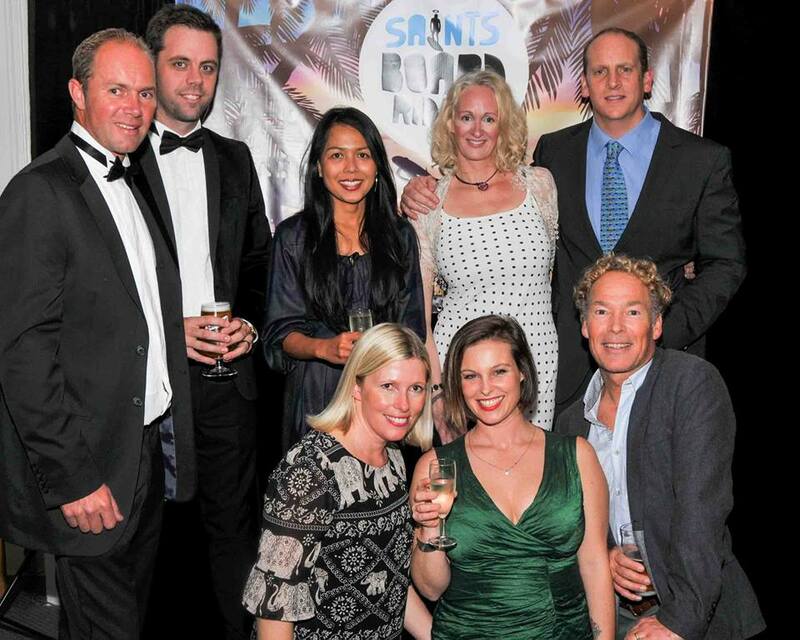 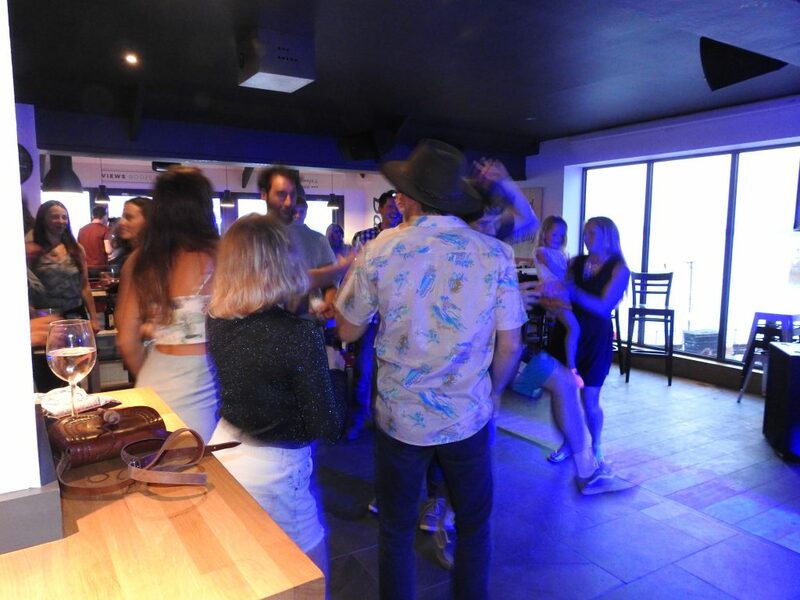 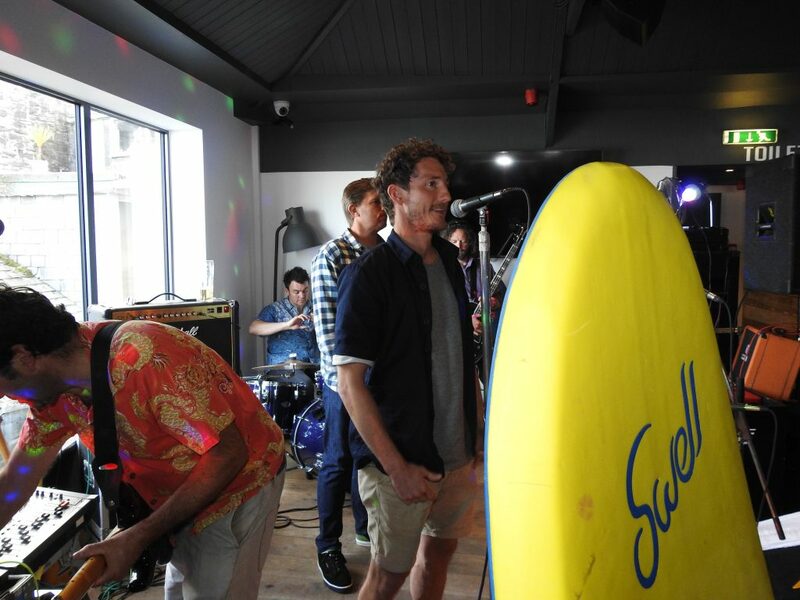 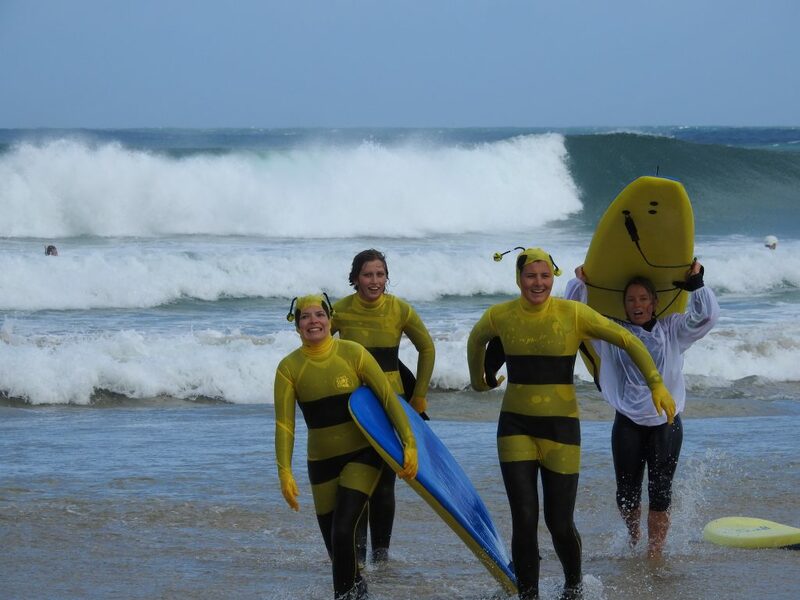 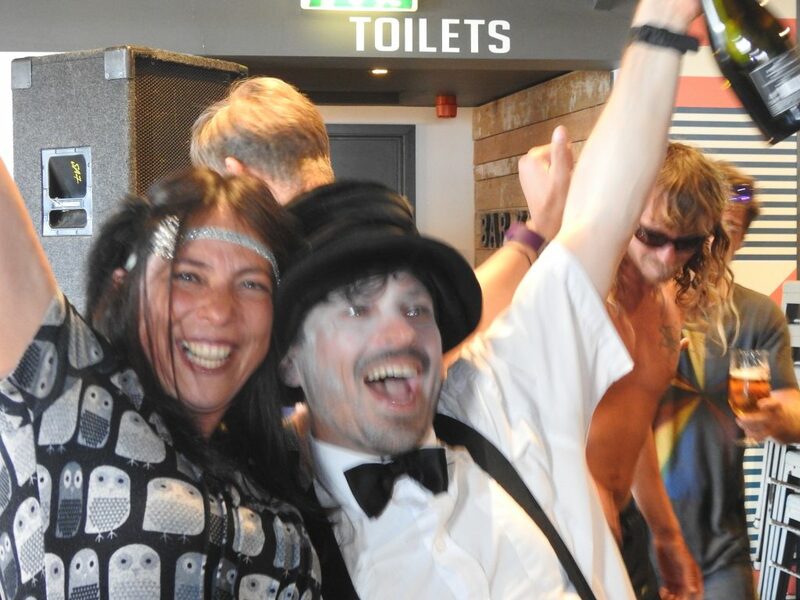 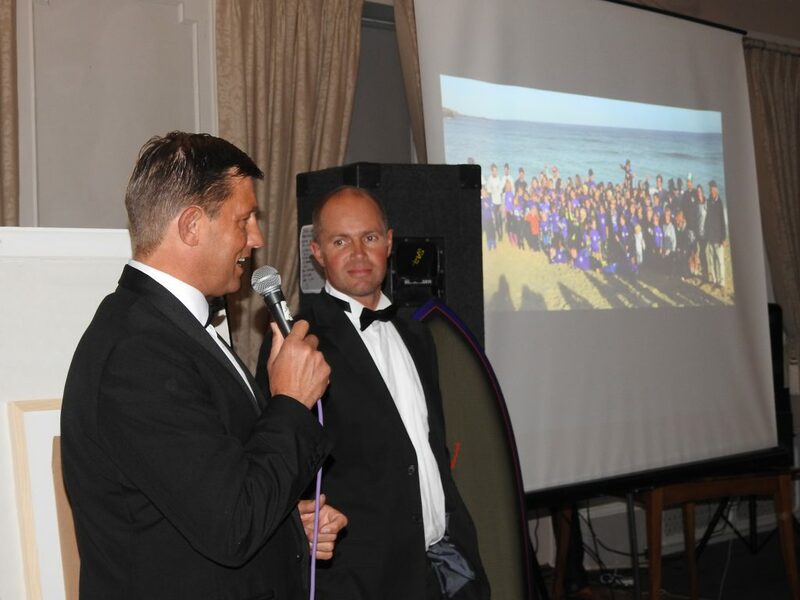 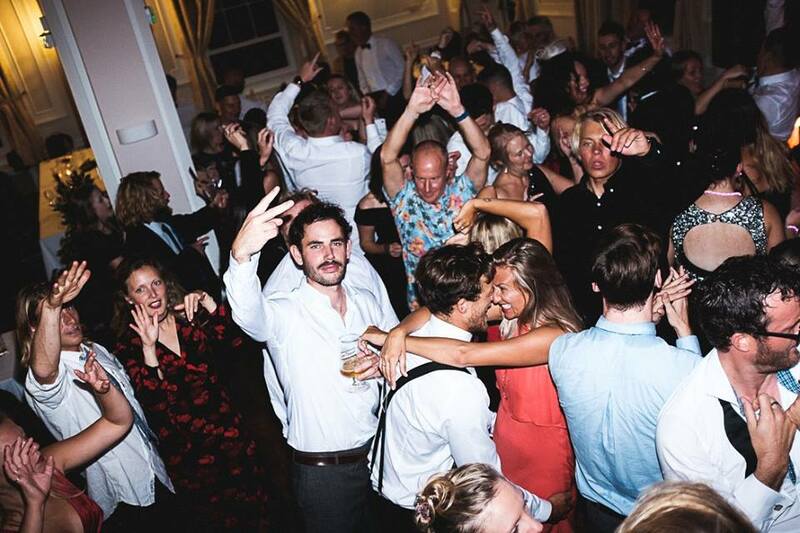 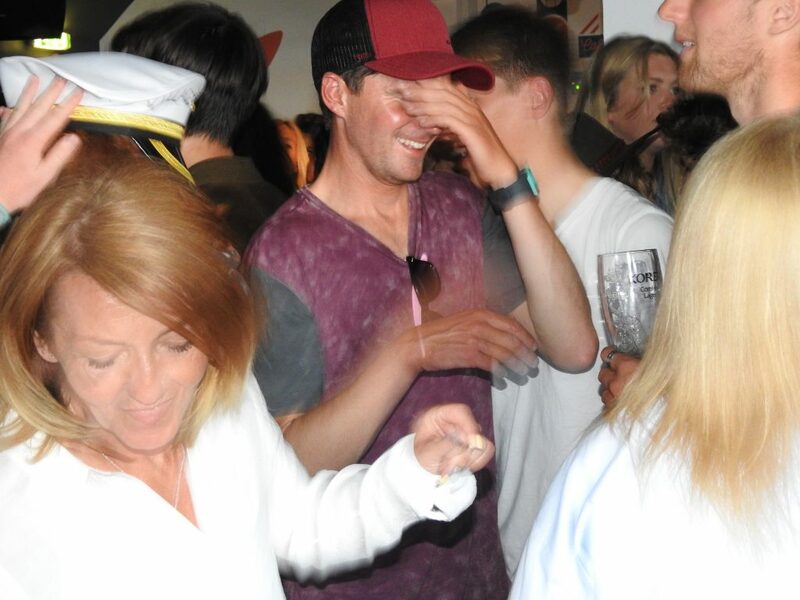 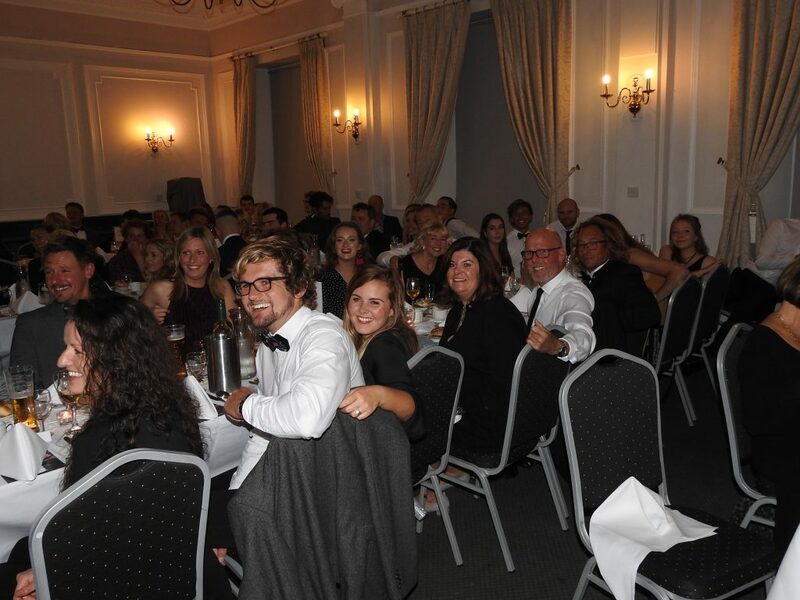 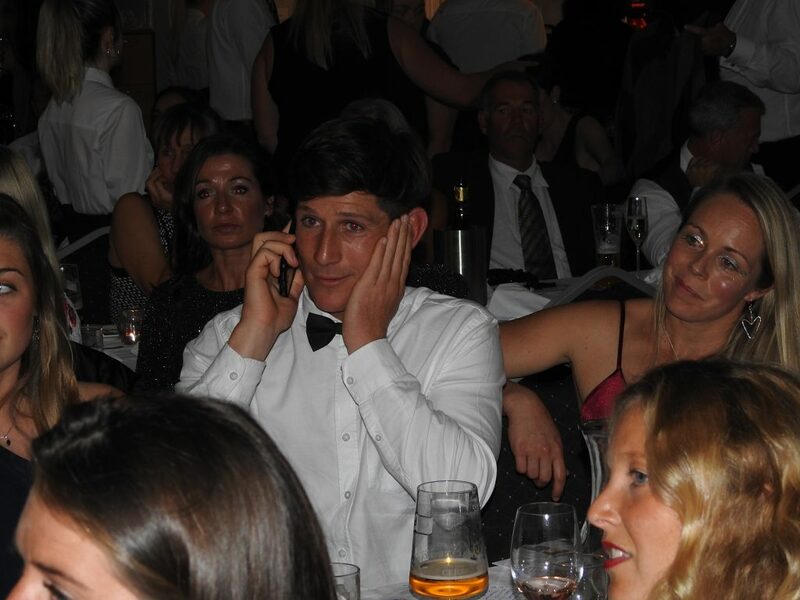 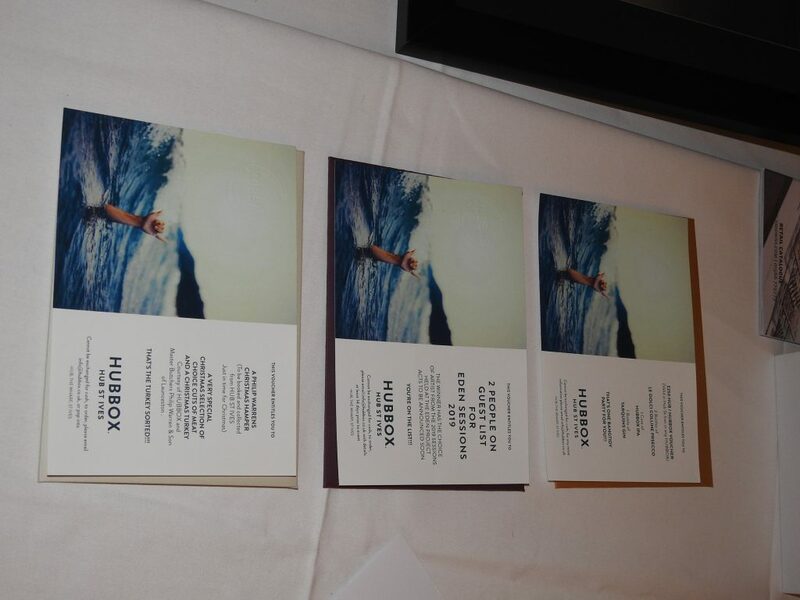 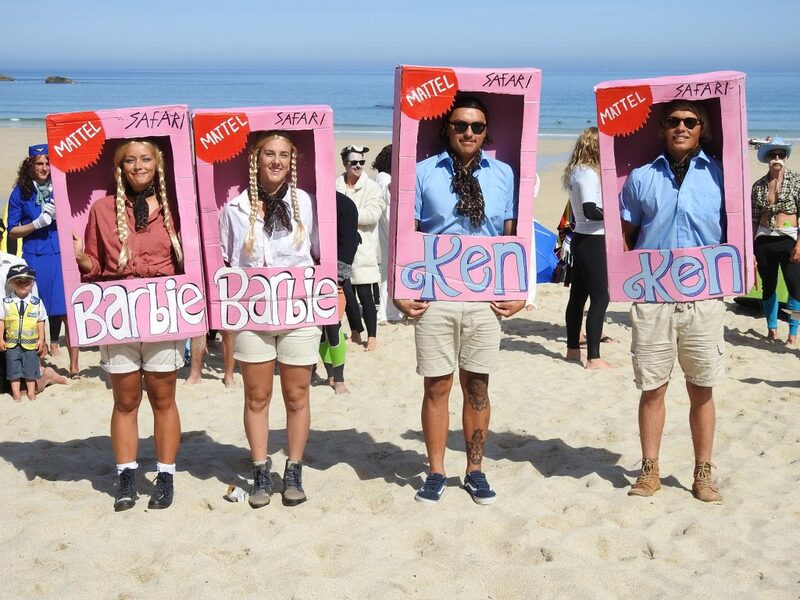 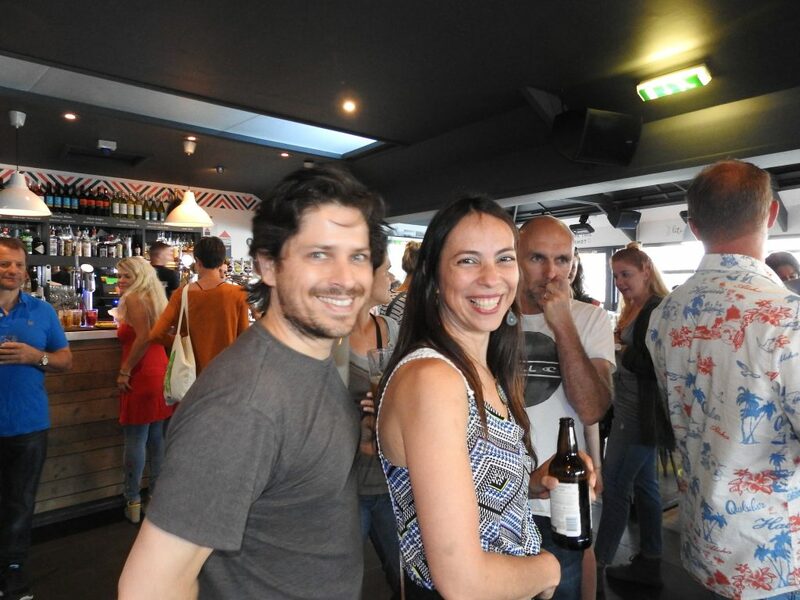 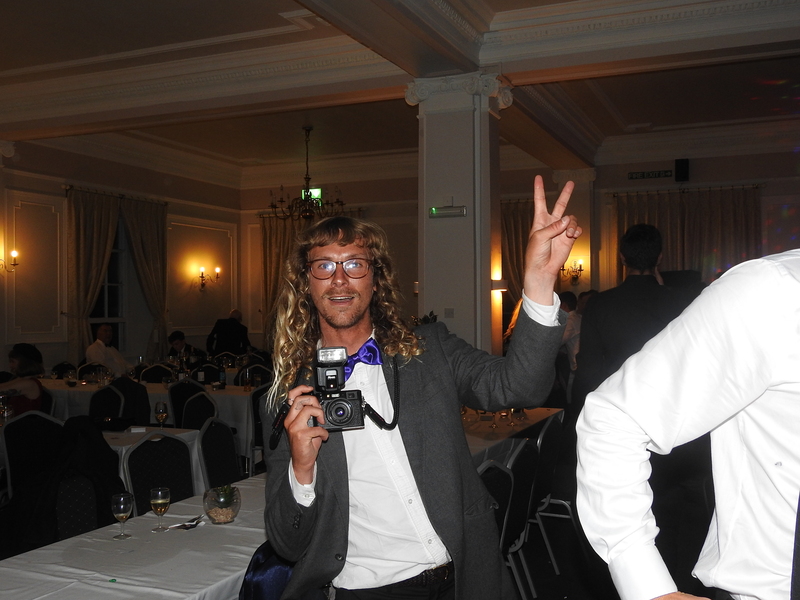 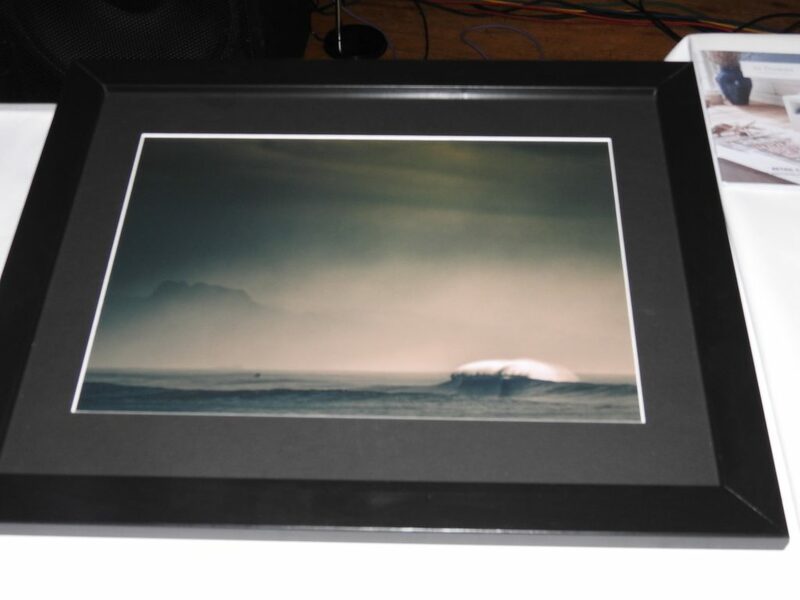 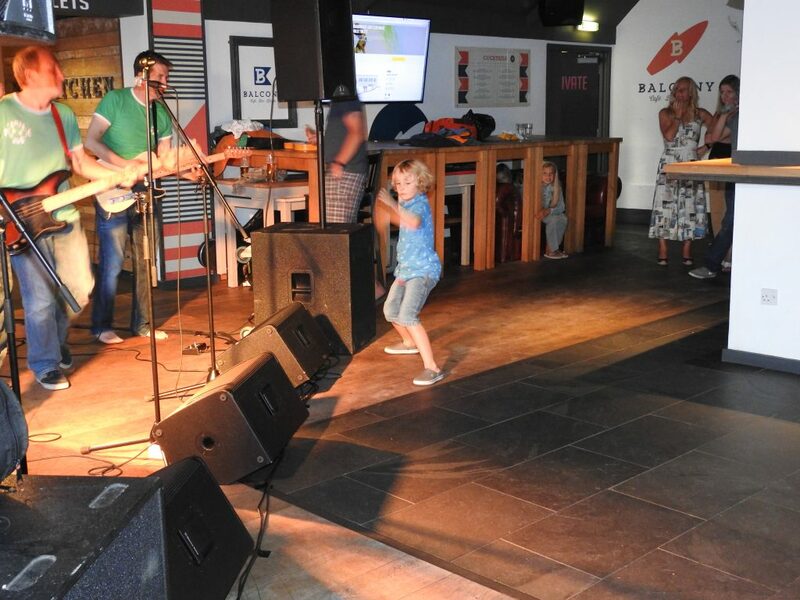 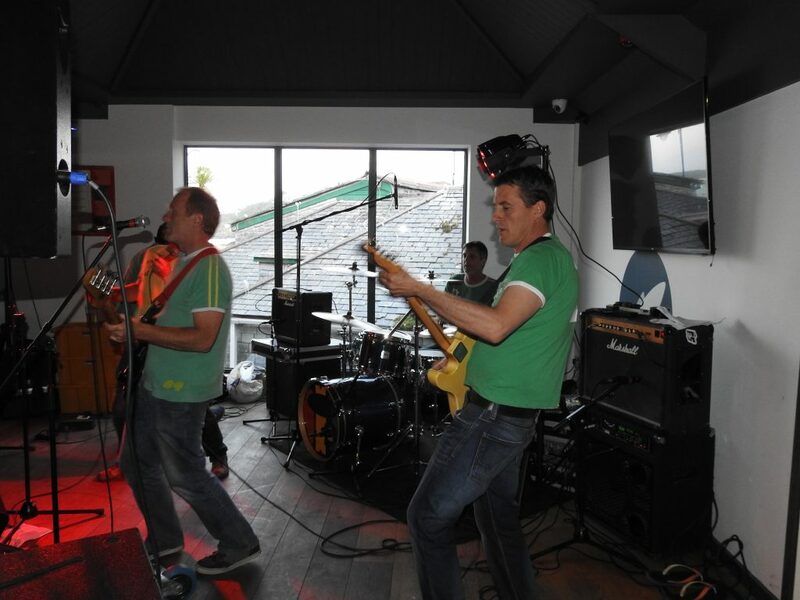 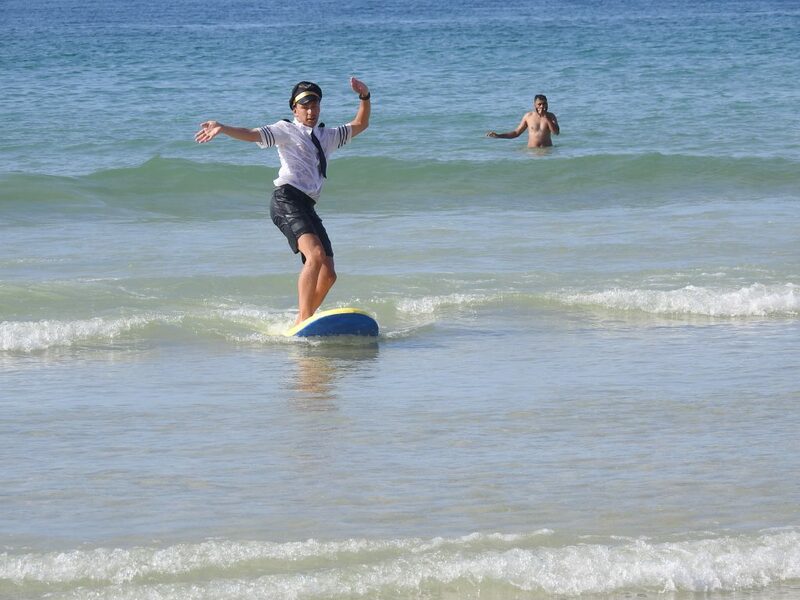 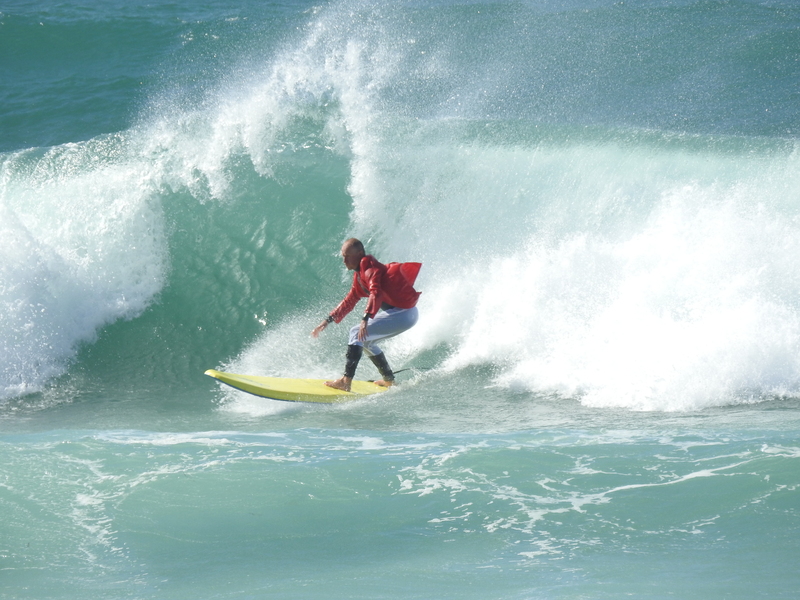 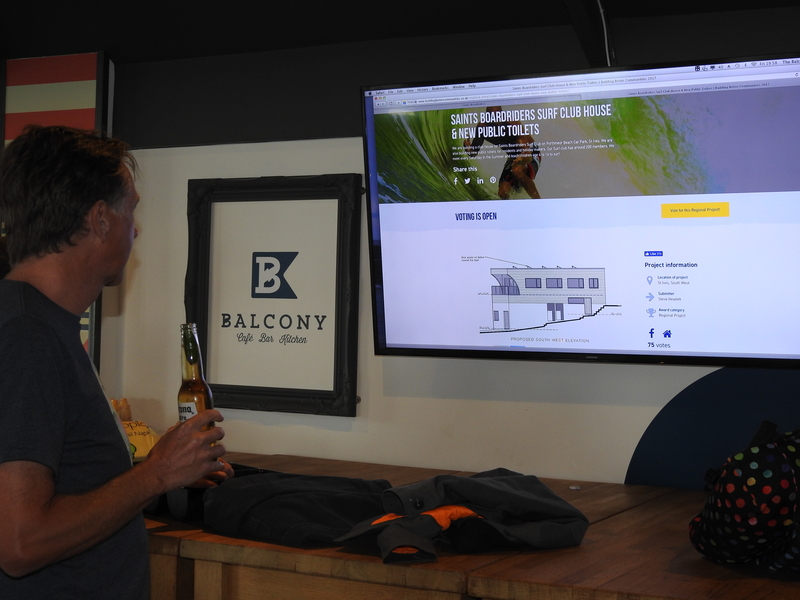 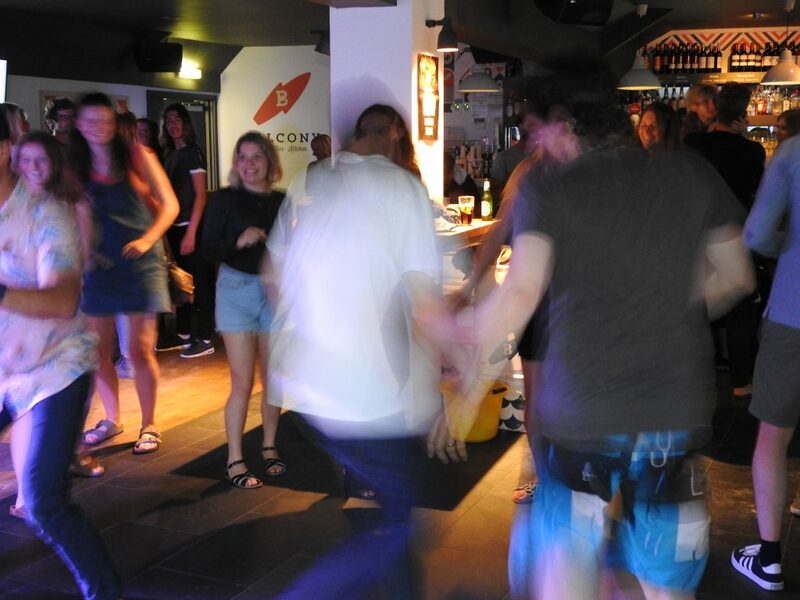 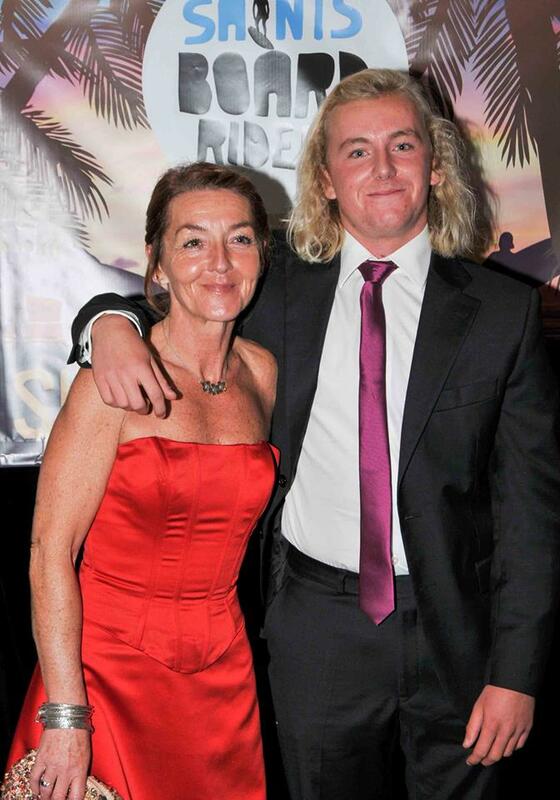 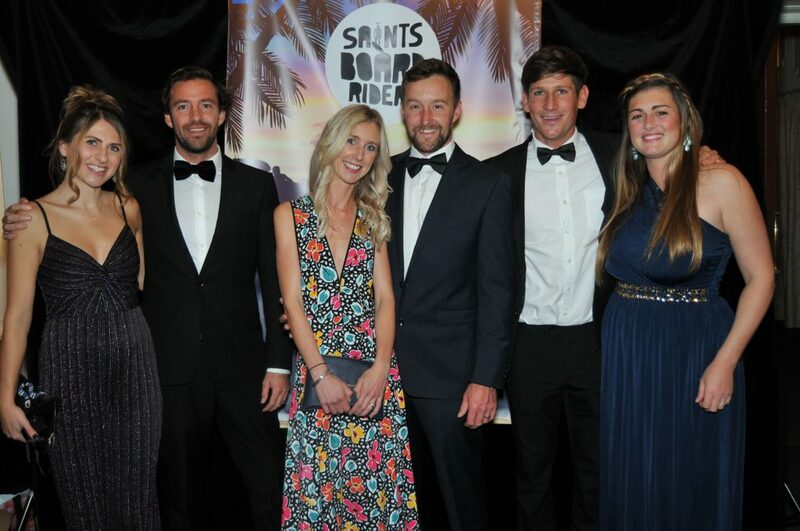 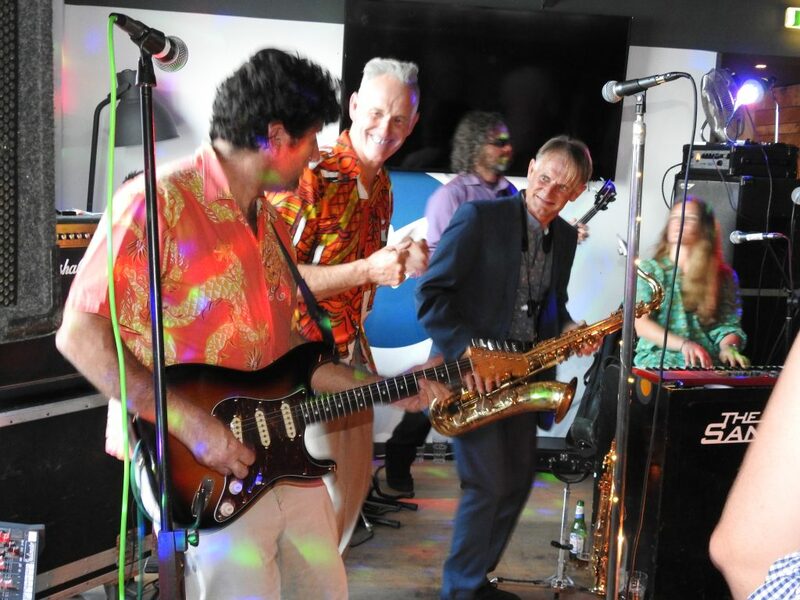 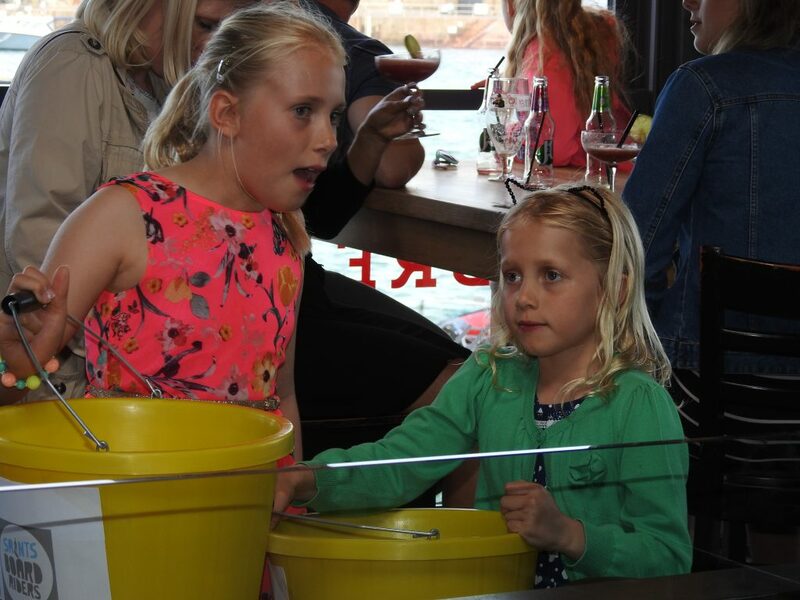 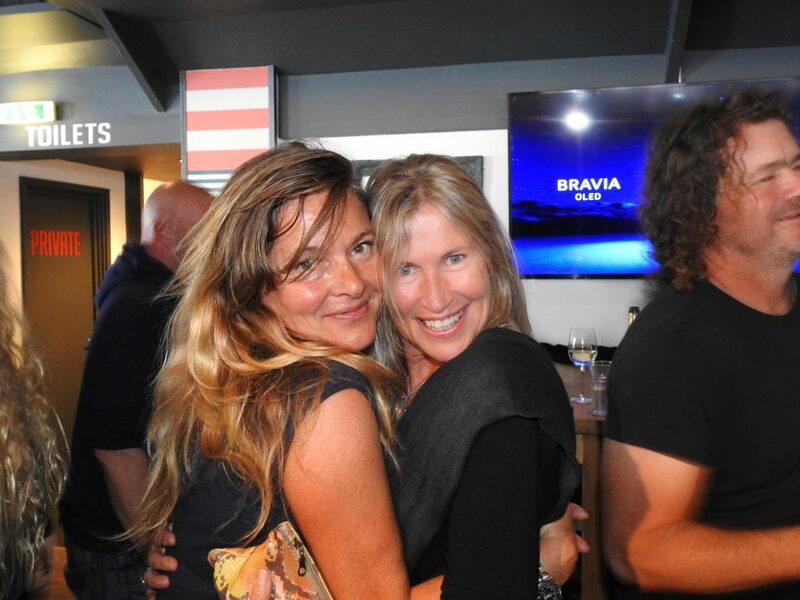 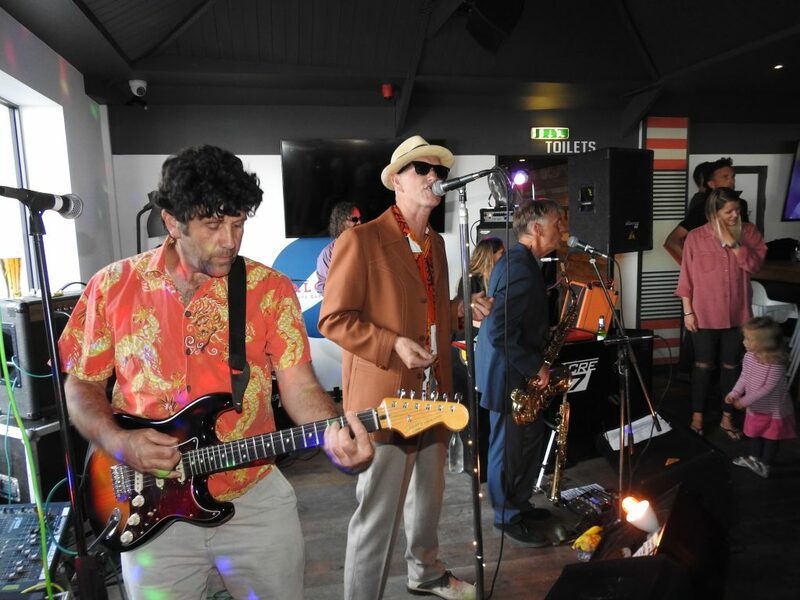 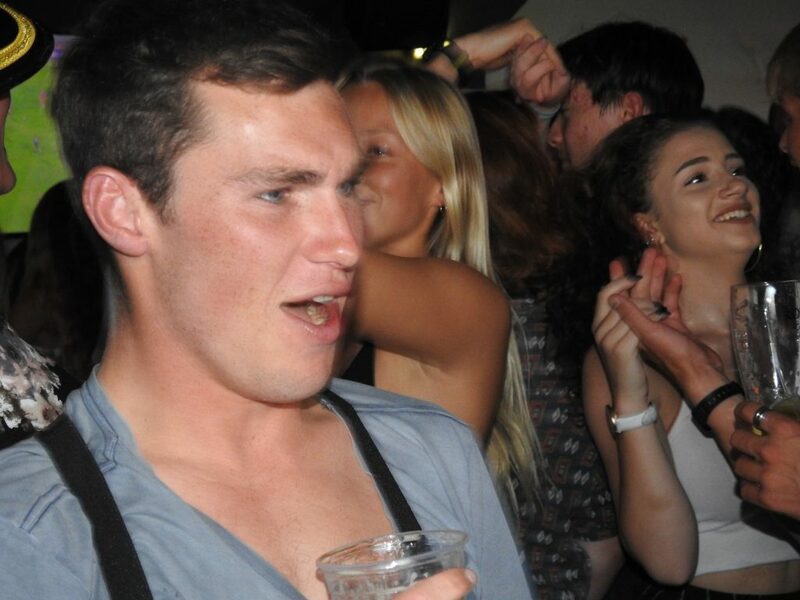 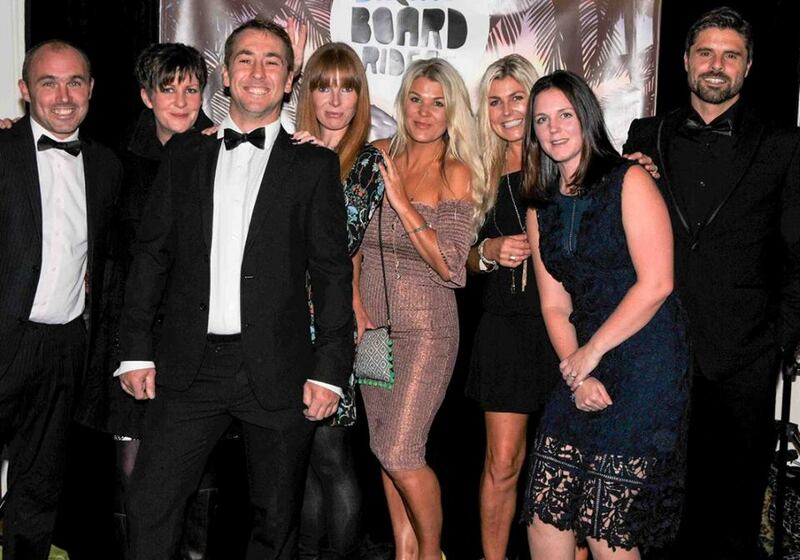 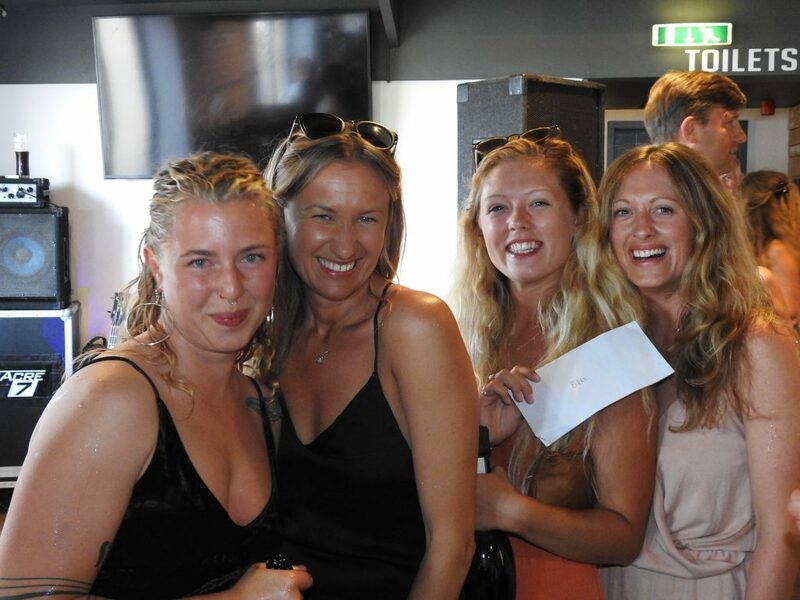 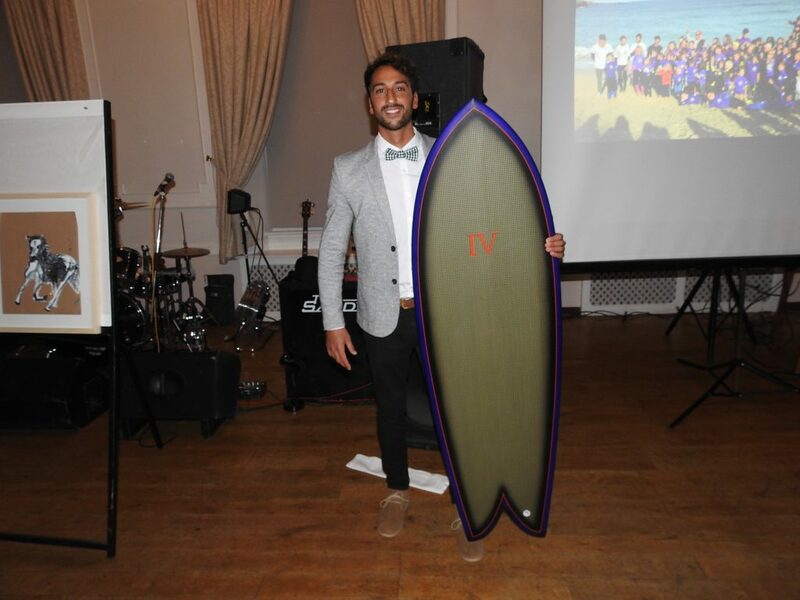 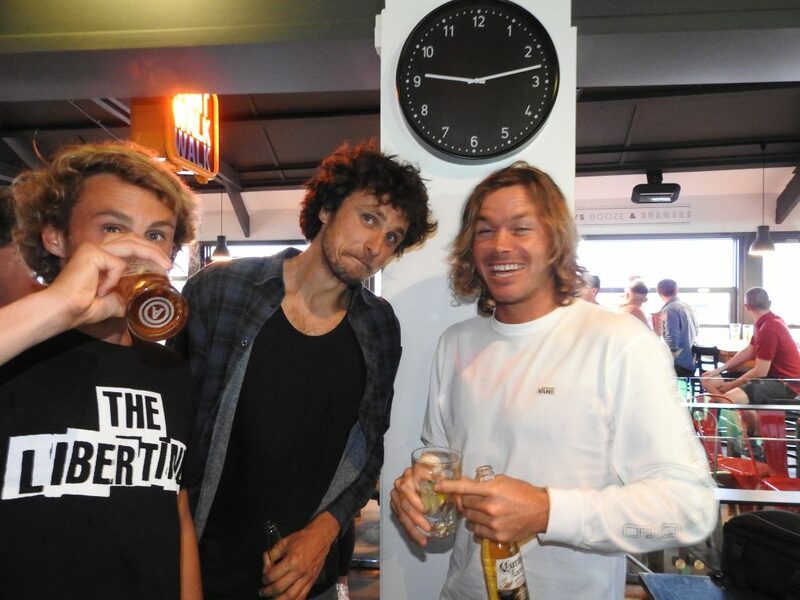 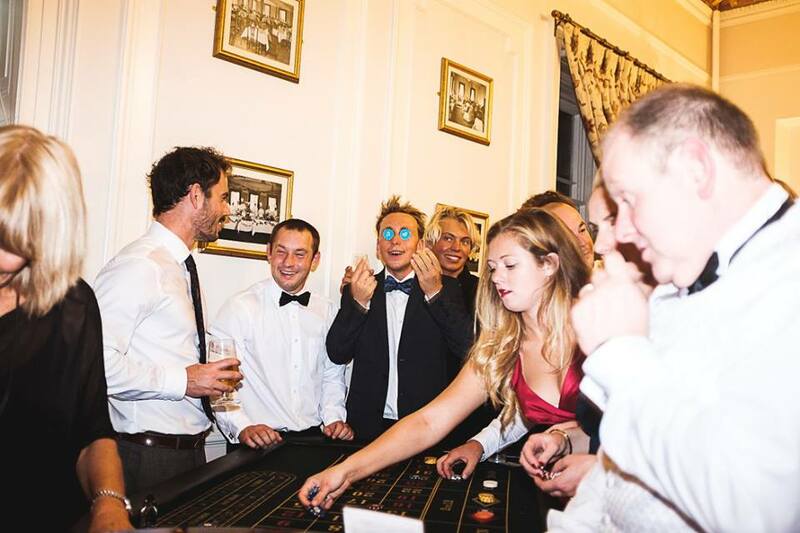 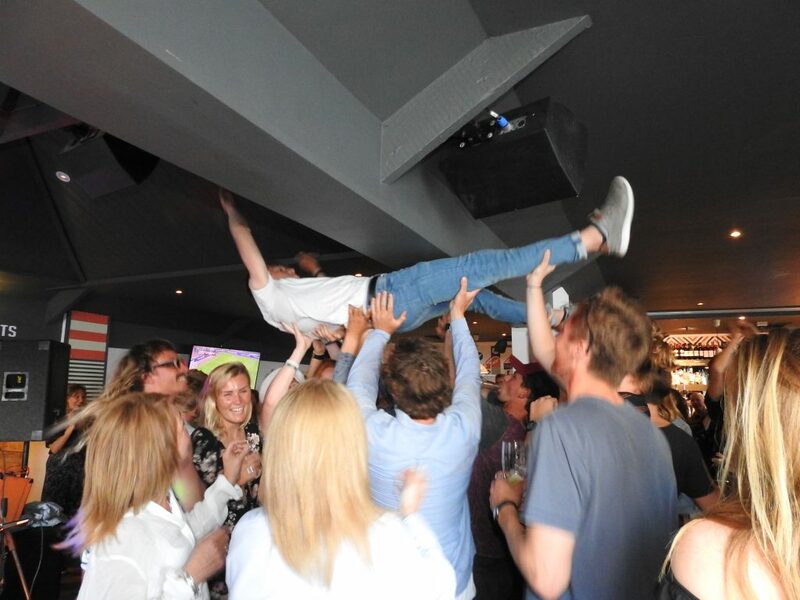 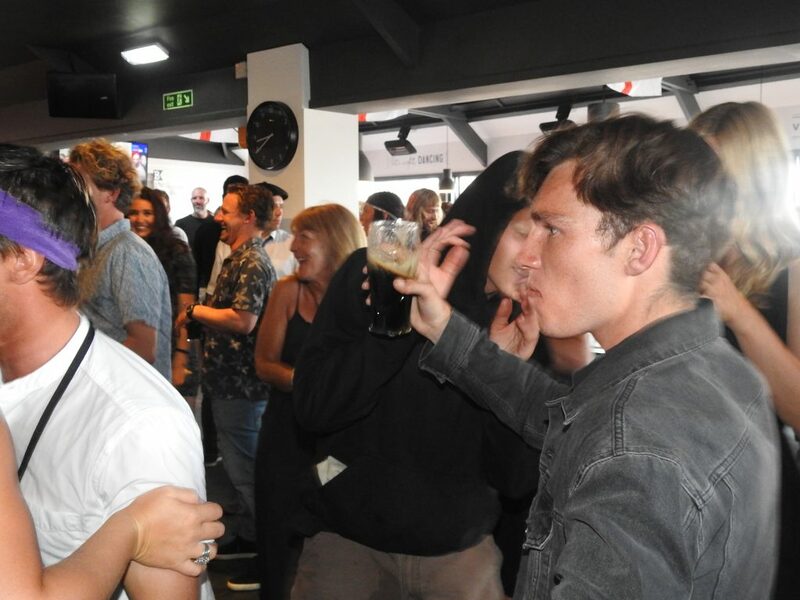 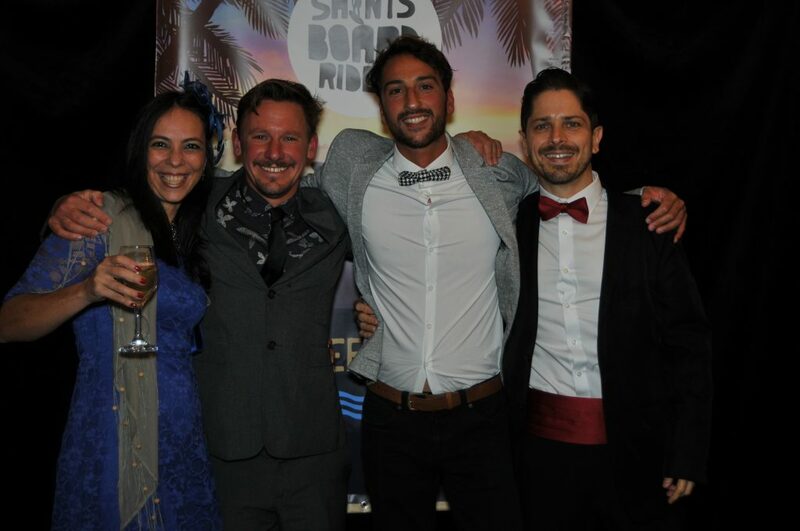 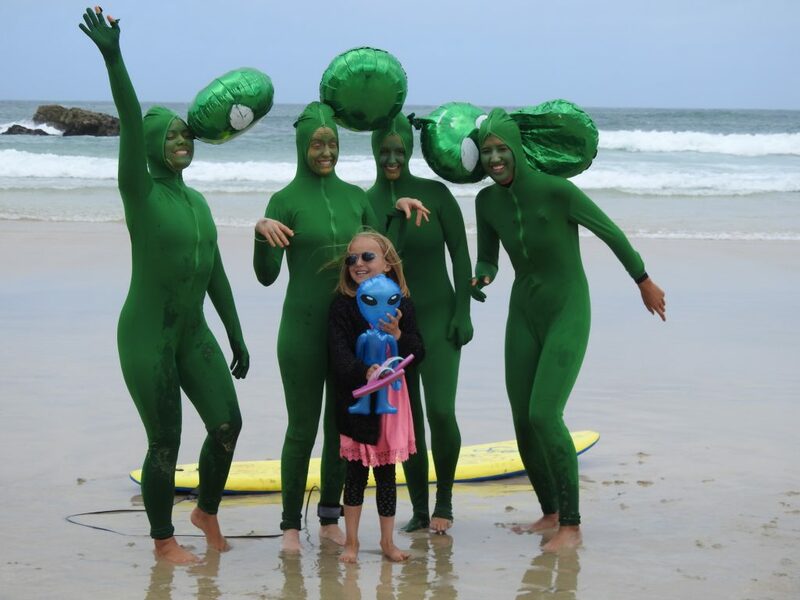 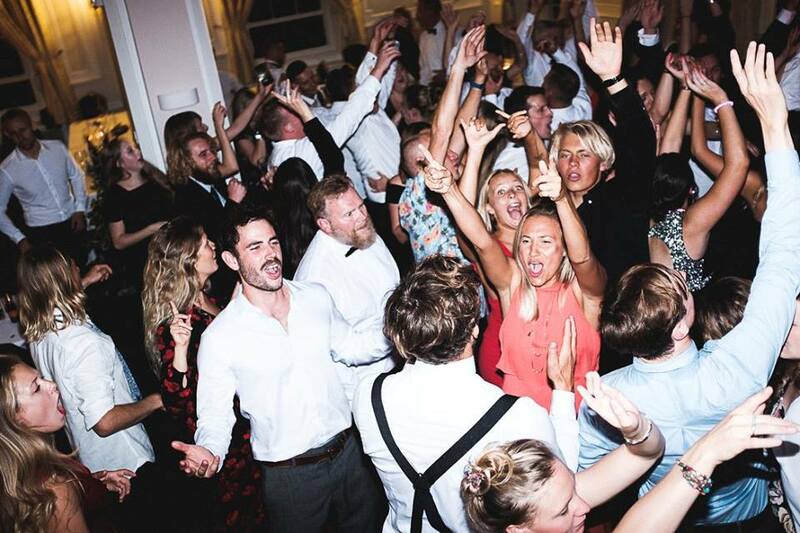 There are many more photos from the Surfers Ball on our saints boardriders Facebook page. 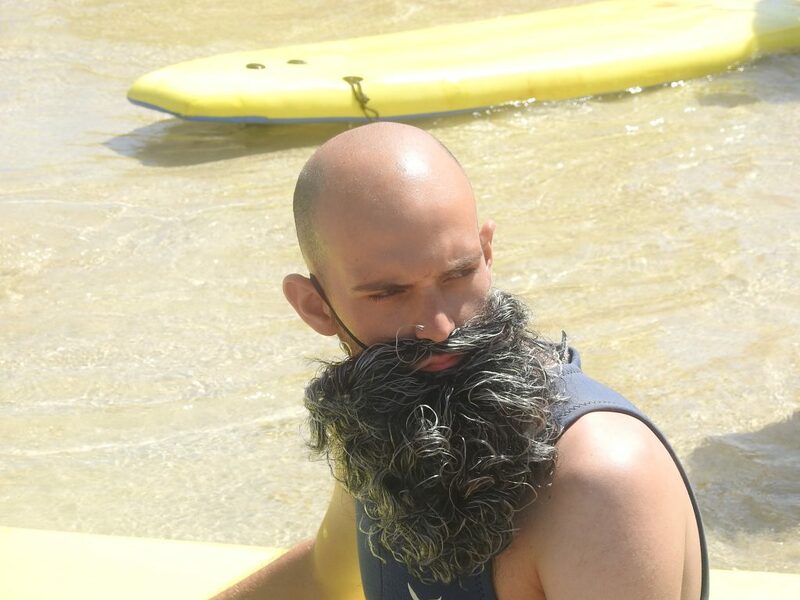 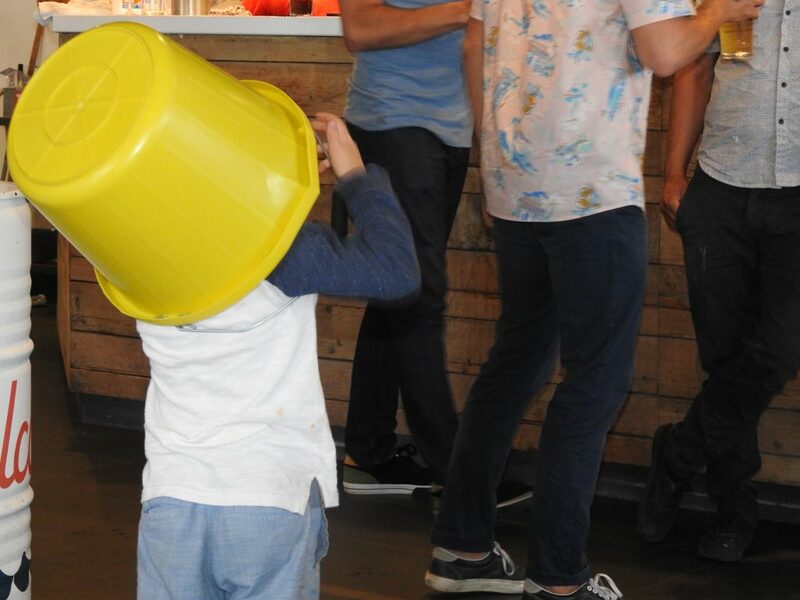 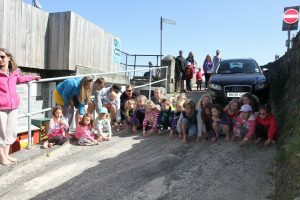 Take a look if you can’t see yourself in this blog! 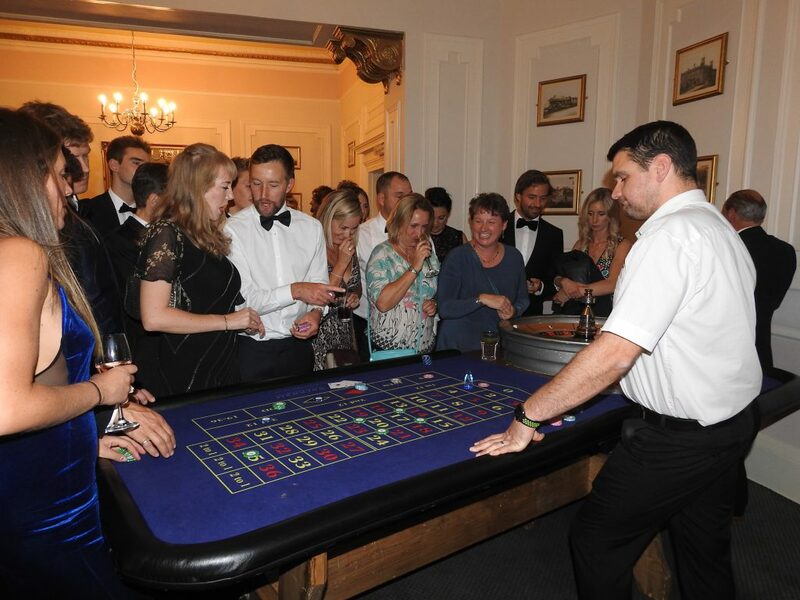 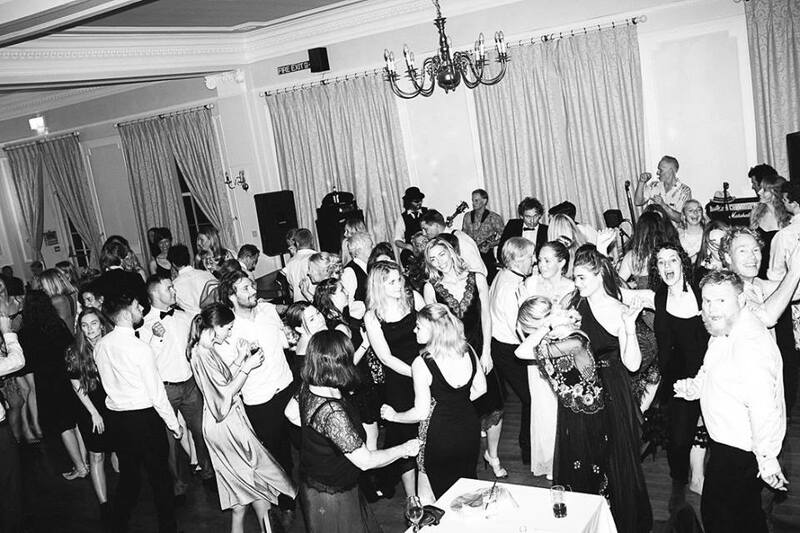 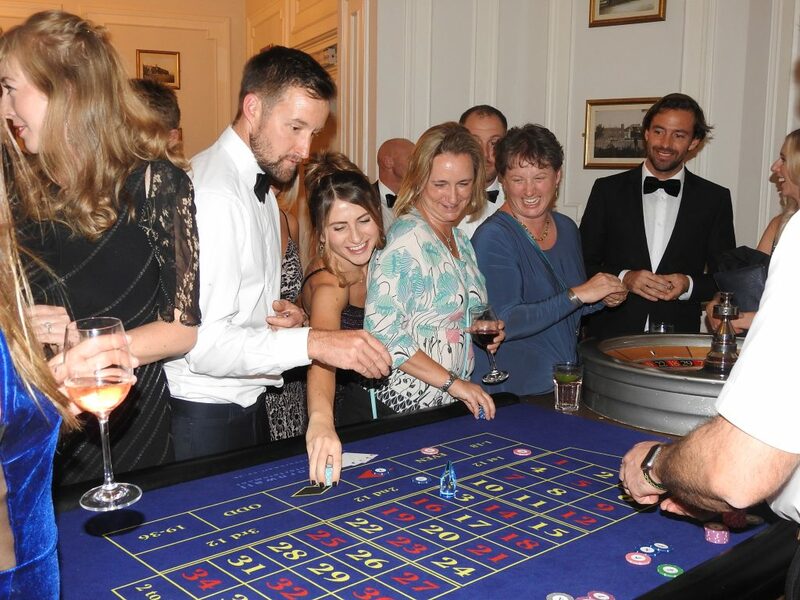 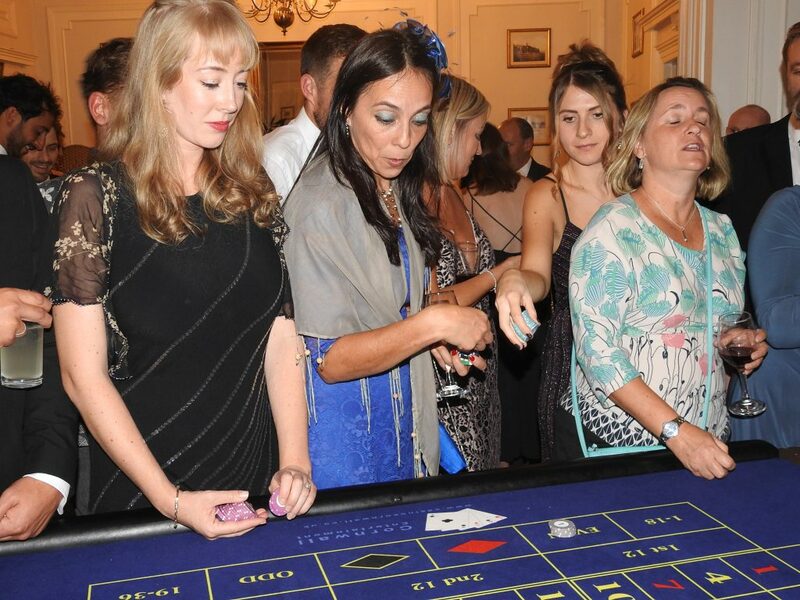 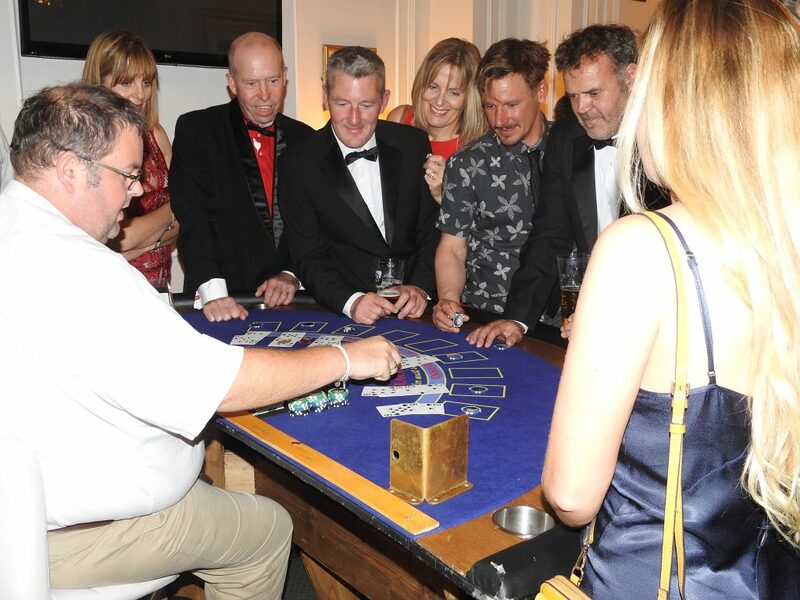 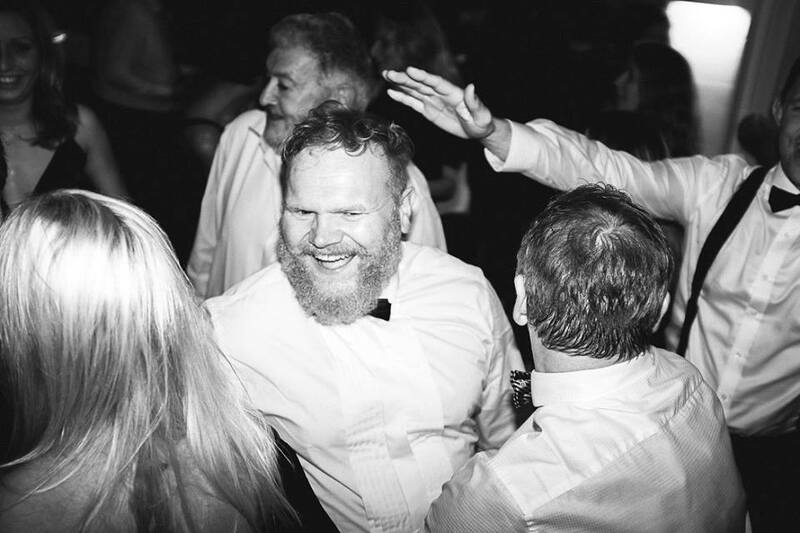 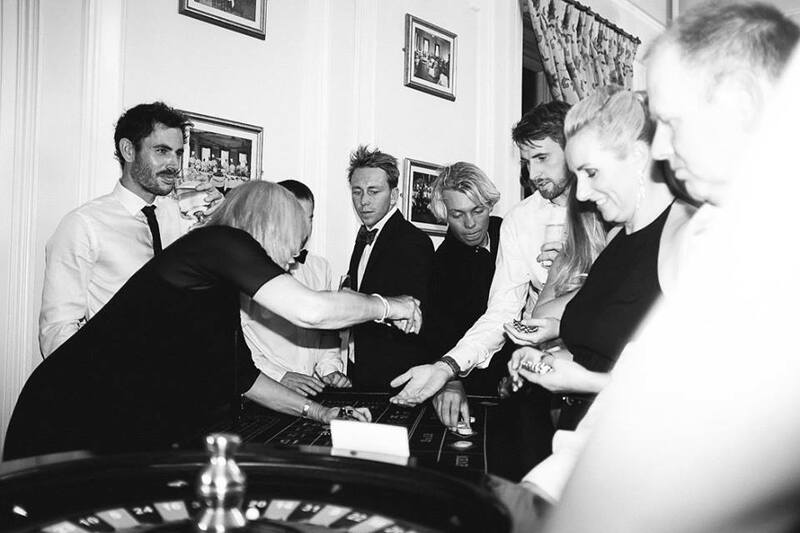 And we end by offering our deepest gratitude to Tregenna Castle for hosting the evening, to our casino ladies, to Tom Quirke and Ross Williams, and to Sandy Acres Seven for the music. 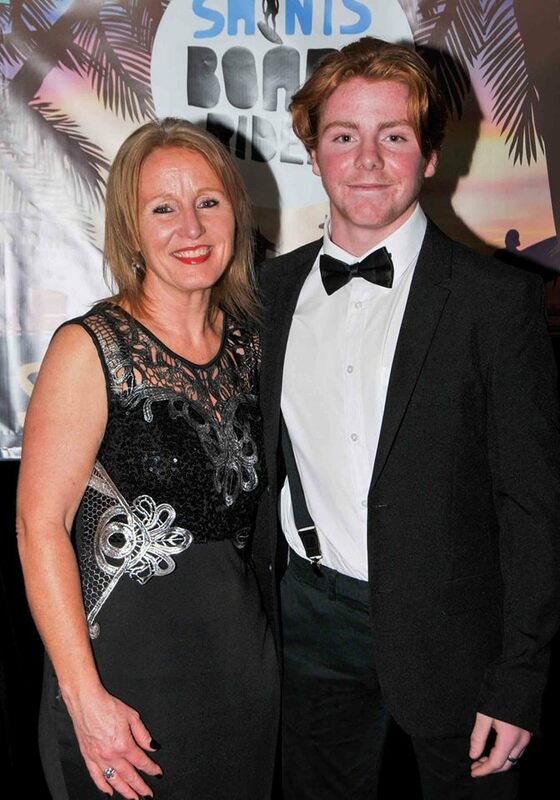 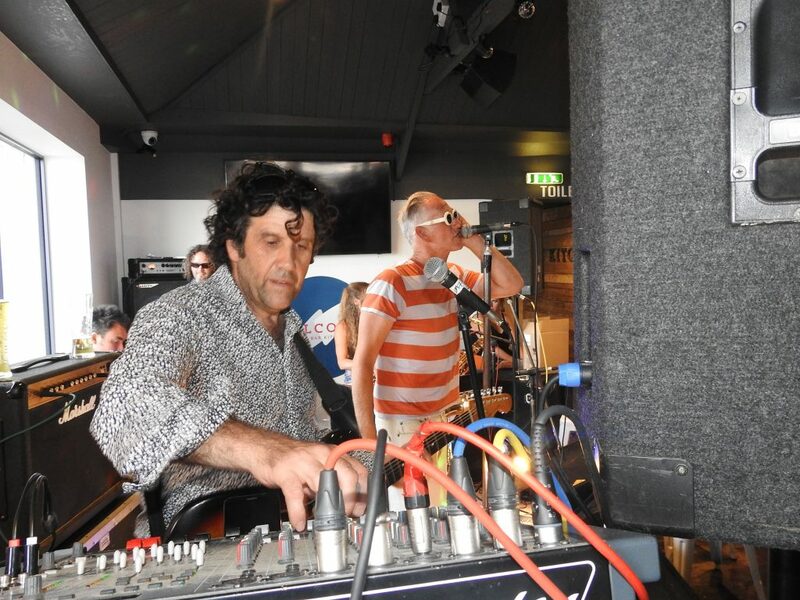 Thanks to Andre Otto for the red carpet photos and to Gavan Goulder and Matty Snelling for the reportage pics. 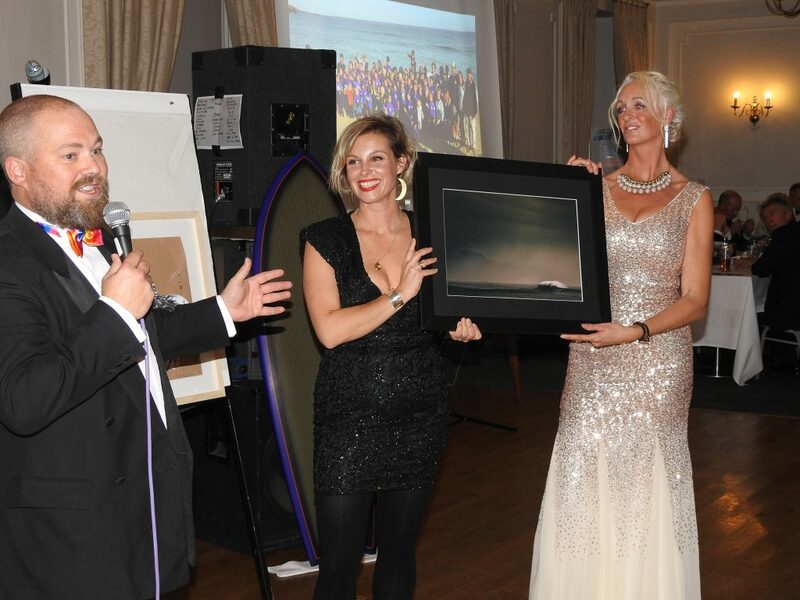 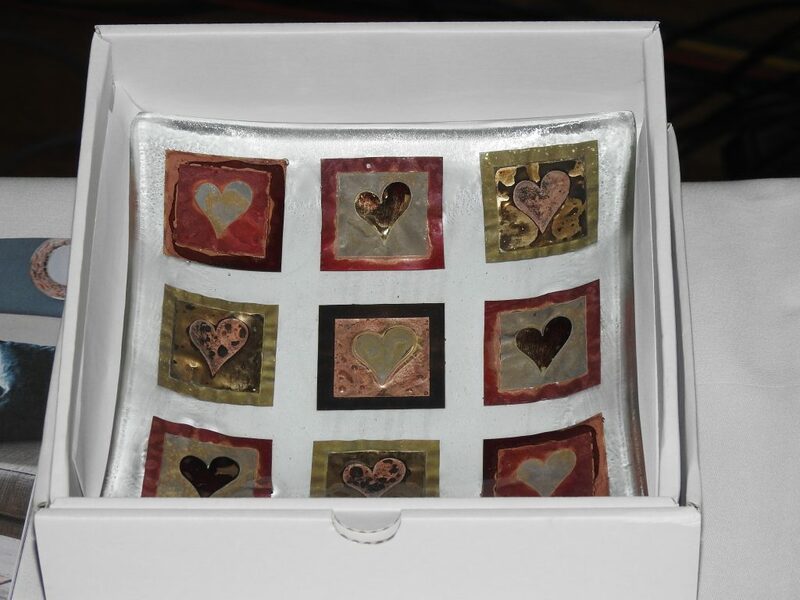 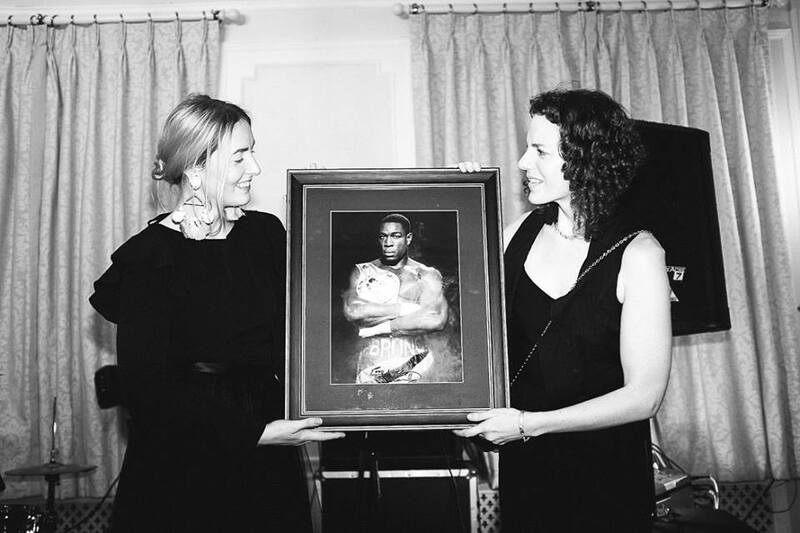 Many thanks also to Robin Turner, auctioneer and to our generous benefactors who donated the auction lots. 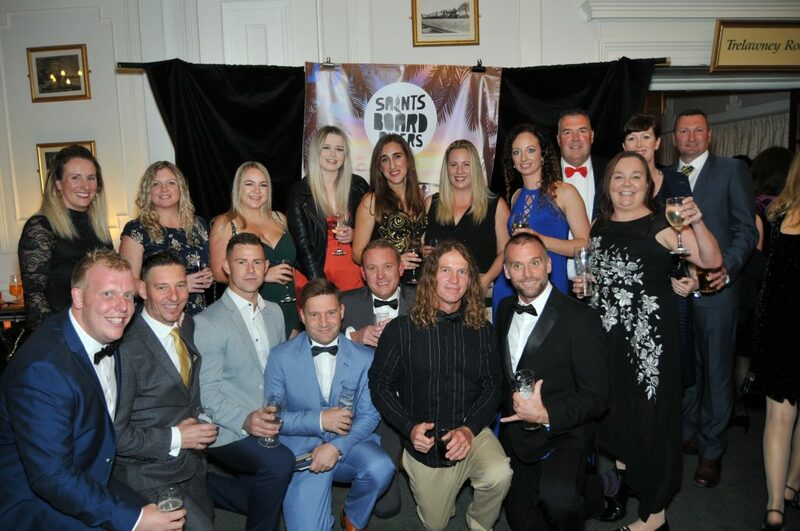 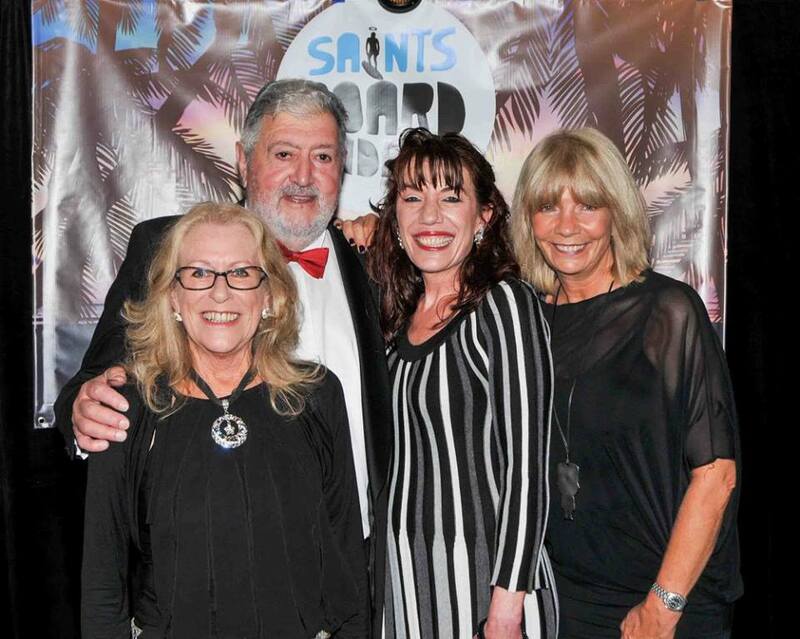 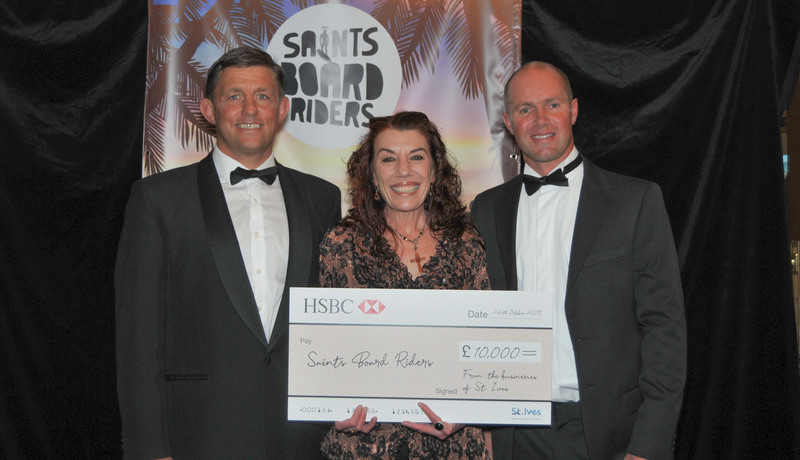 And finally, thank you to all those who were there on the night to support saints boardriders and help us realise our goal. 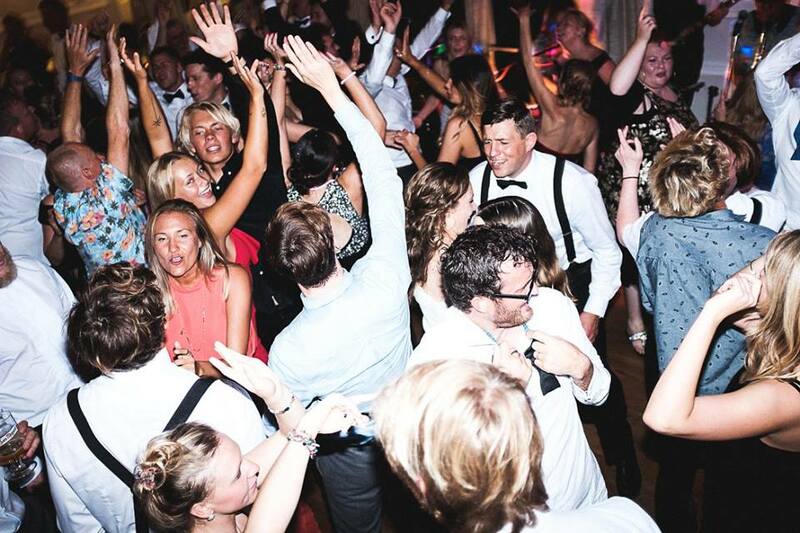 We hope you enjoyed the night as much as we did – and if that’s the case then why don’t we do it again next year? 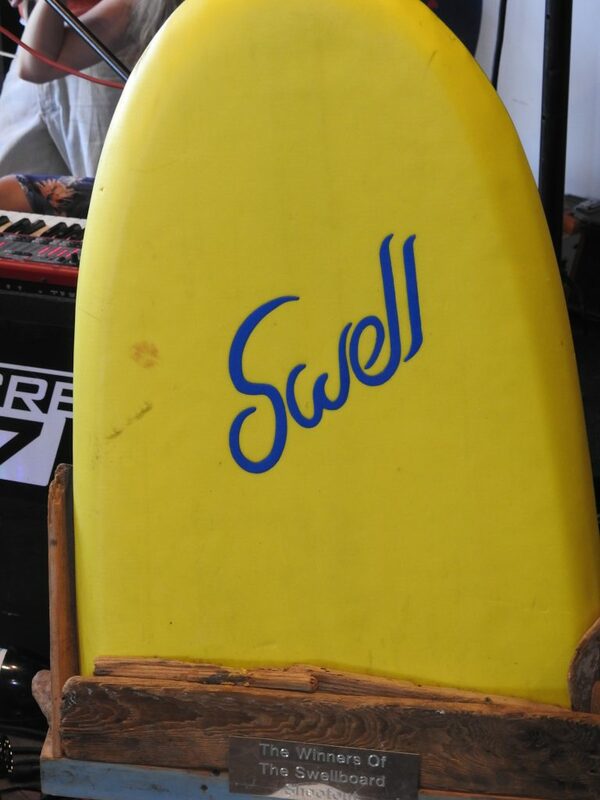 Swellboard Shootout 2017 part 2. 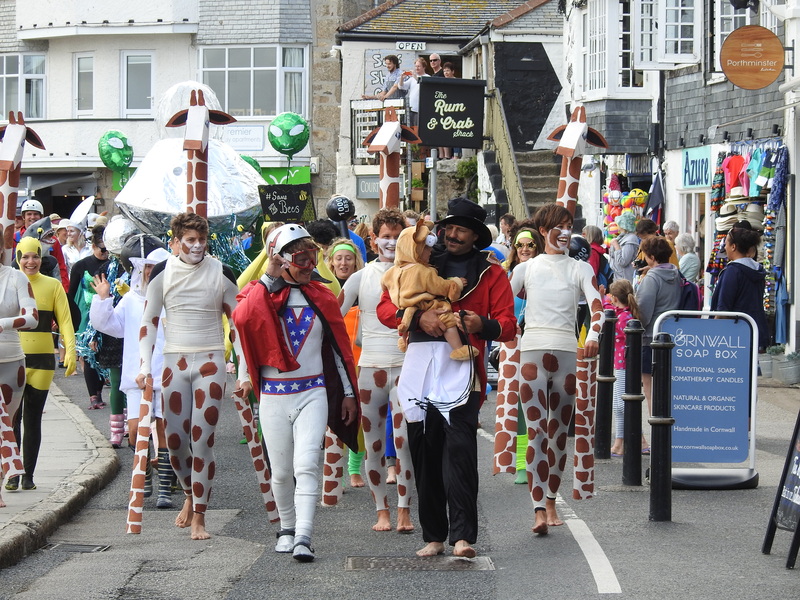 The Parade. 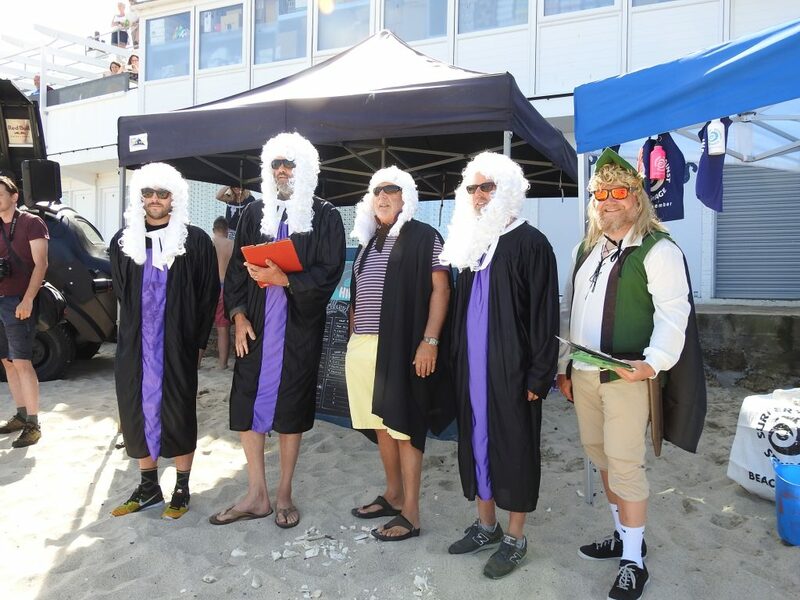 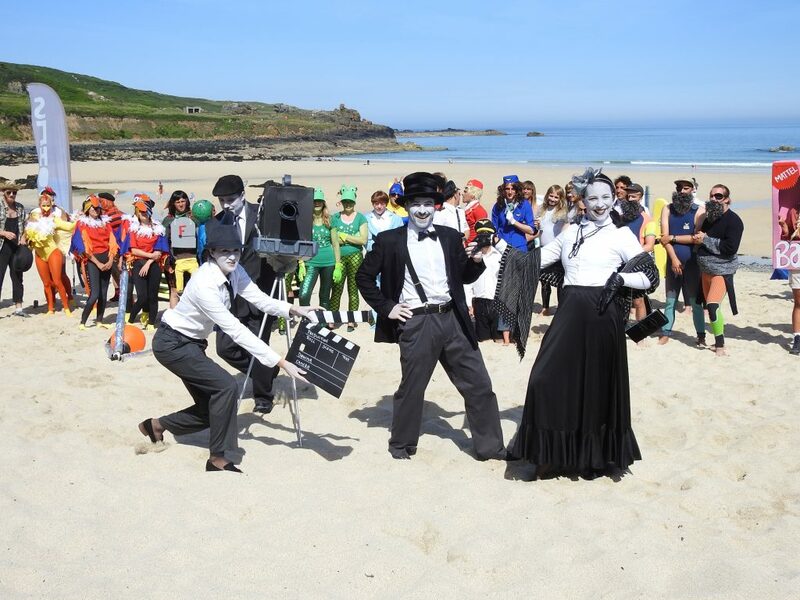 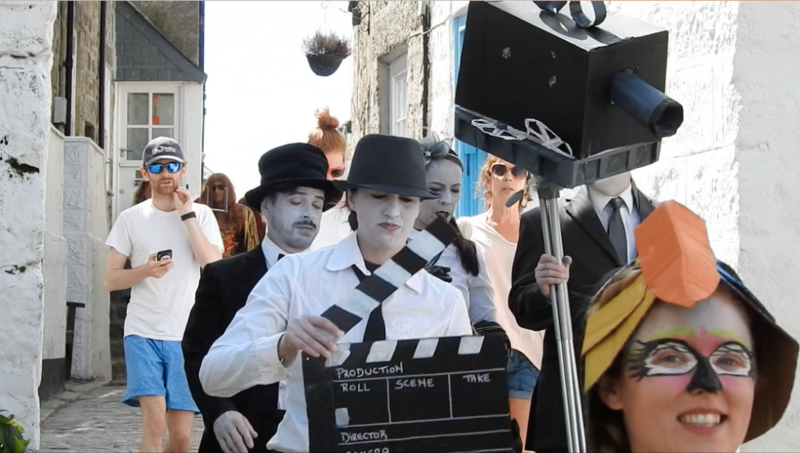 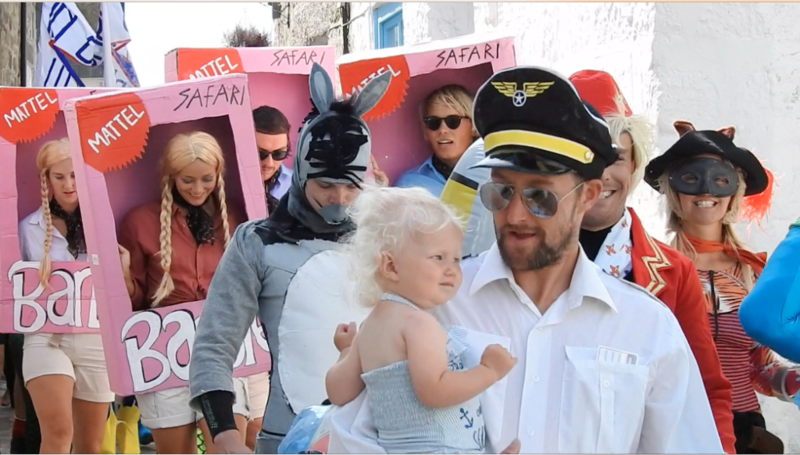 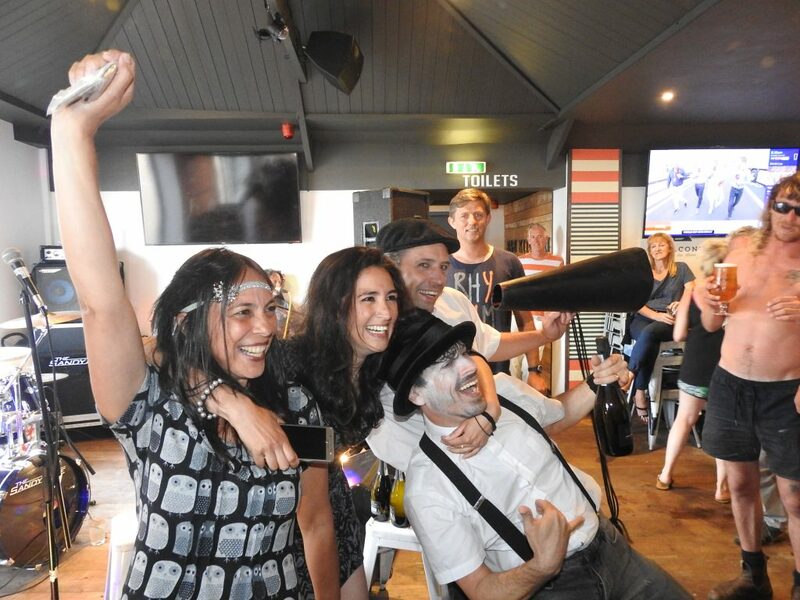 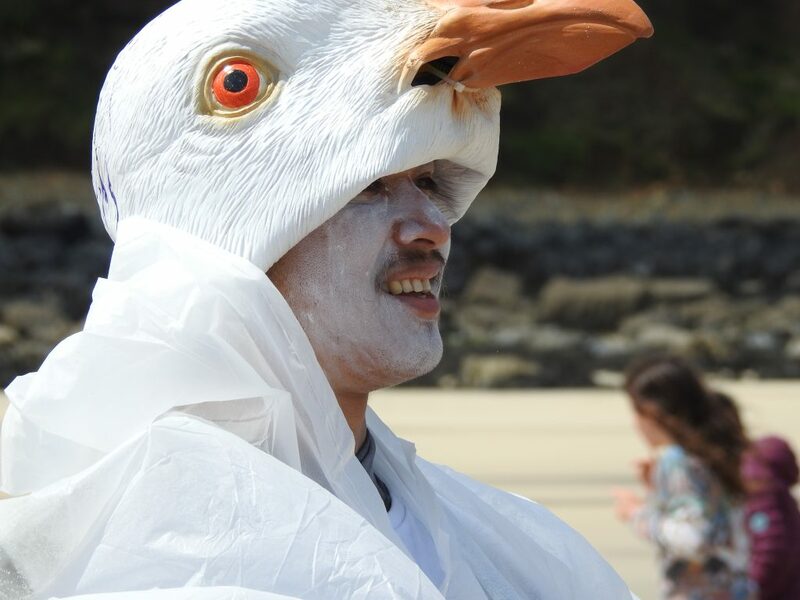 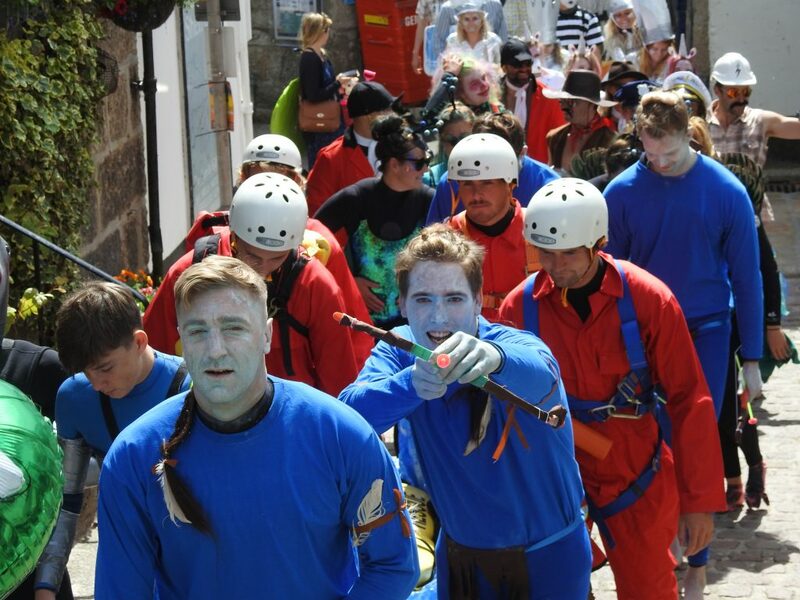 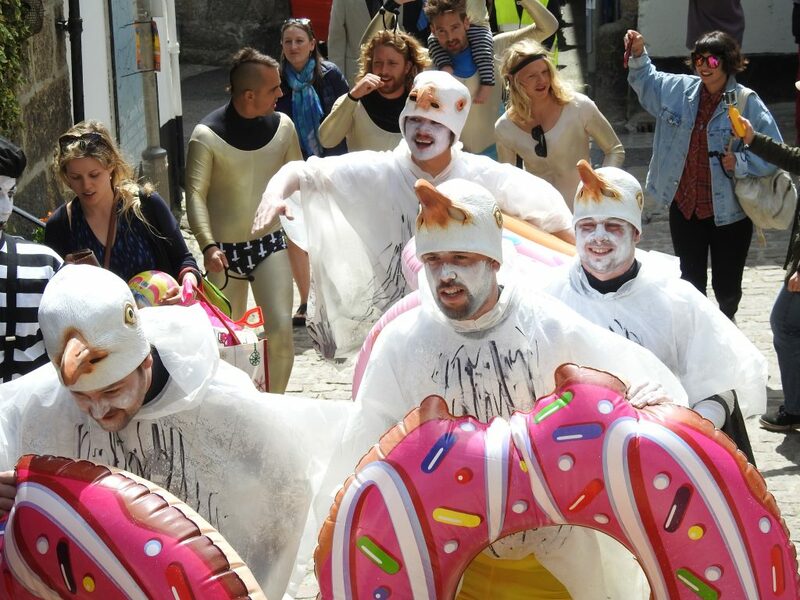 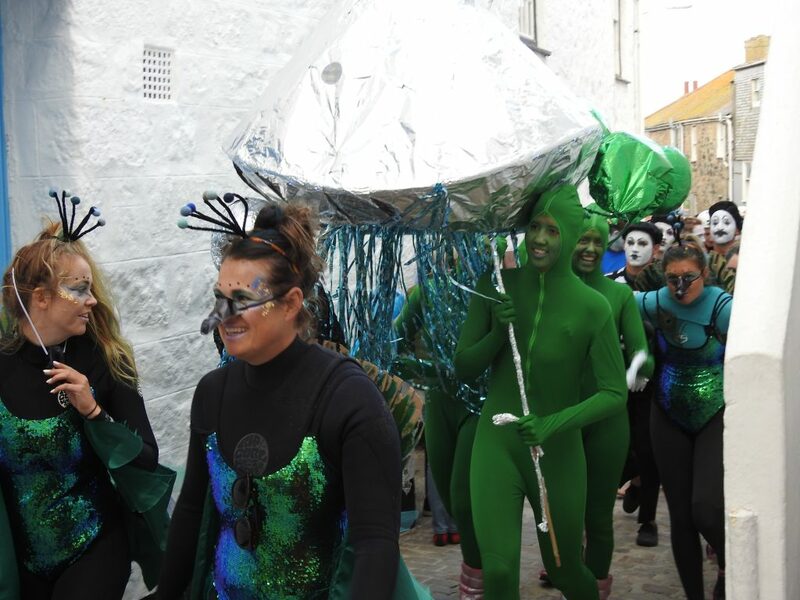 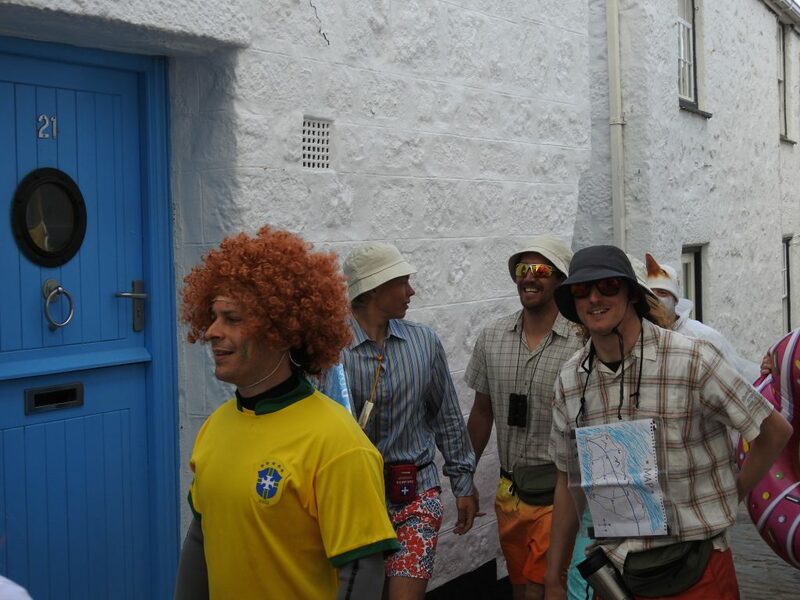 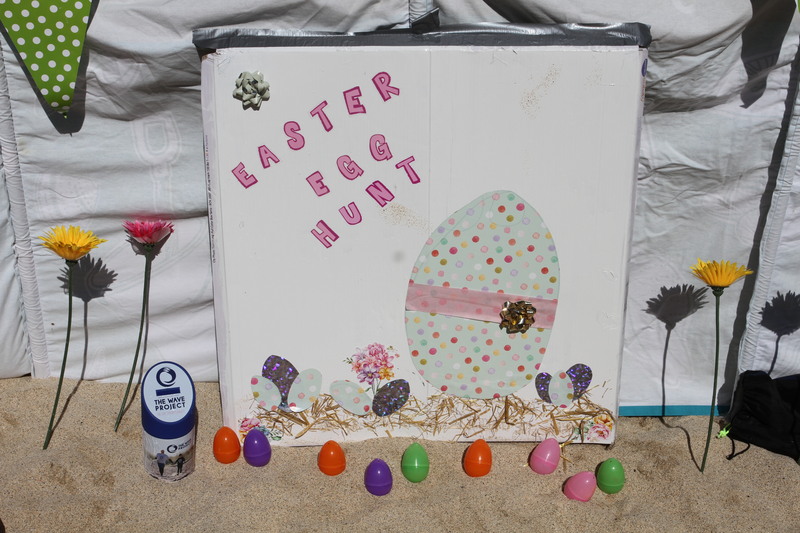 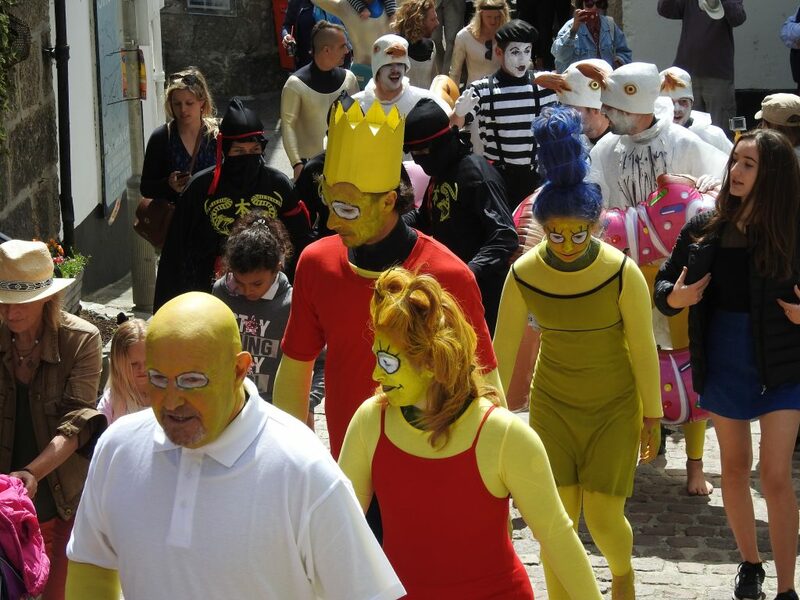 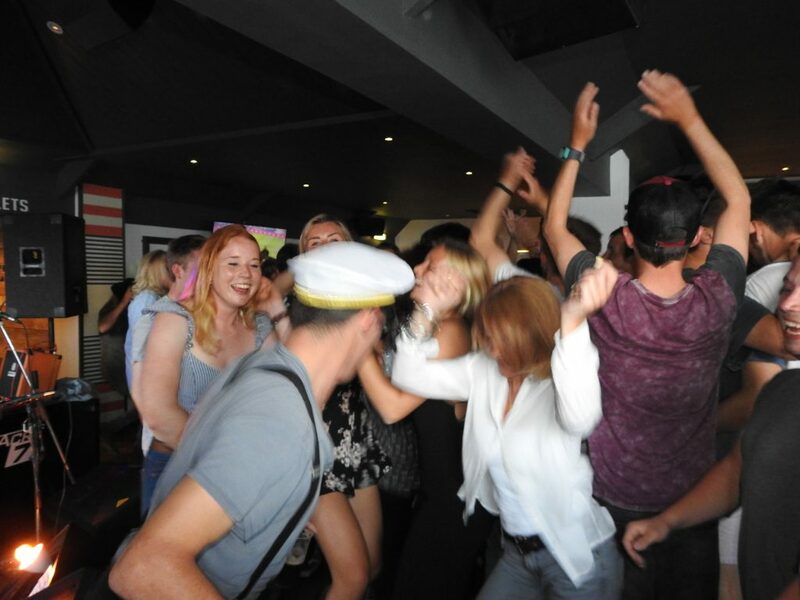 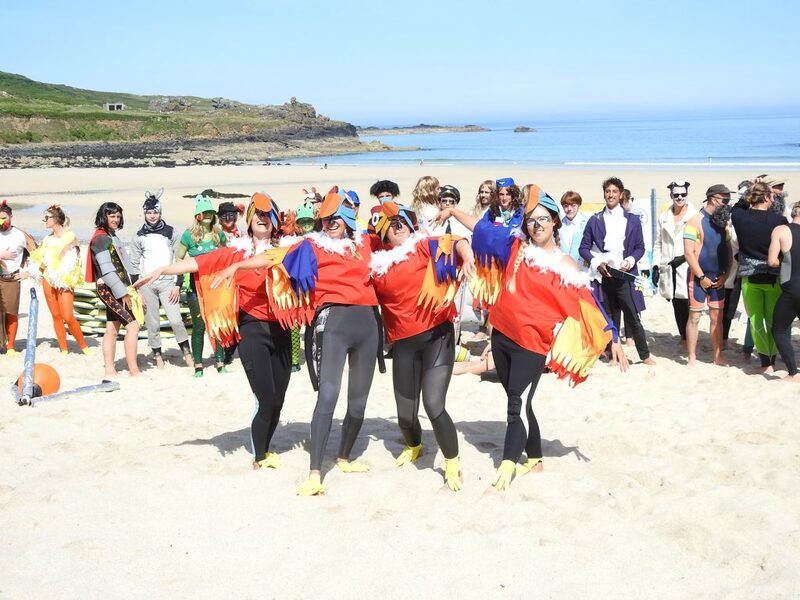 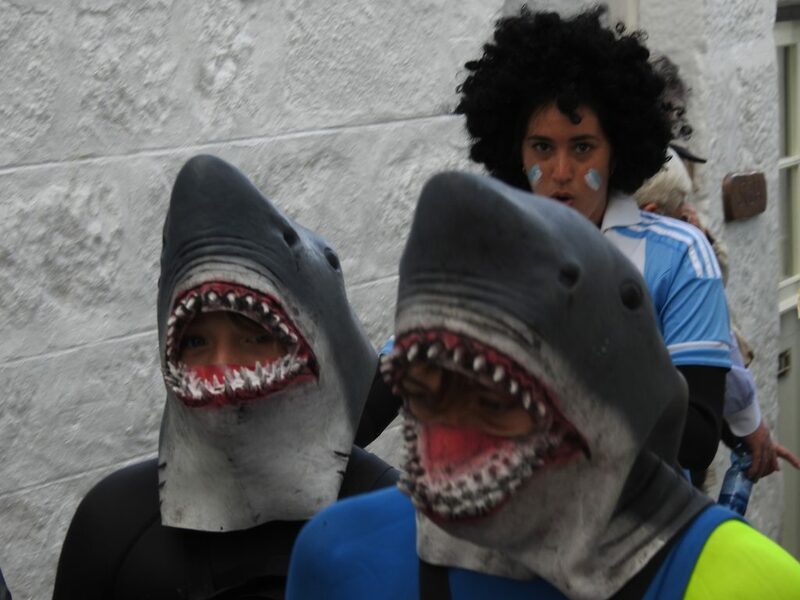 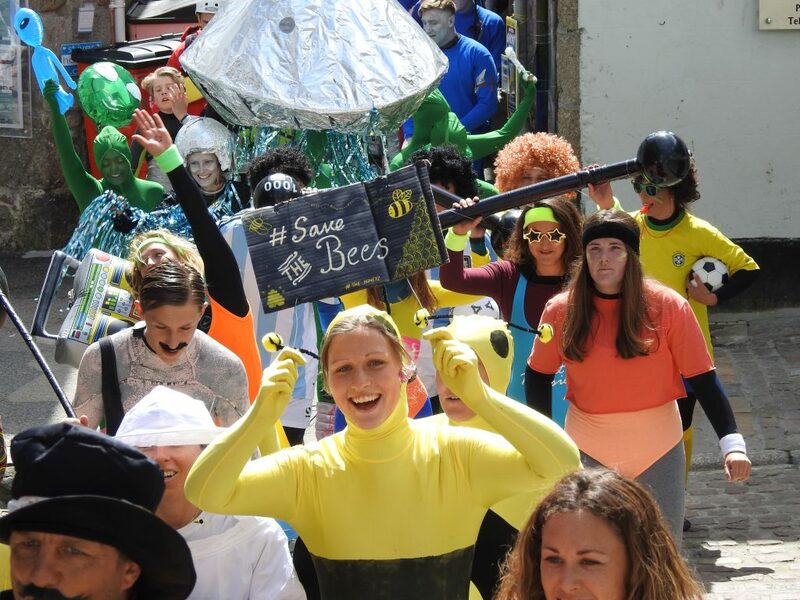 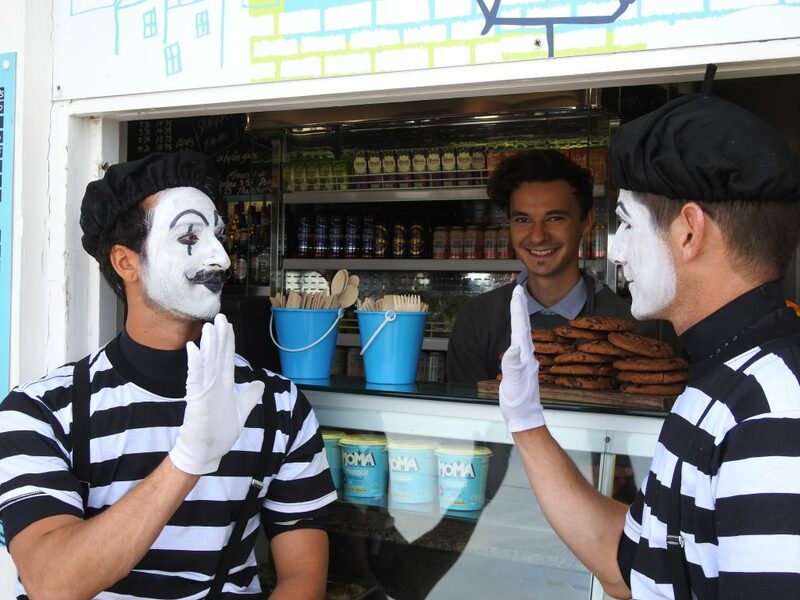 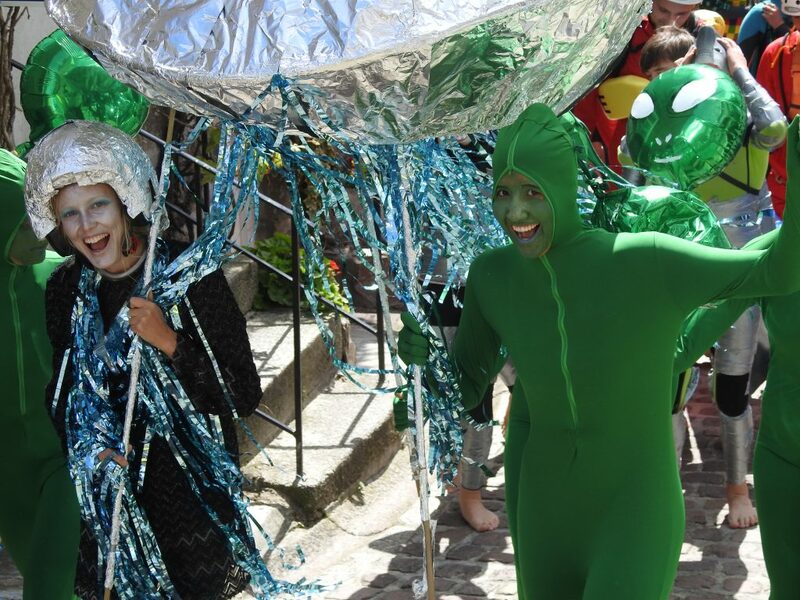 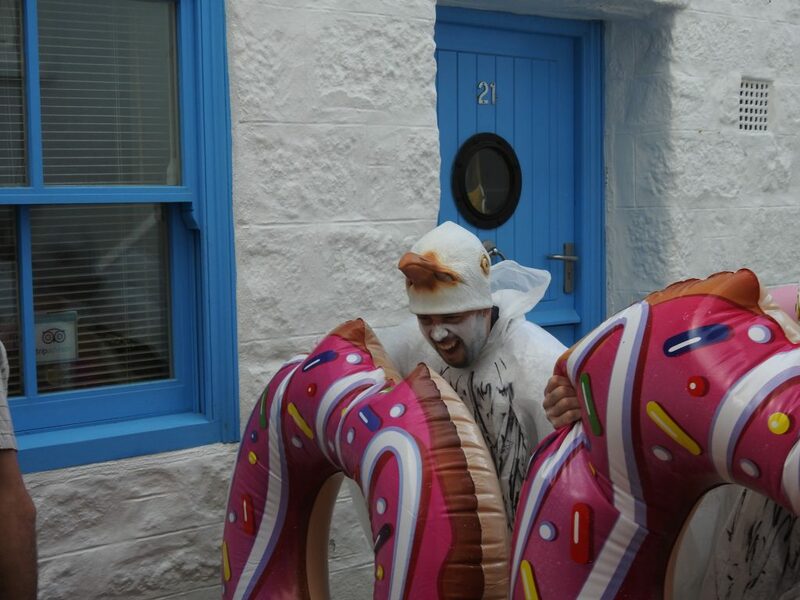 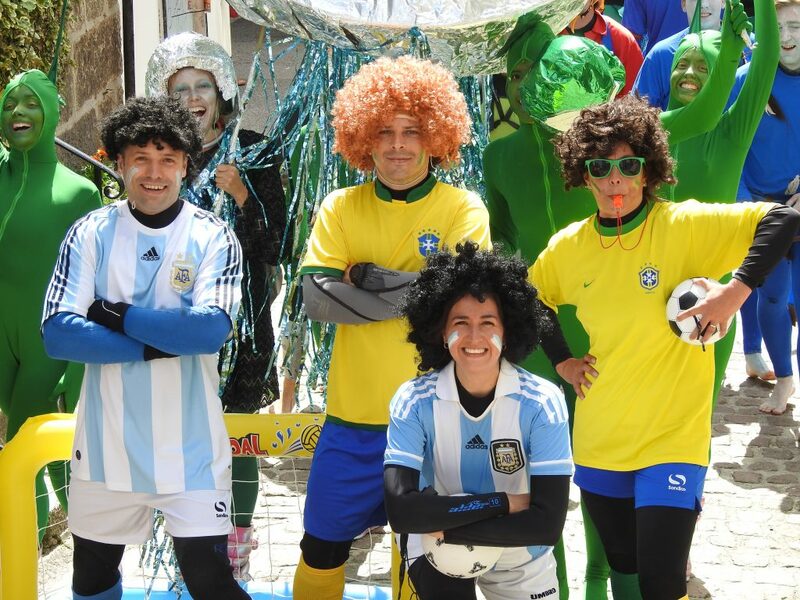 Once the teams have been shown to the judges, and their scores for costume evaluated, there is a grand parade from the beach, through the town and back via Fore Street, the lifeboat station, the Wharf and Bunkers Hill. 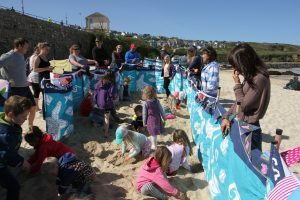 This invariably picks up a crowd of curious onlookers to swell the numbers on the beach at Porthmeor to watch the event. 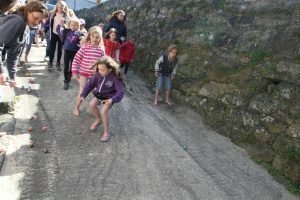 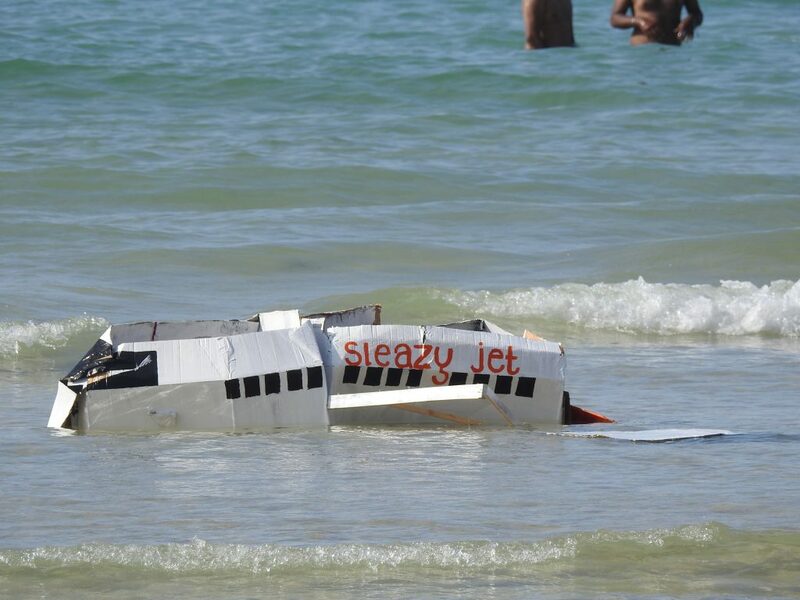 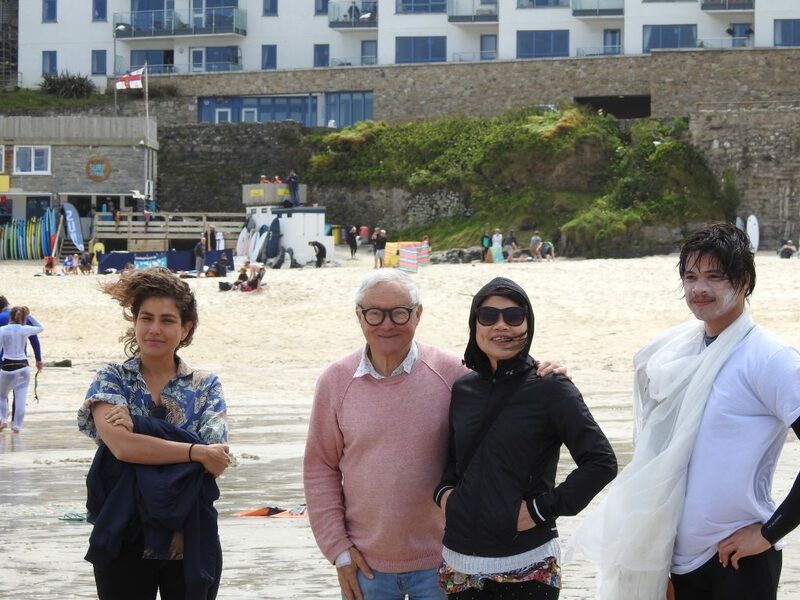 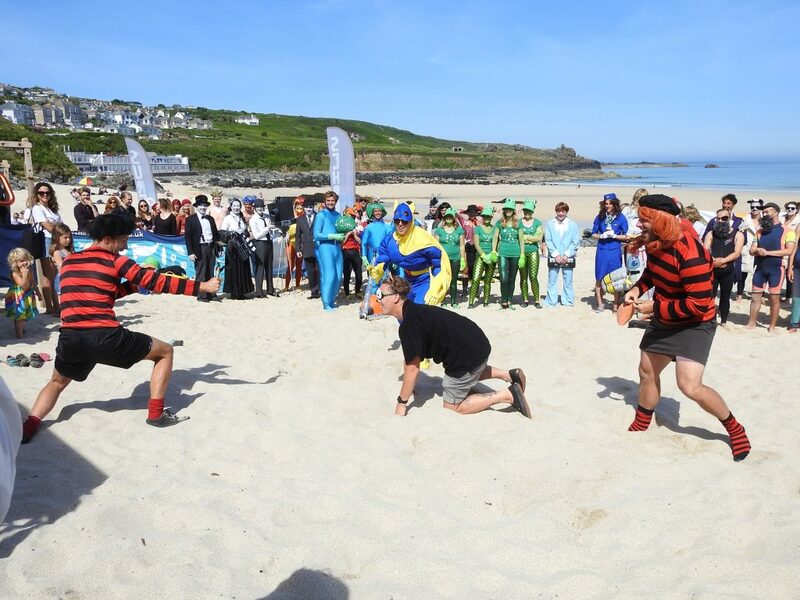 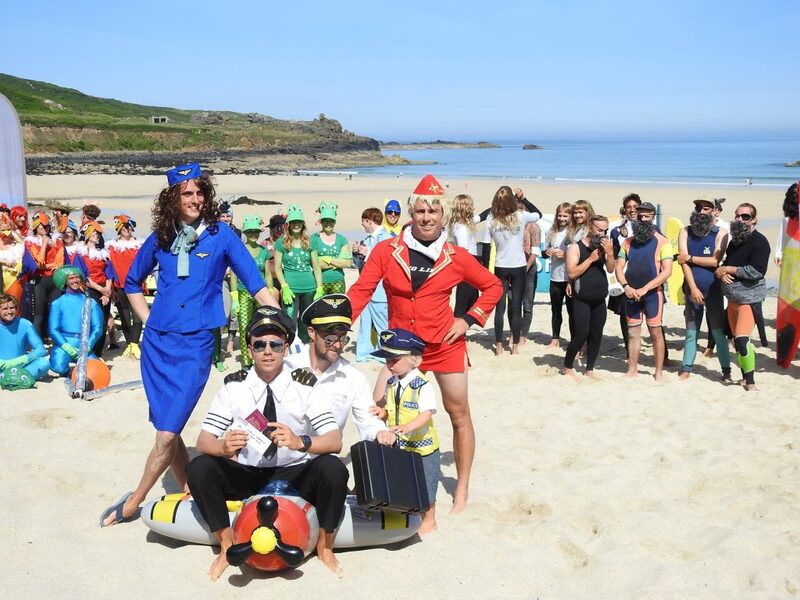 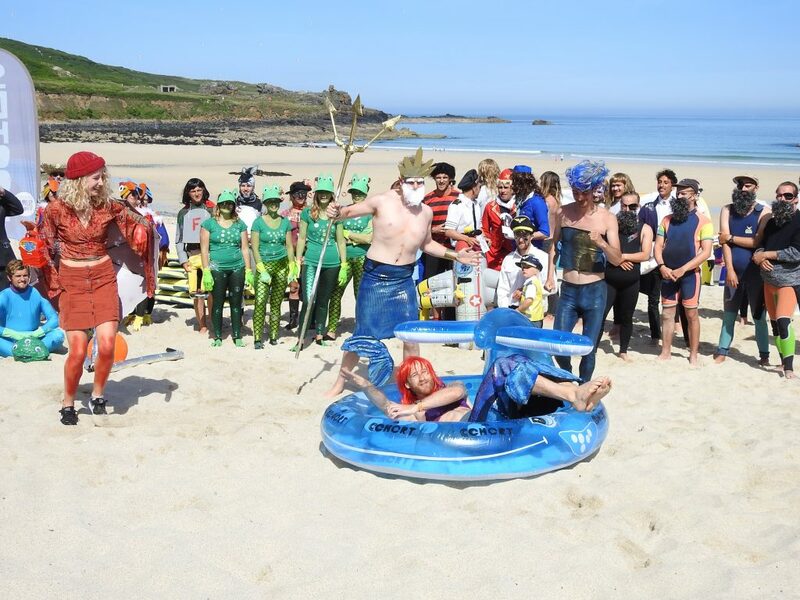 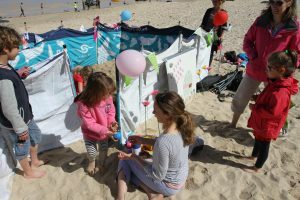 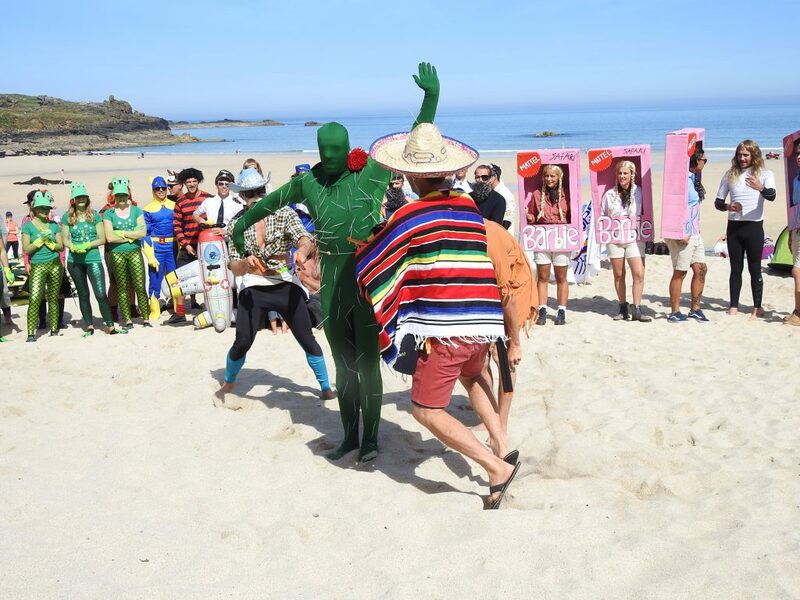 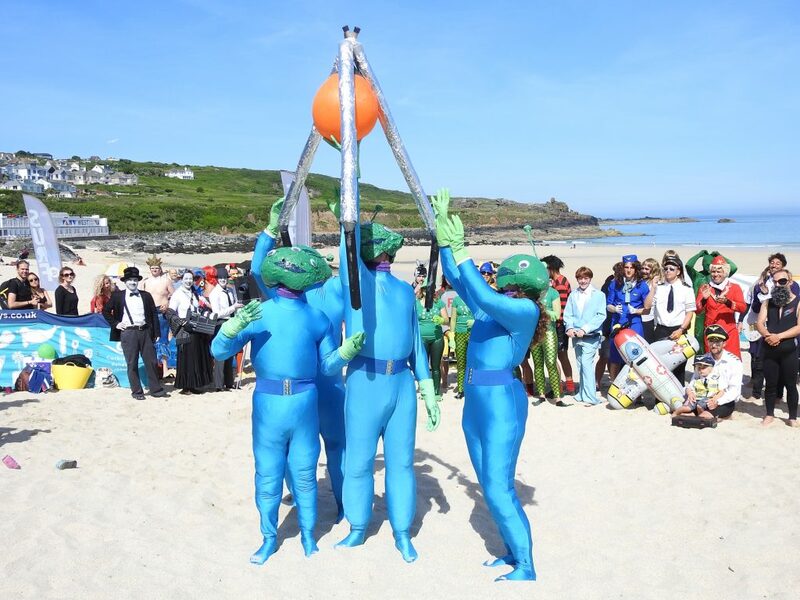 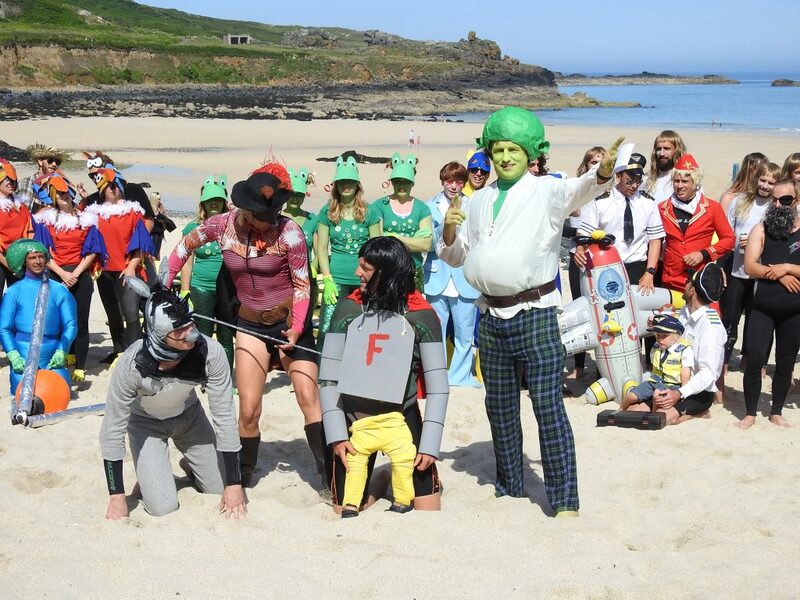 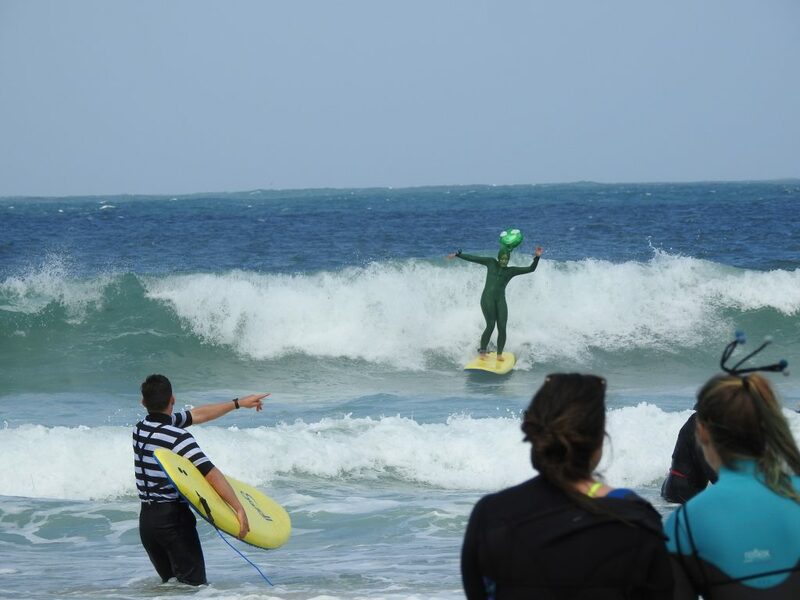 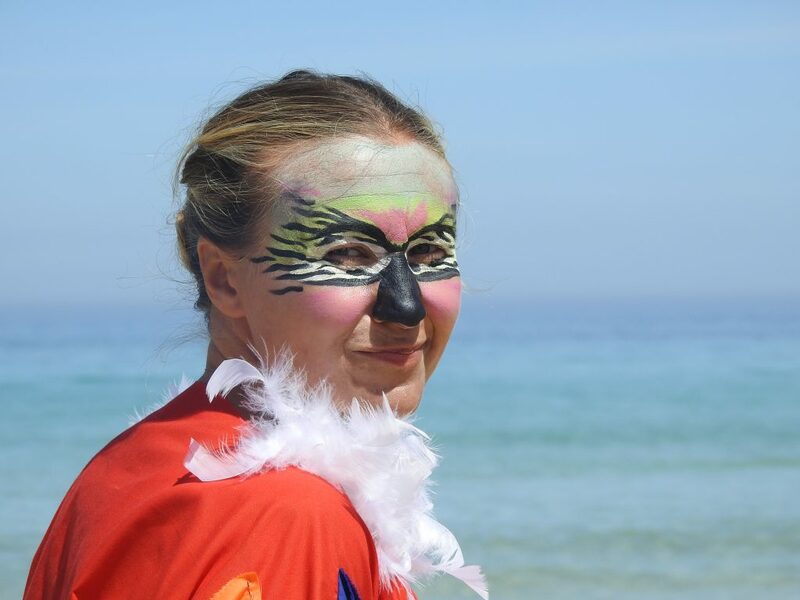 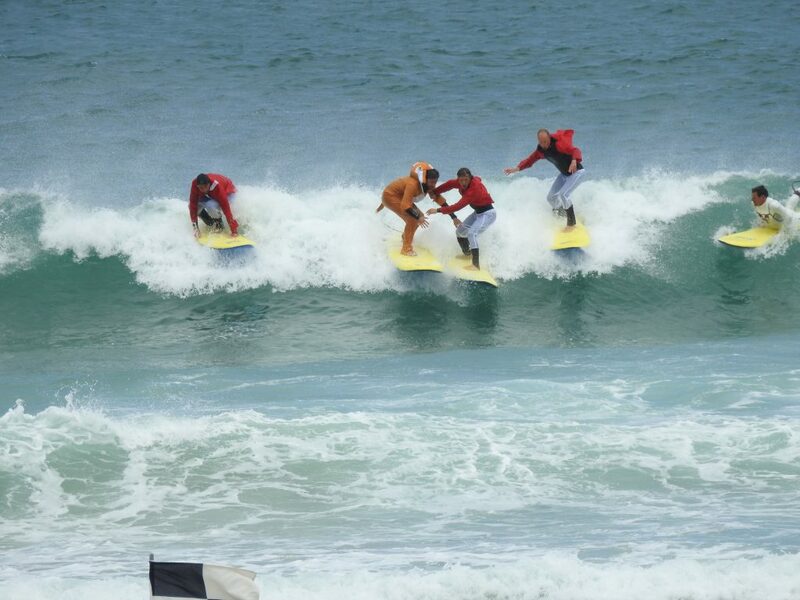 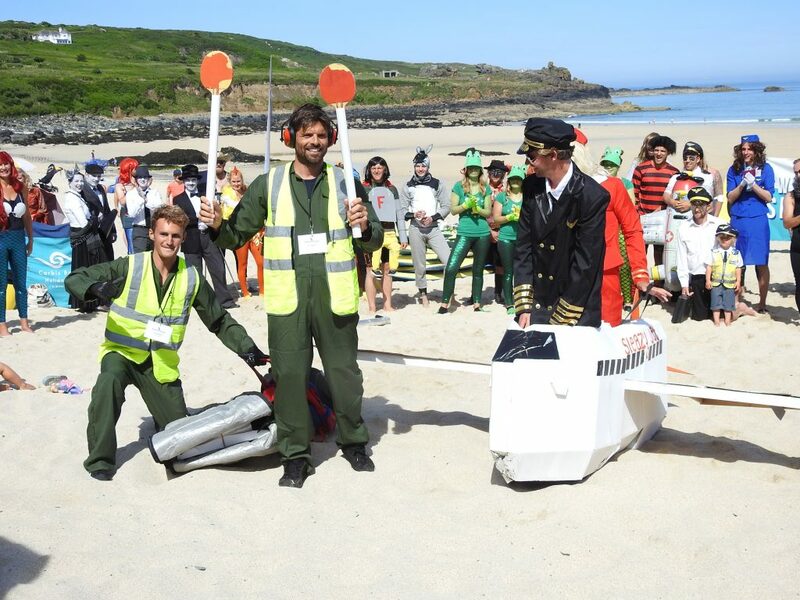 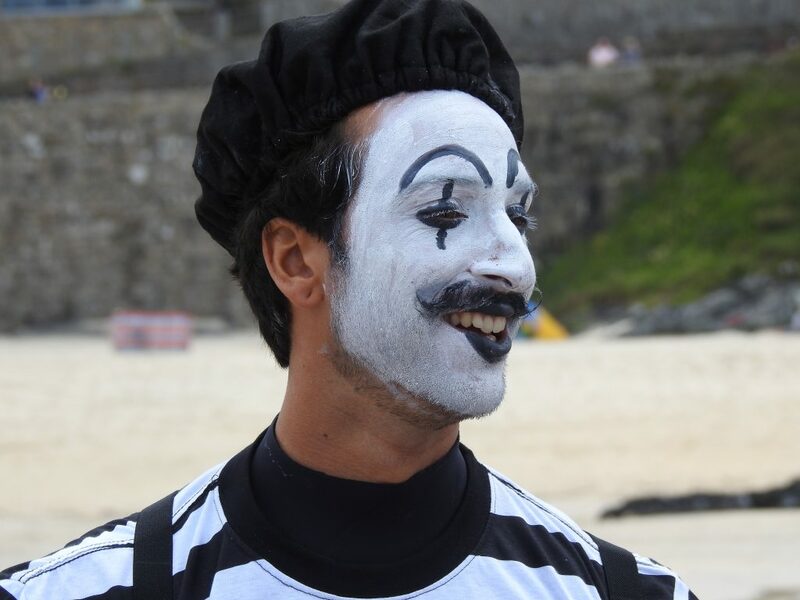 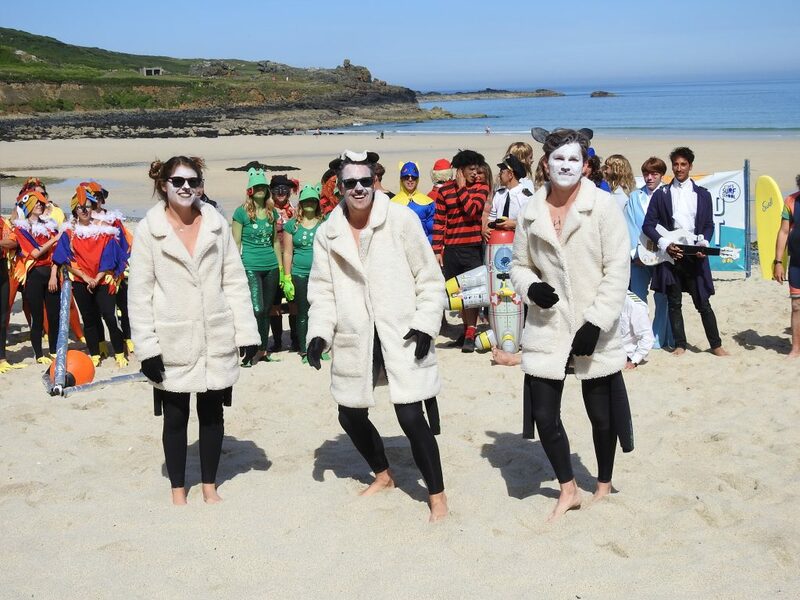 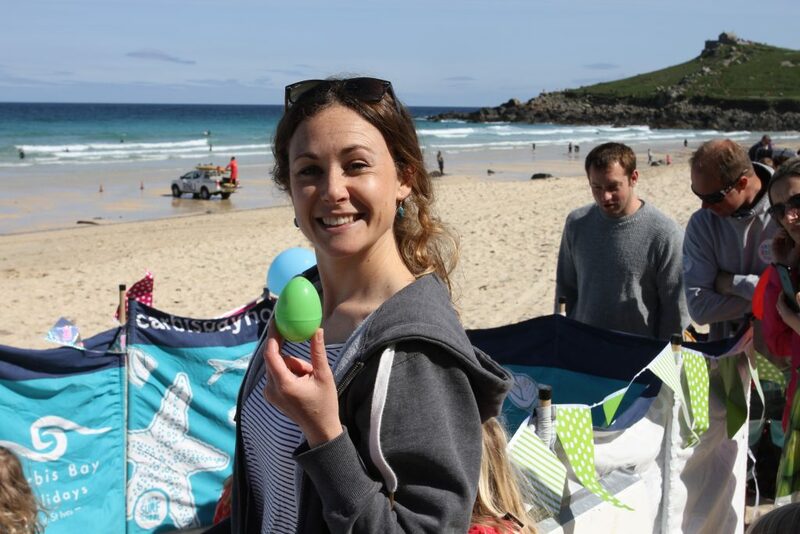 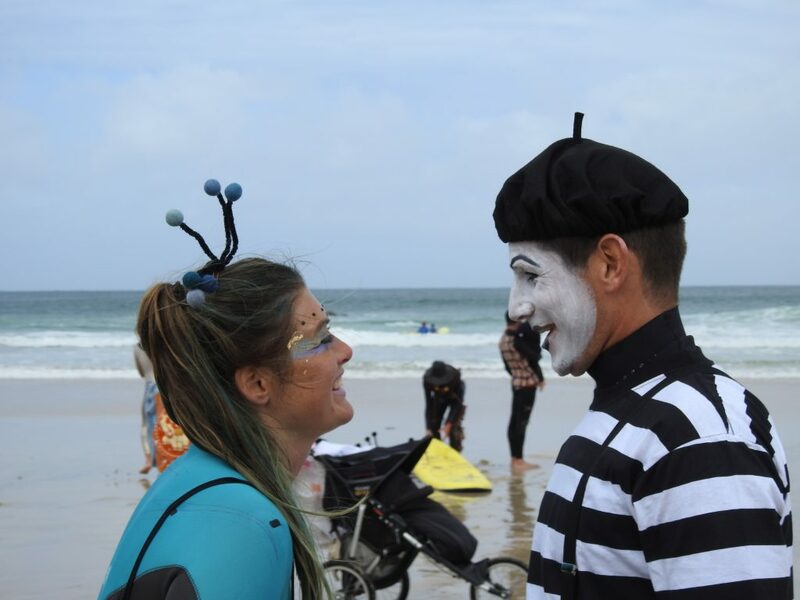 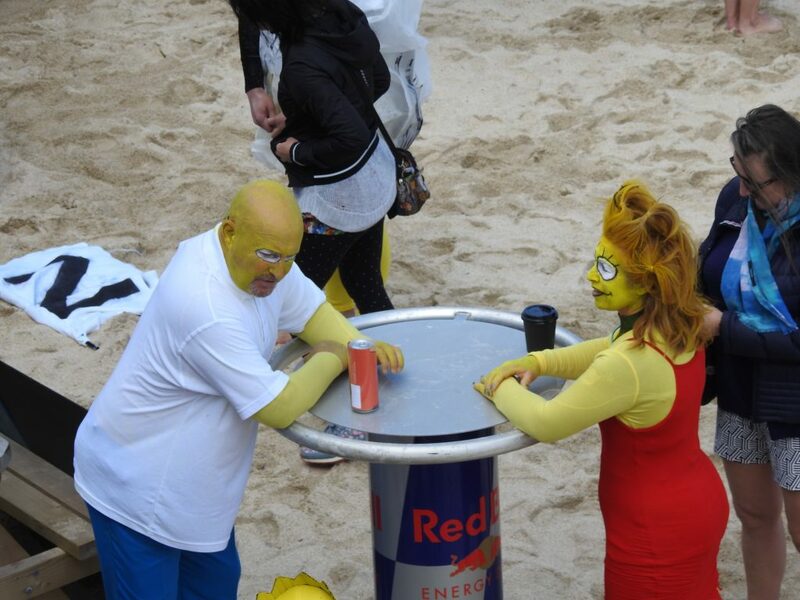 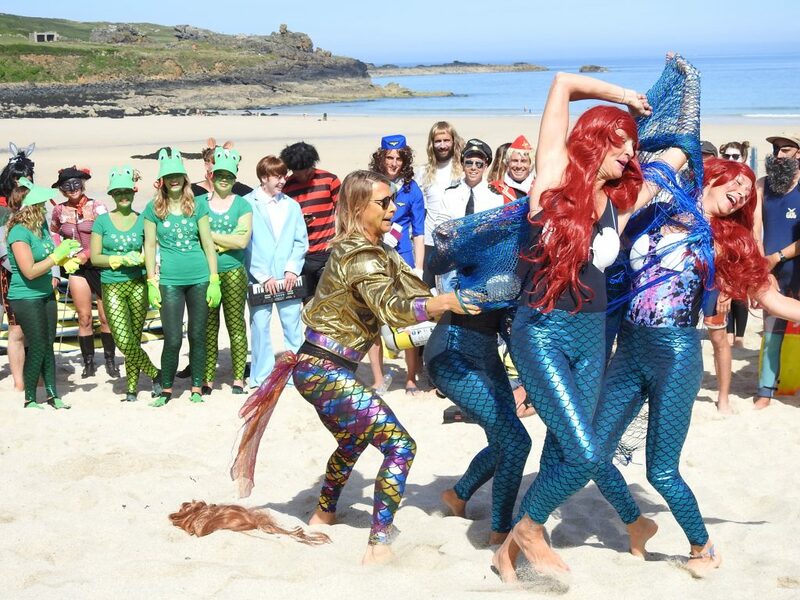 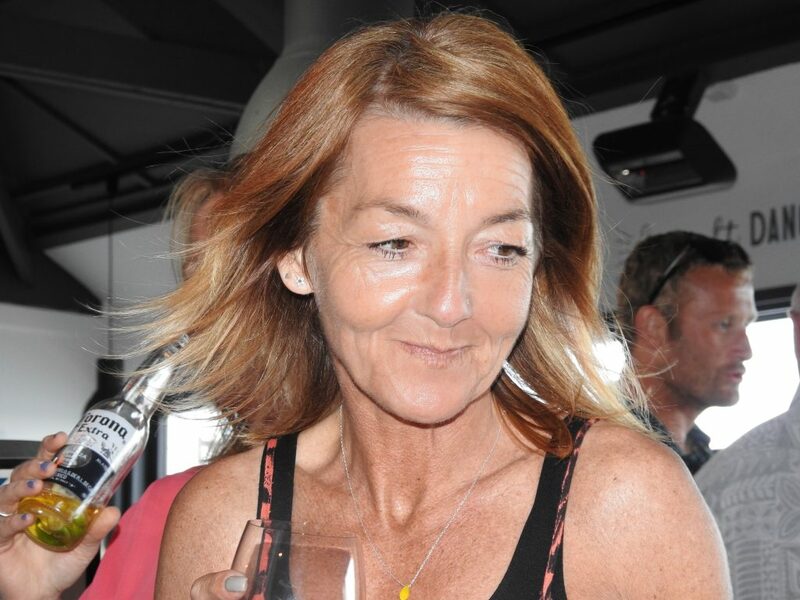 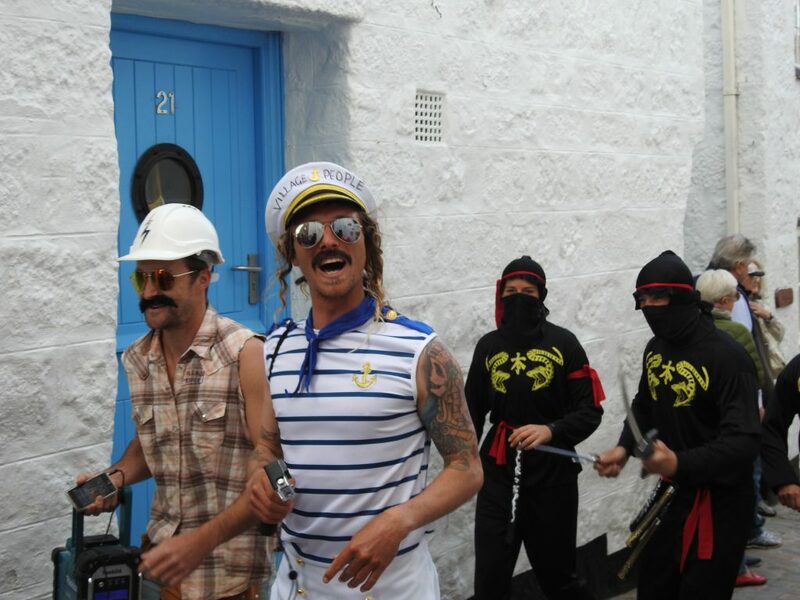 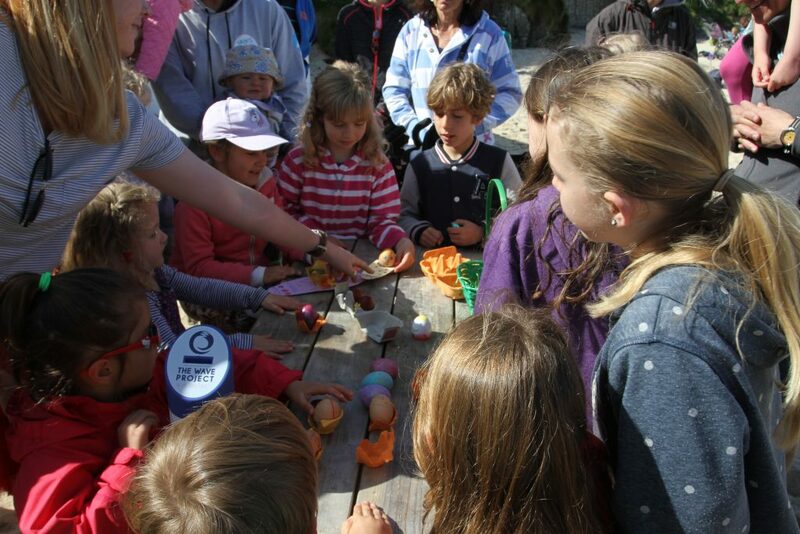 This originated from the 2013 event when conditions at Porthmeor were red-flagged as too dangerous and the early rounds took place at the Breakwater after everyone marched there to get the competition underway. 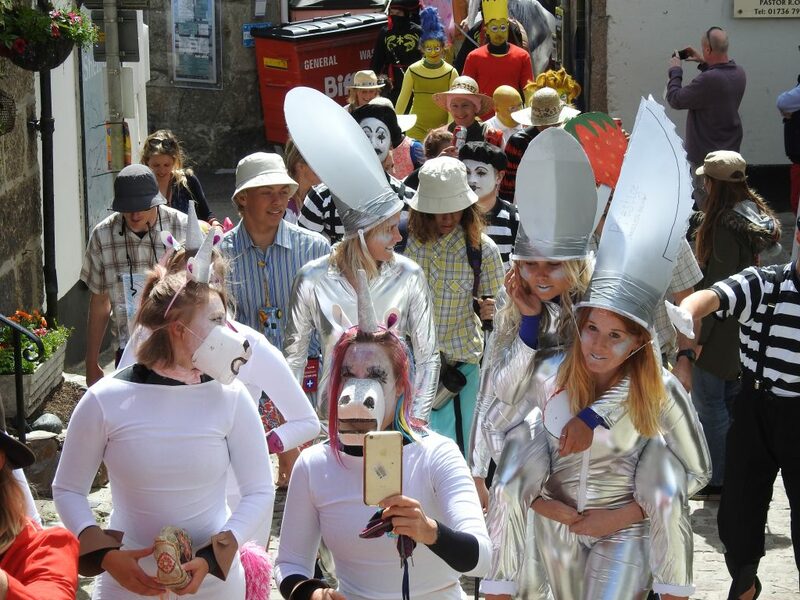 The spectacle proved so amusing to participants and public alike that a parade has become an integral part of the day now. 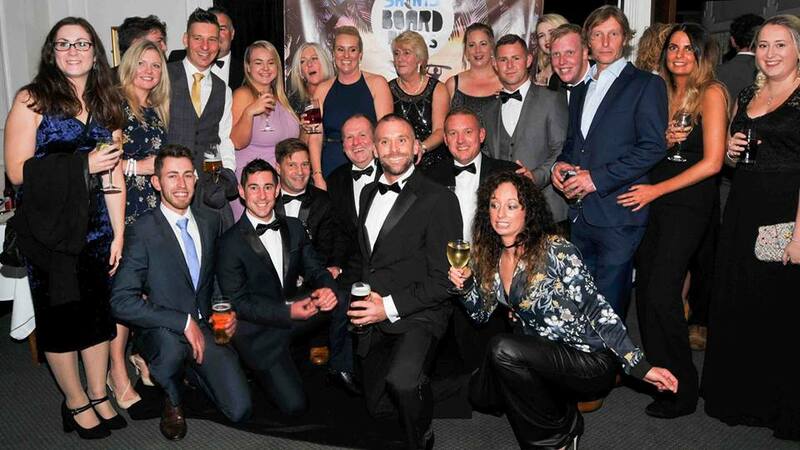 Here’s 2017s version!